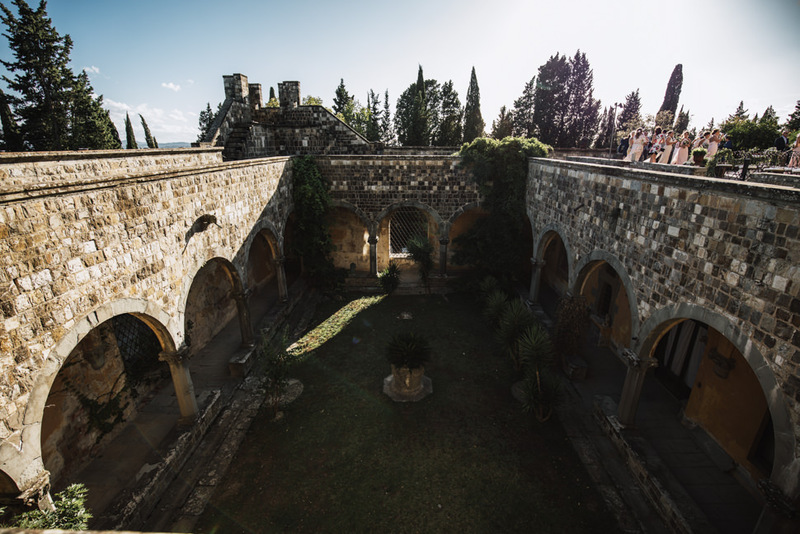 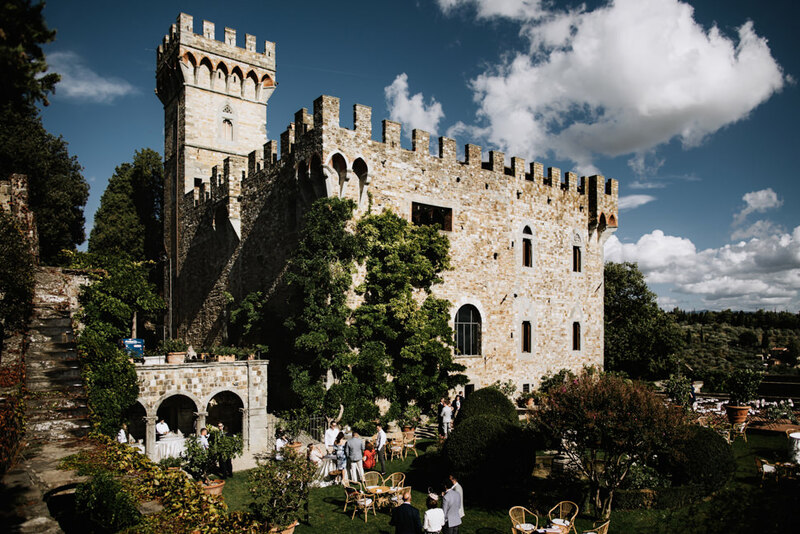 The Vincigliata Castle was rebuilt in the mid-1800s by a young English lord who was able to rebring it to light in its originary style dated around the year 1000. 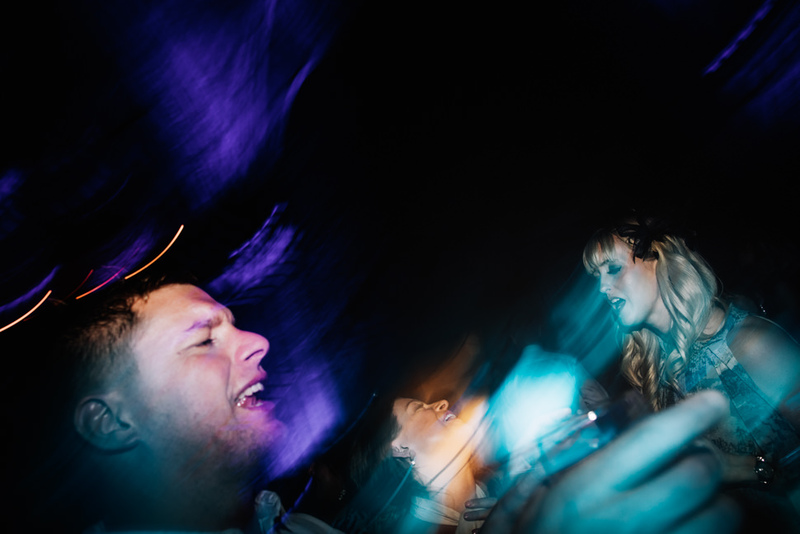 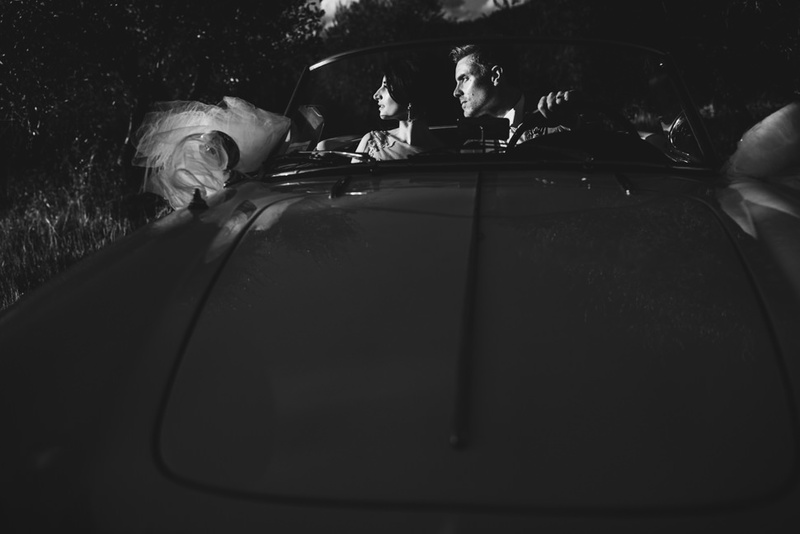 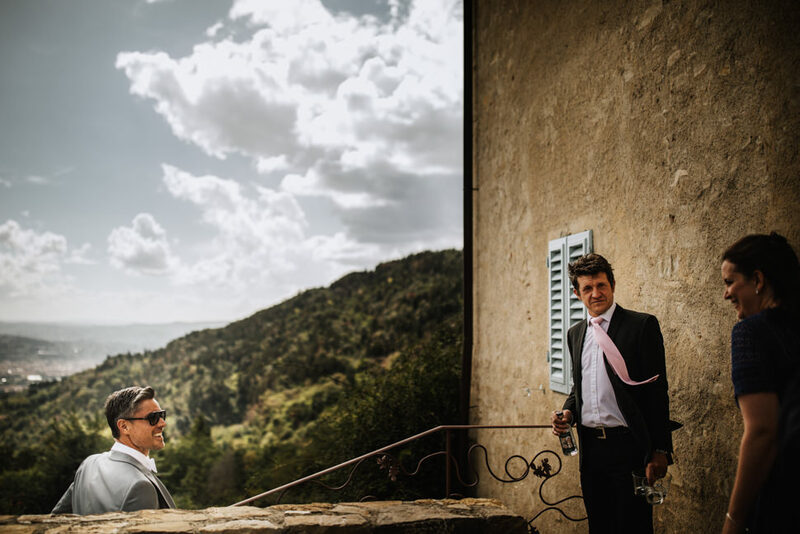 He was attracted by the beauty of Tuscany countryside as happened to Lucy and Matt, also English, from London. 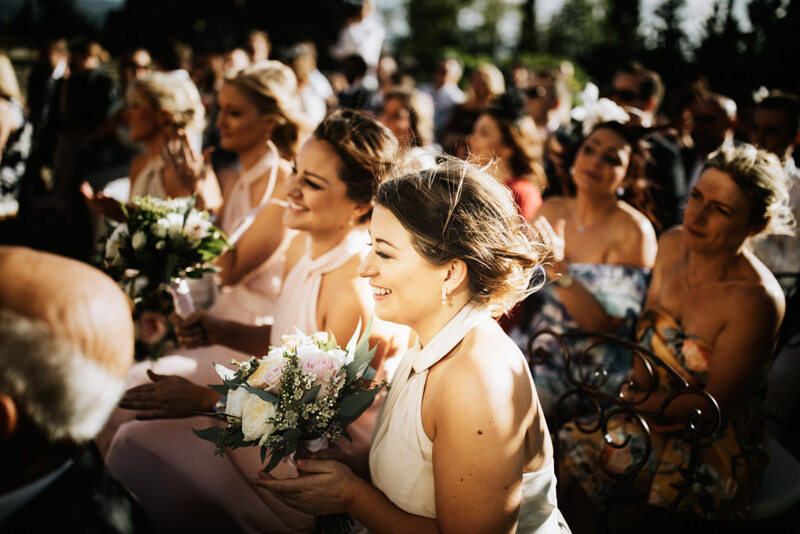 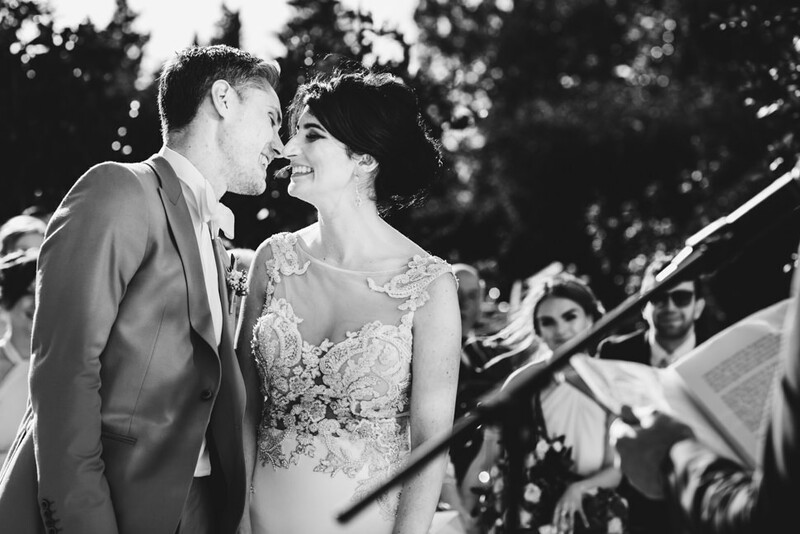 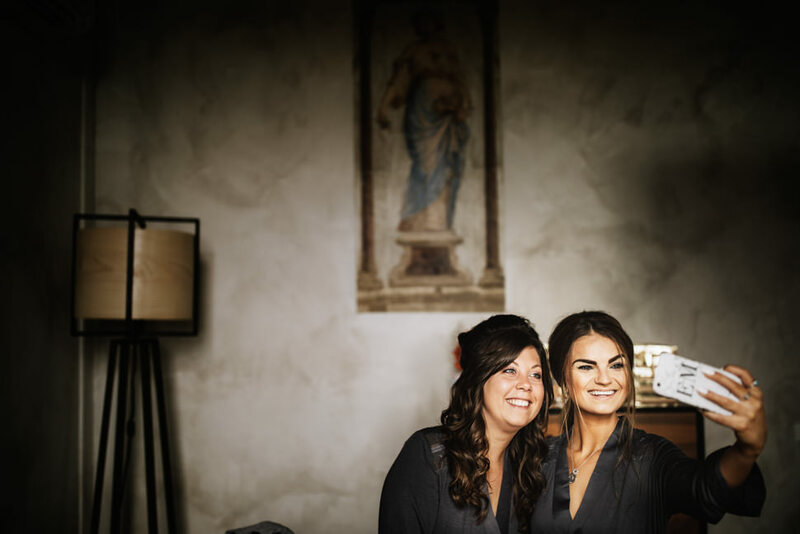 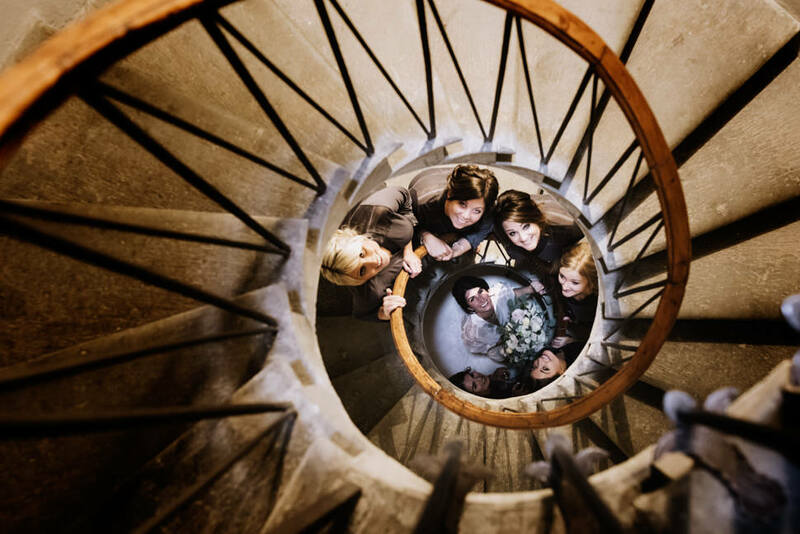 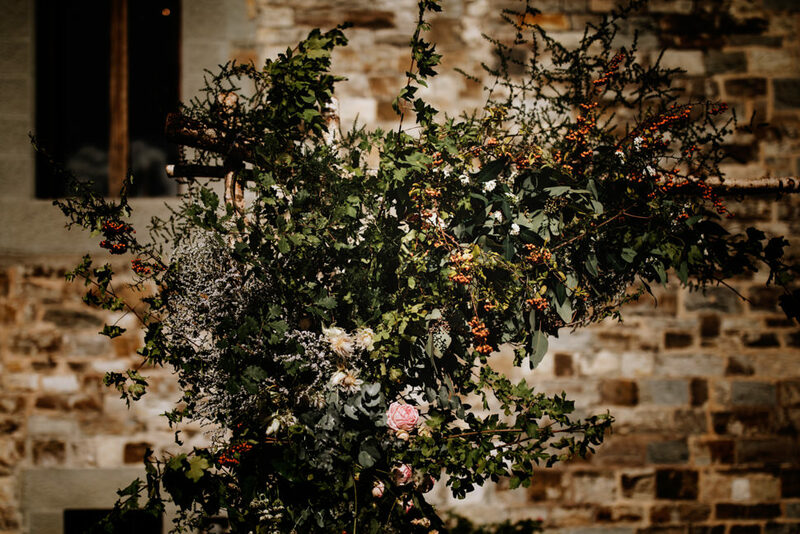 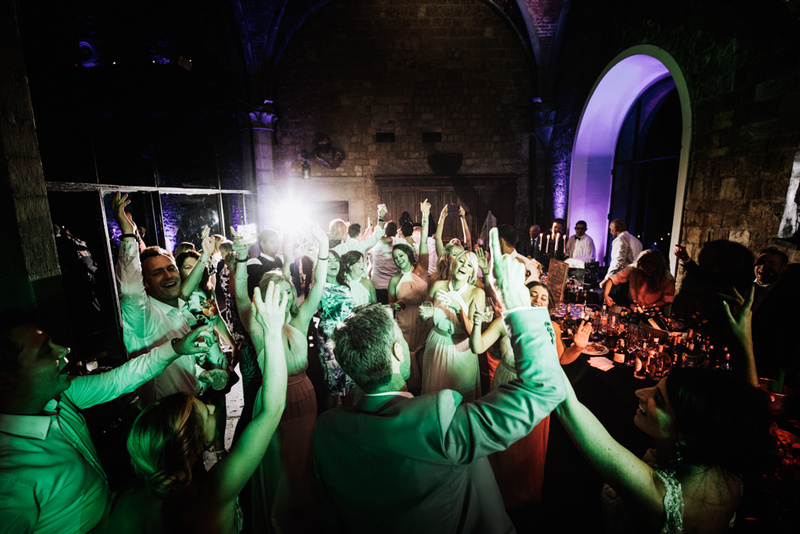 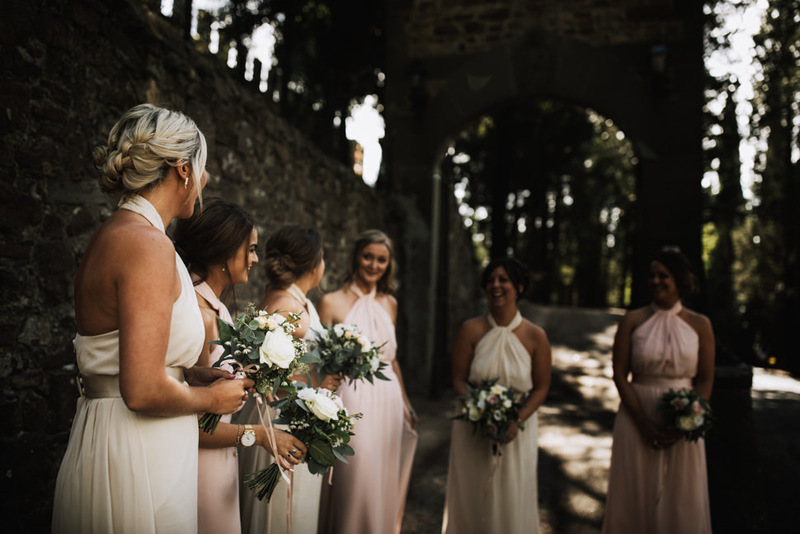 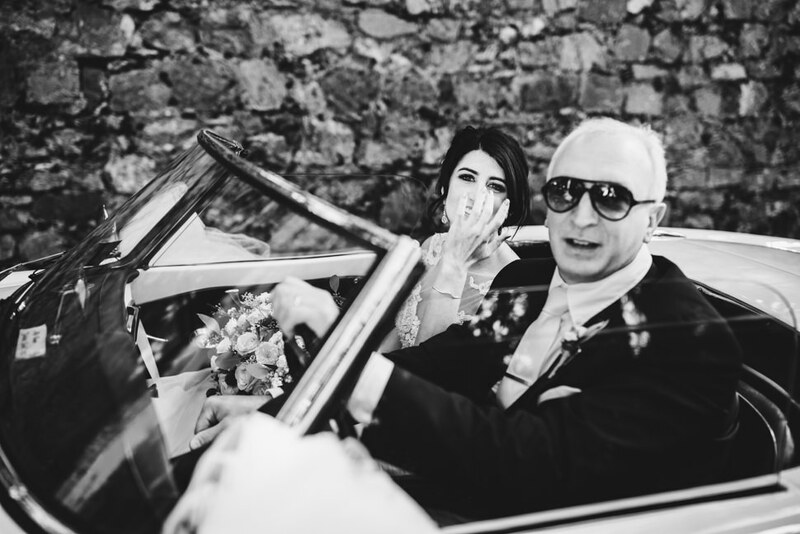 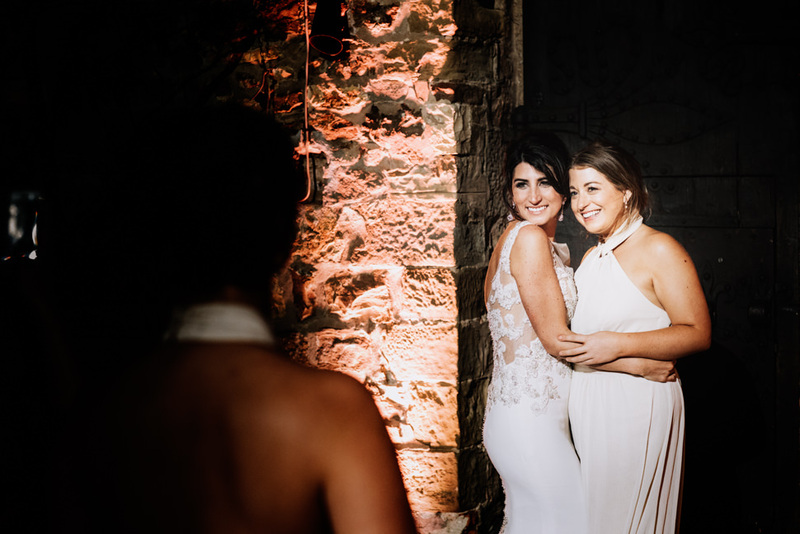 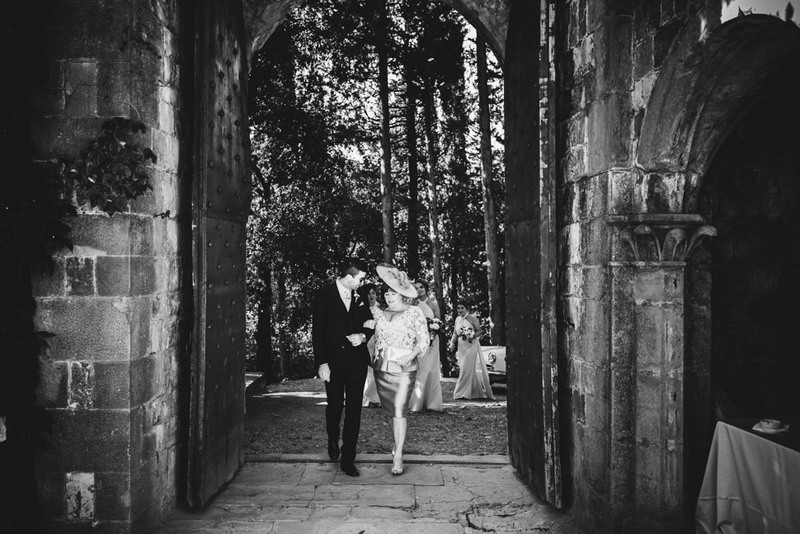 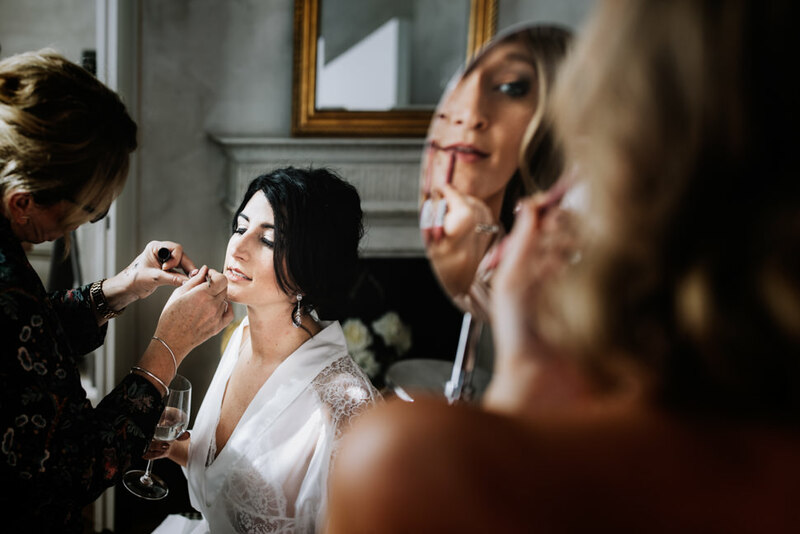 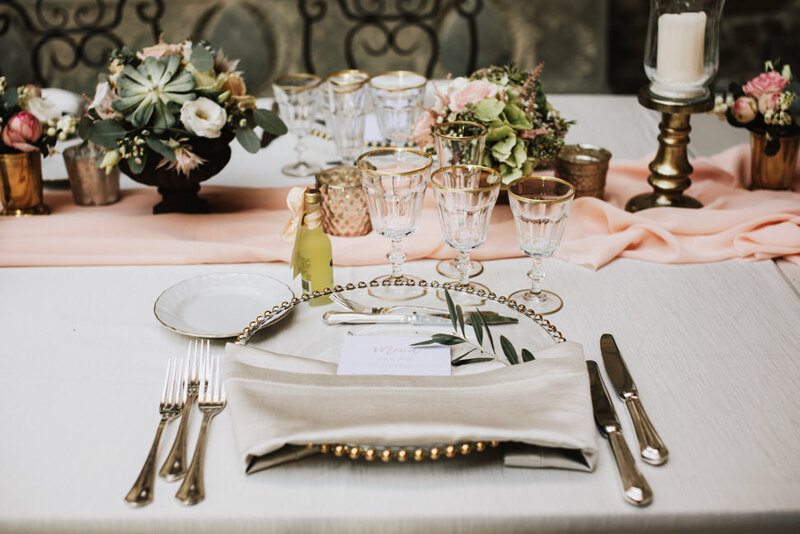 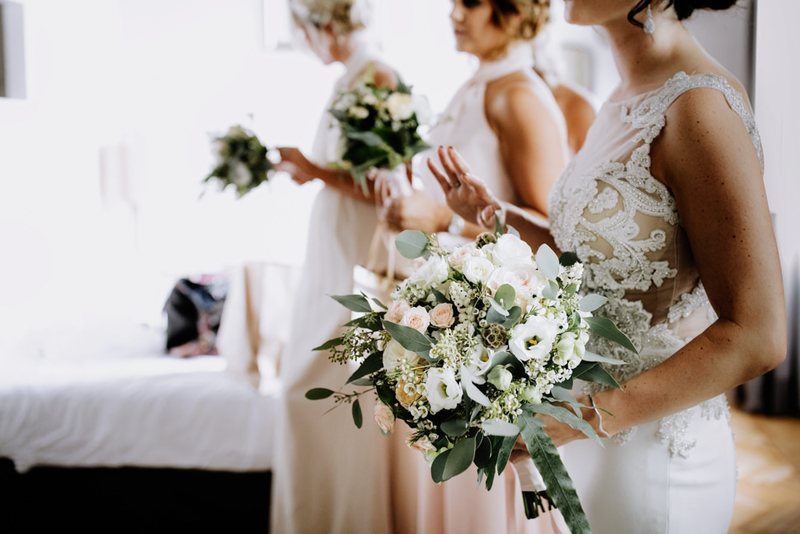 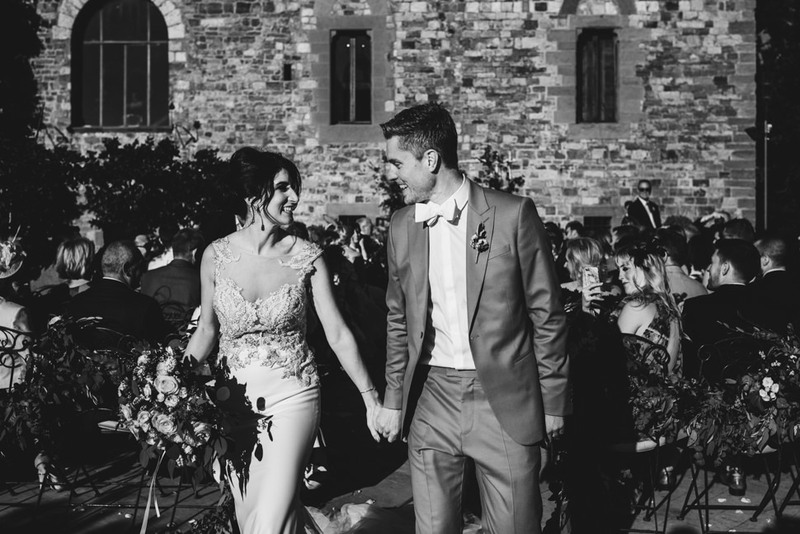 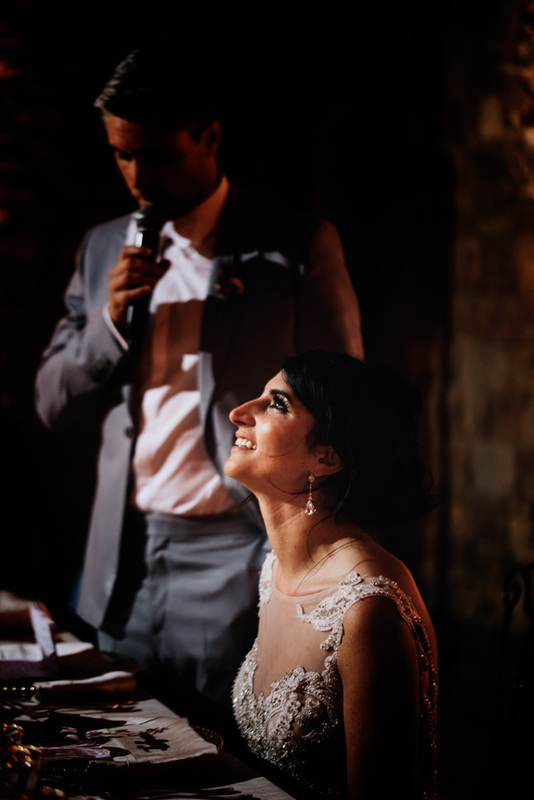 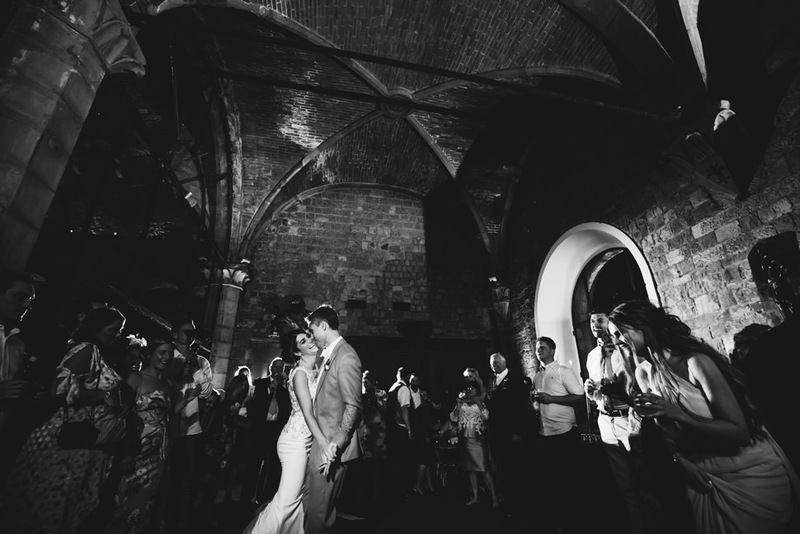 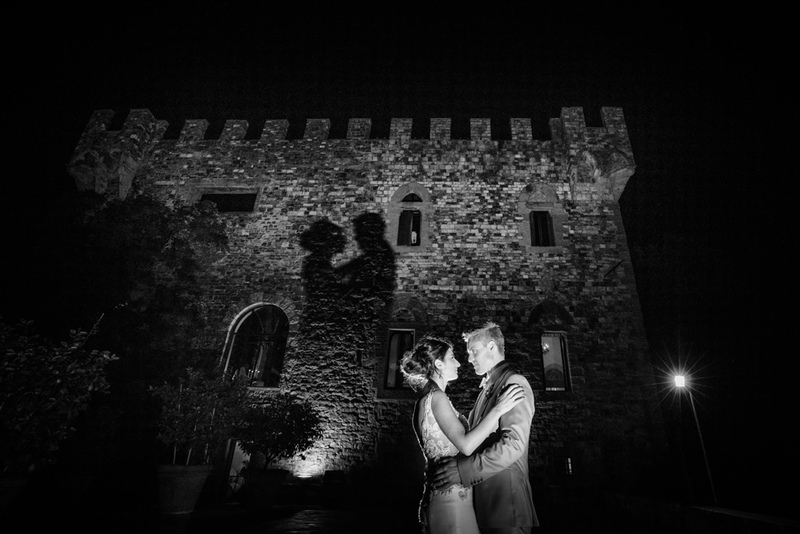 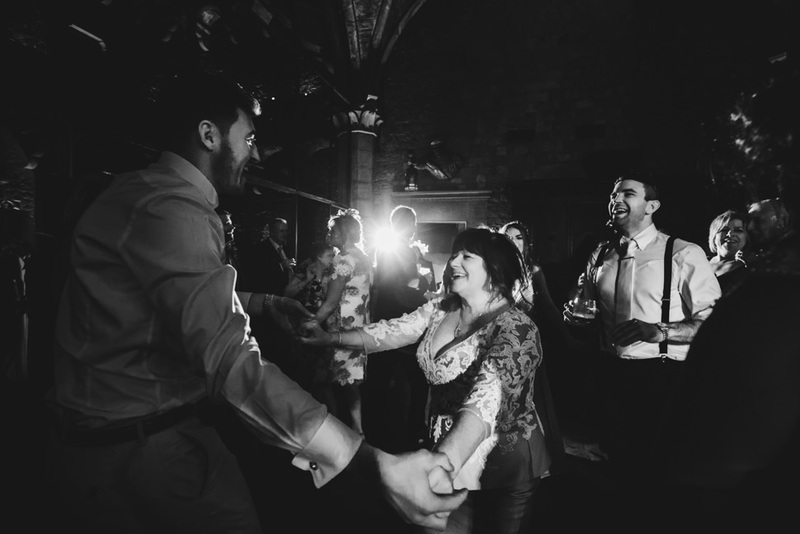 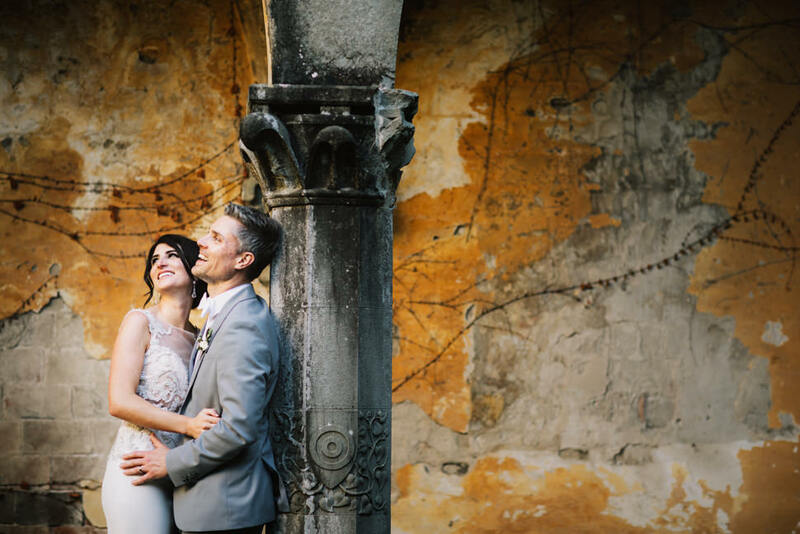 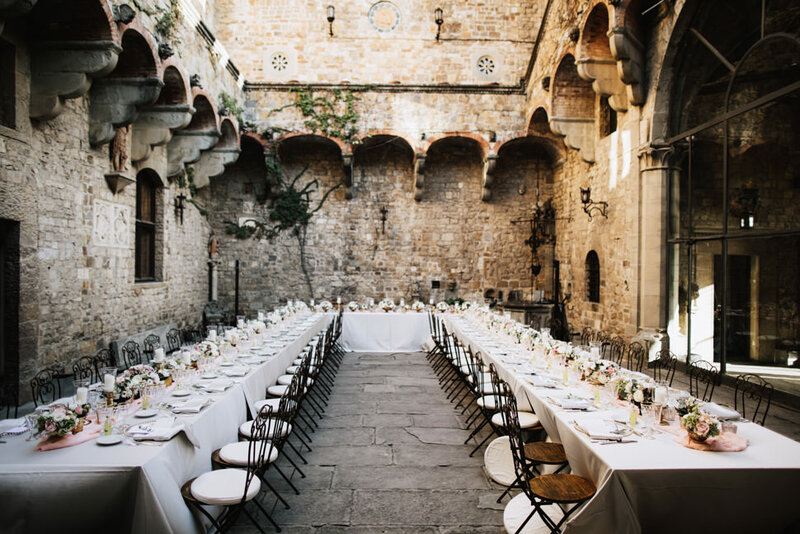 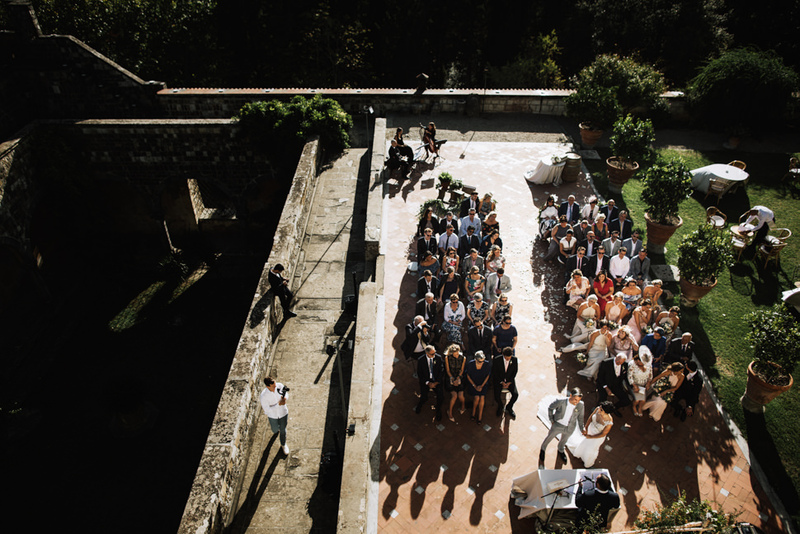 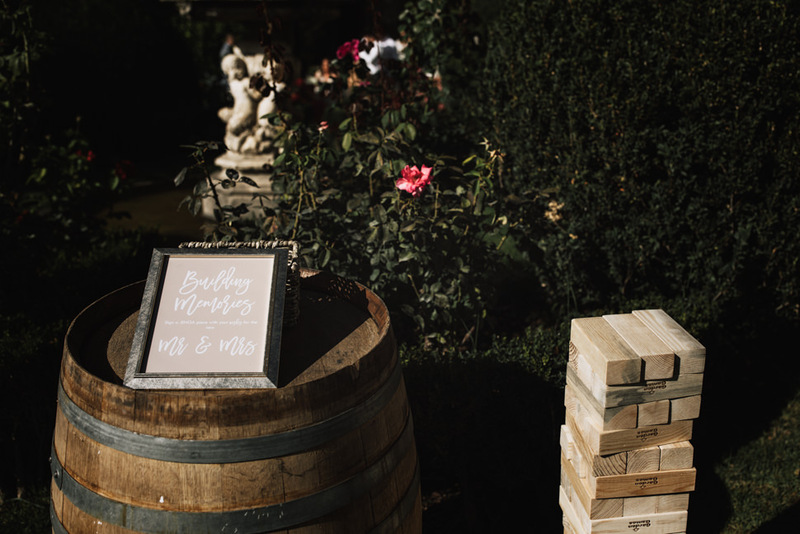 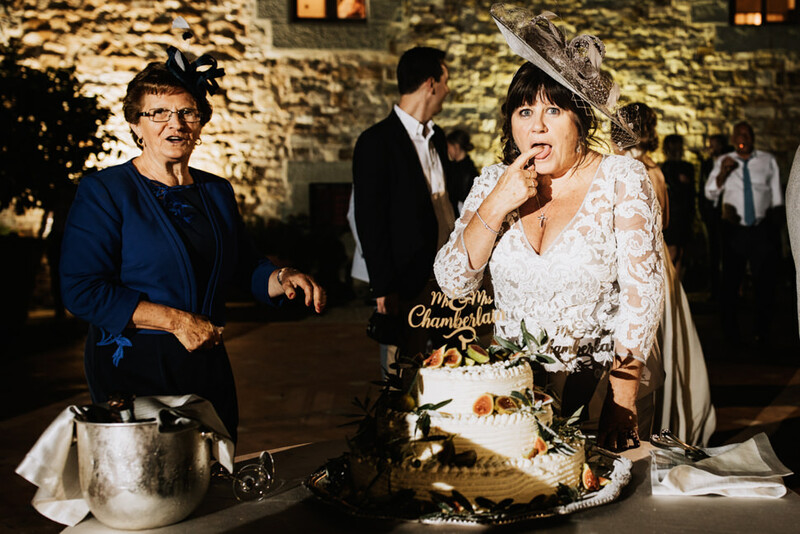 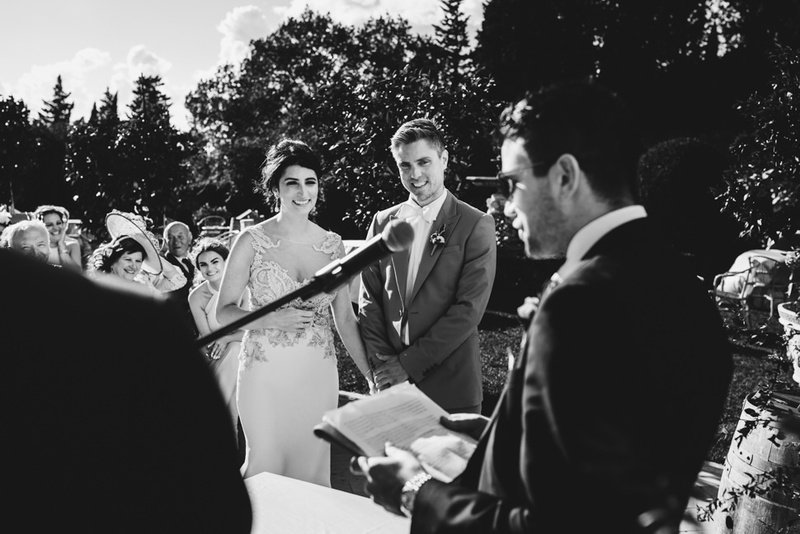 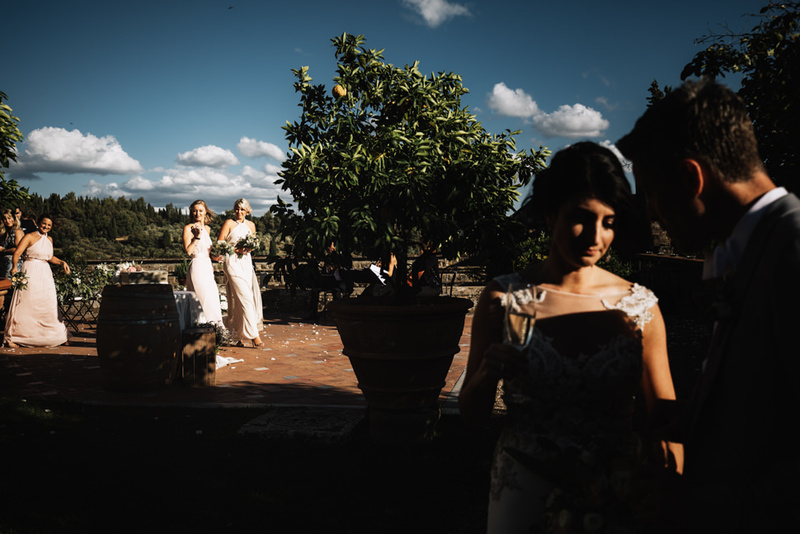 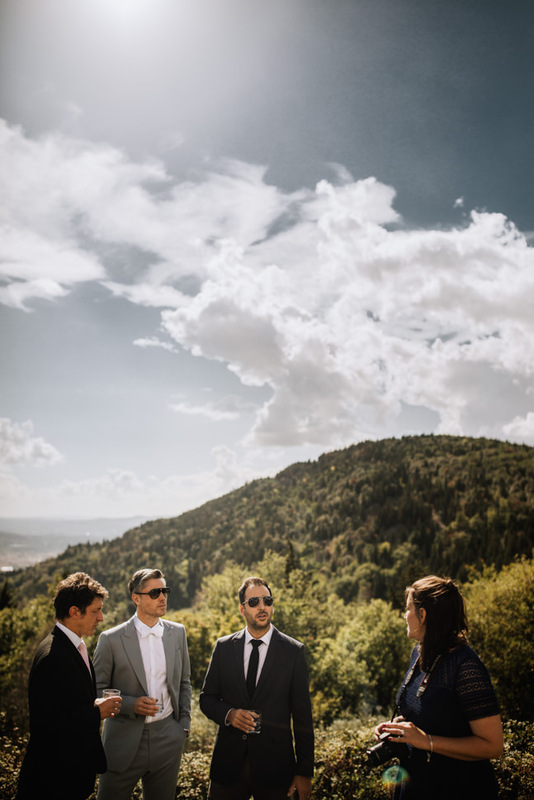 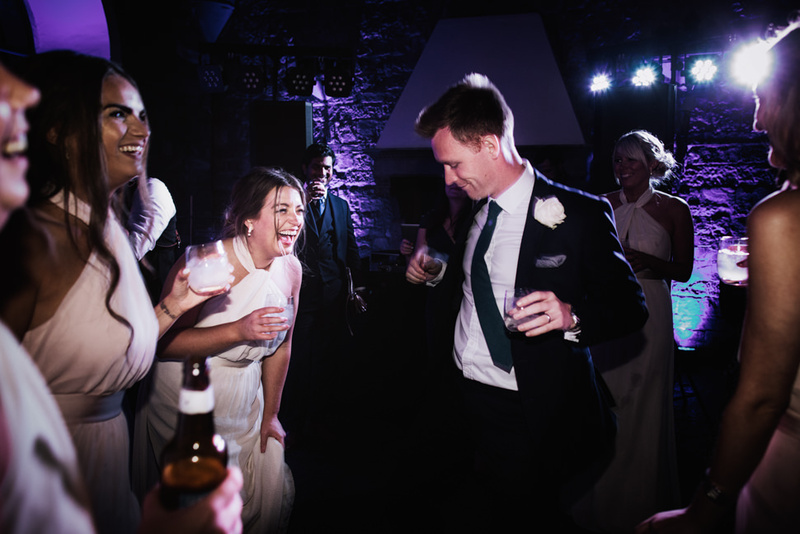 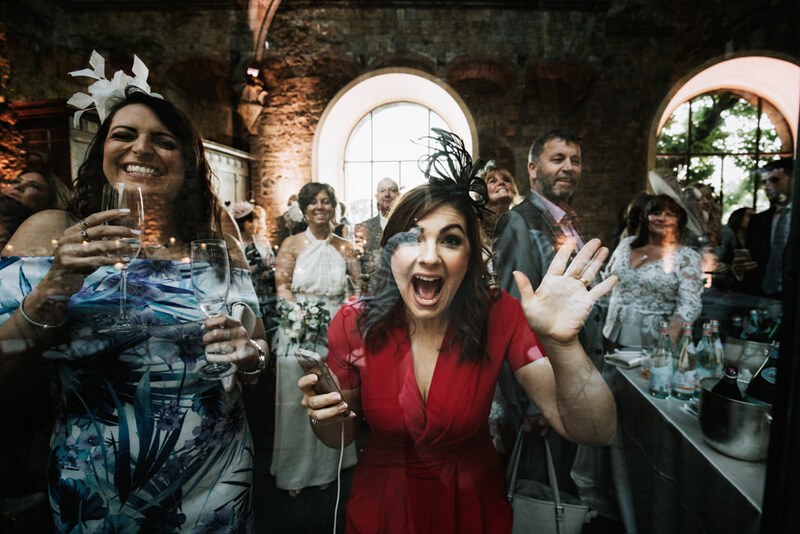 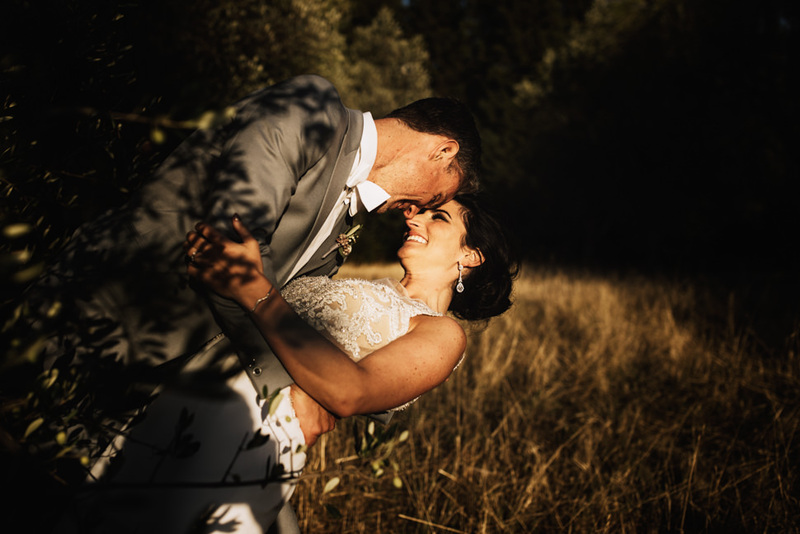 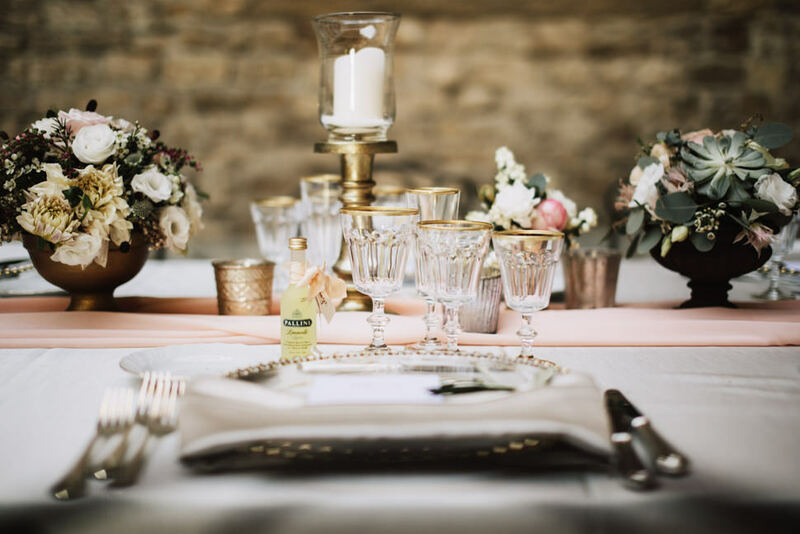 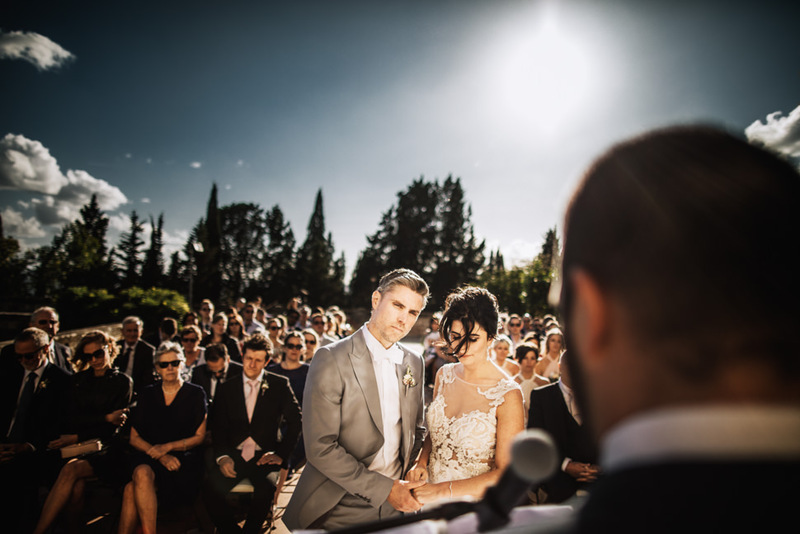 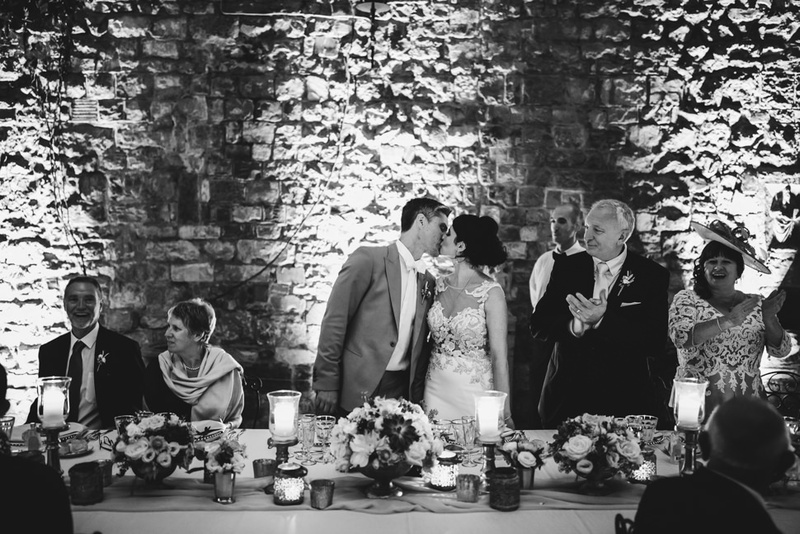 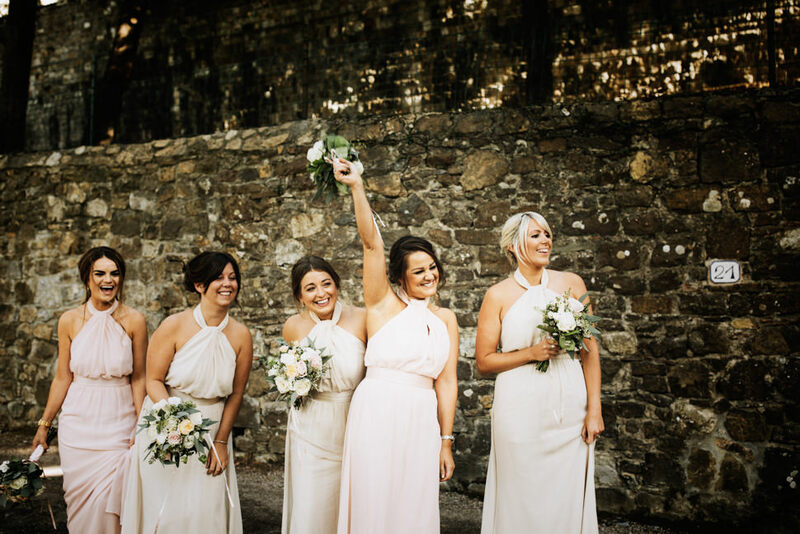 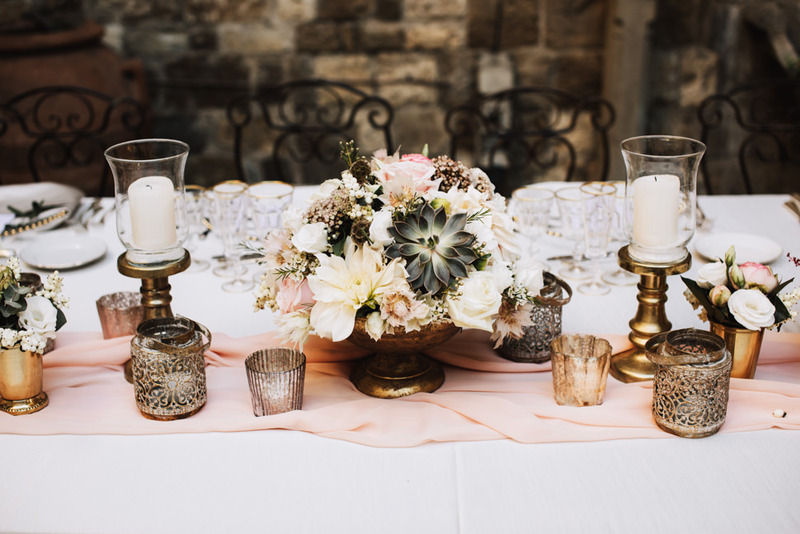 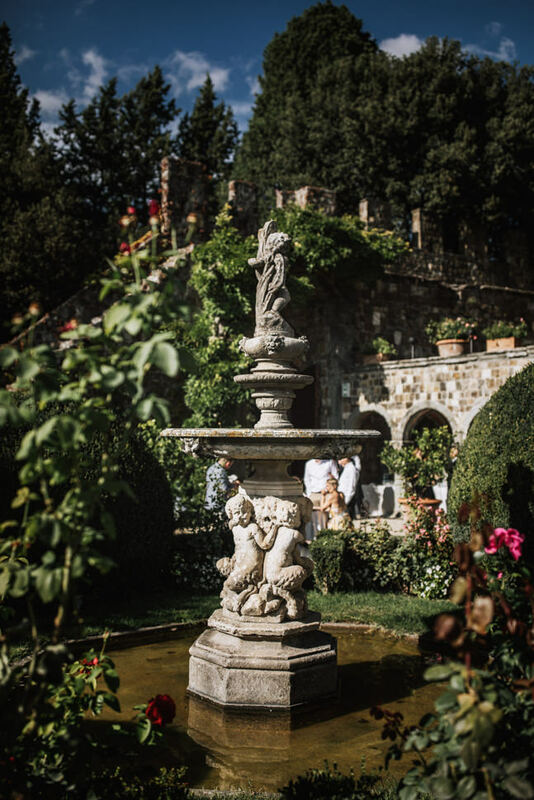 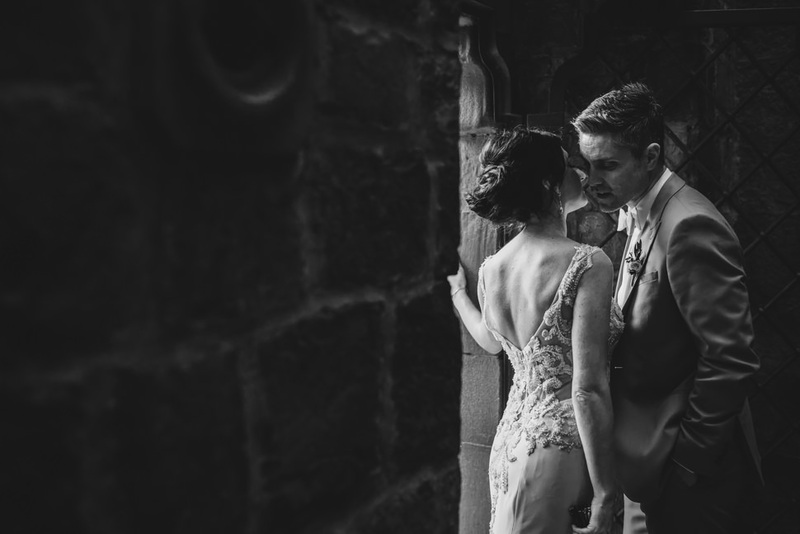 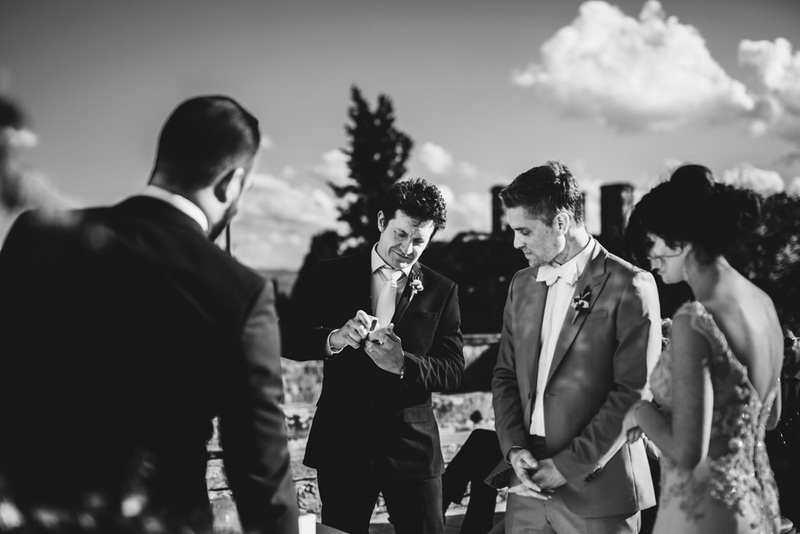 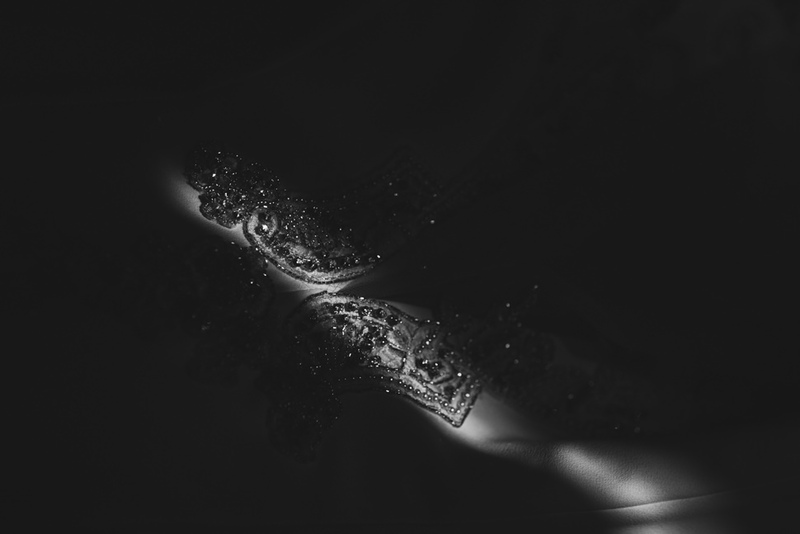 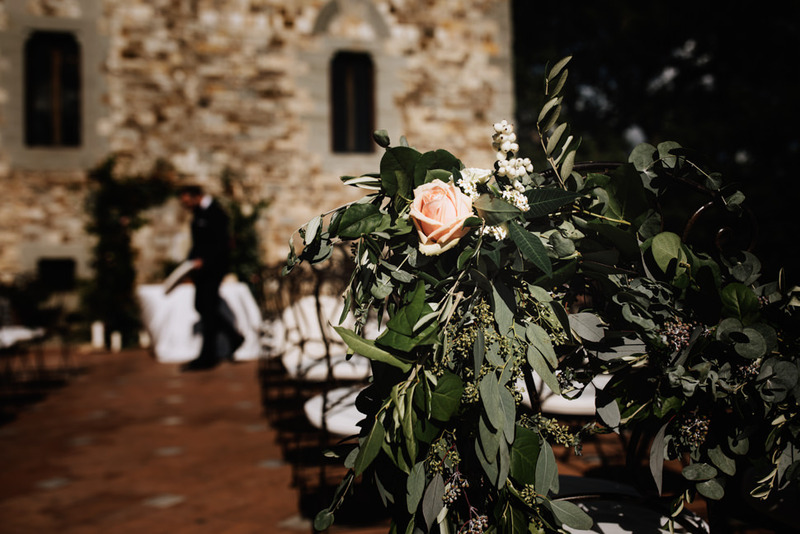 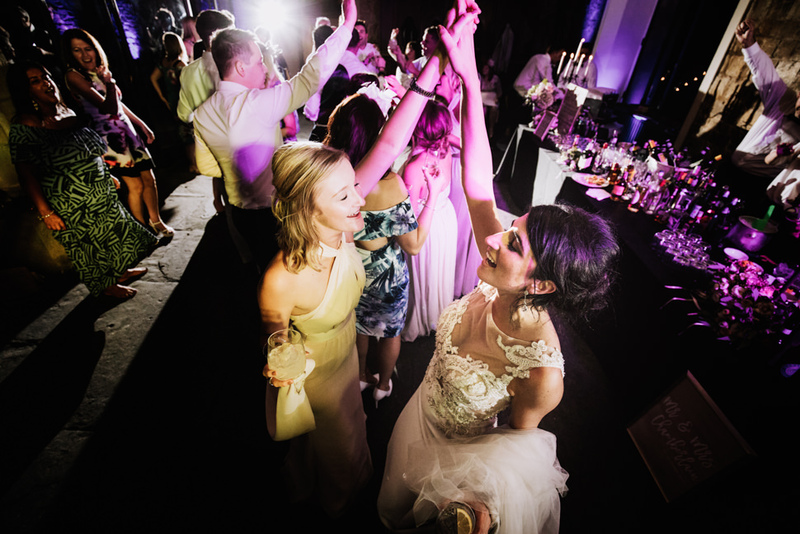 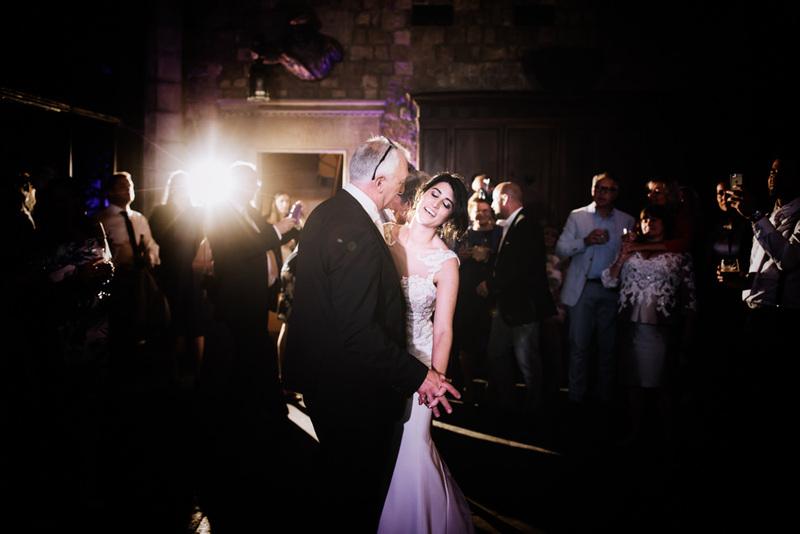 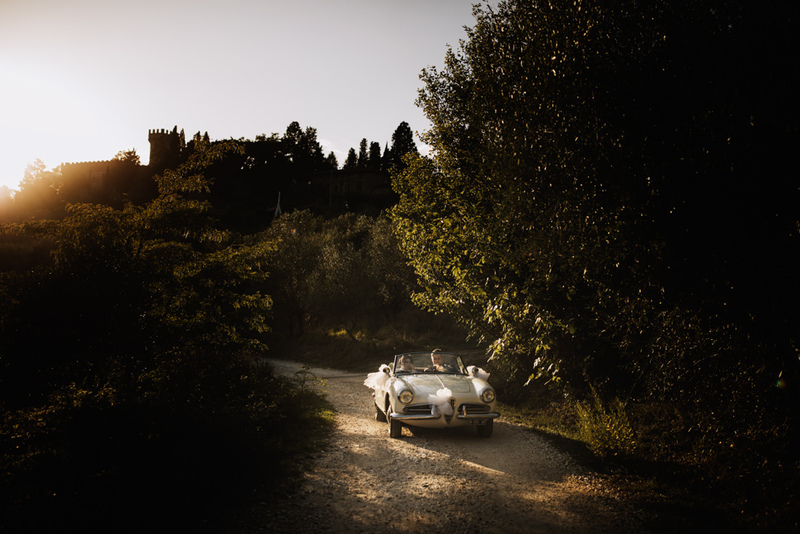 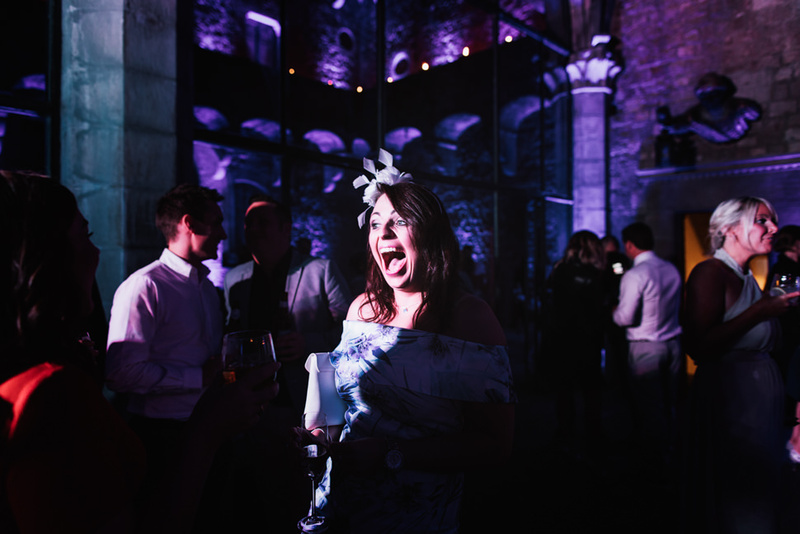 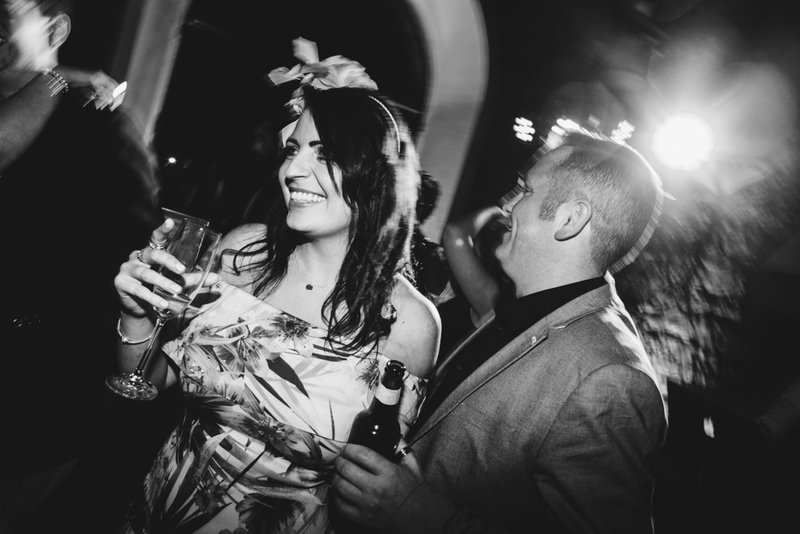 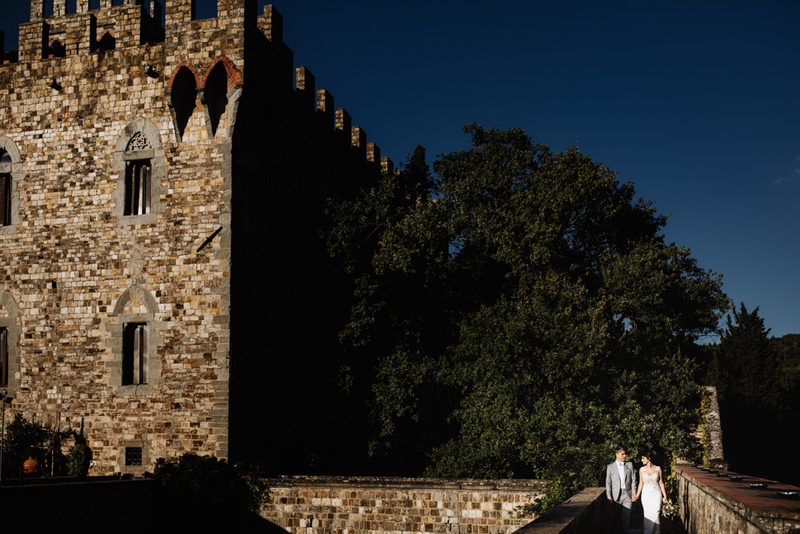 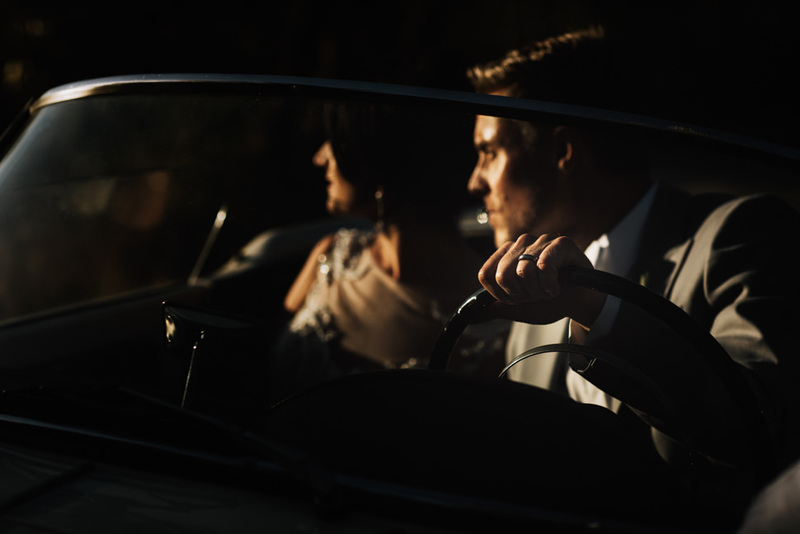 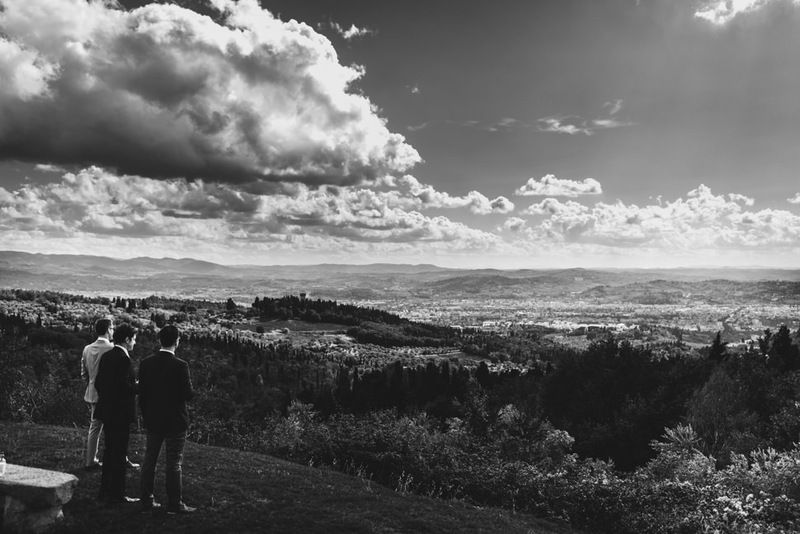 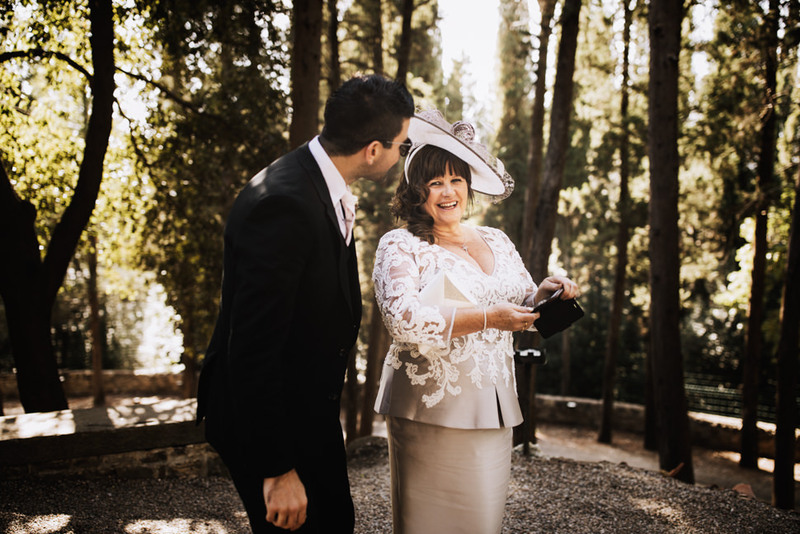 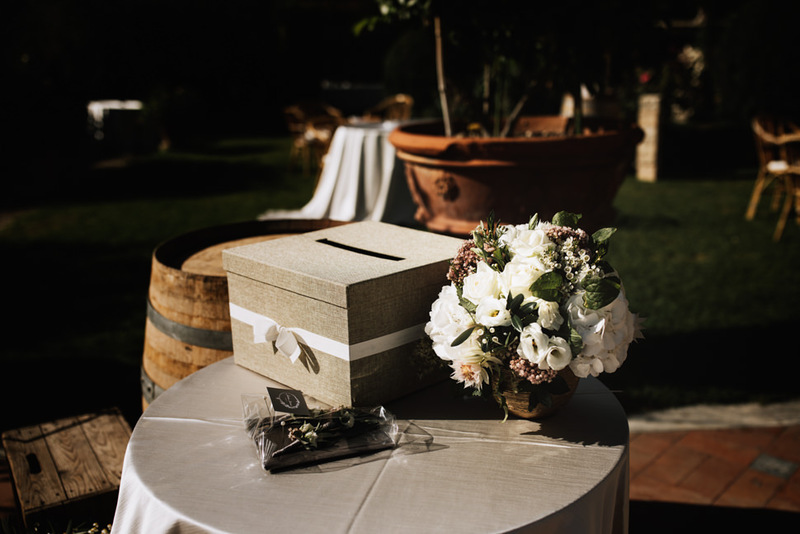 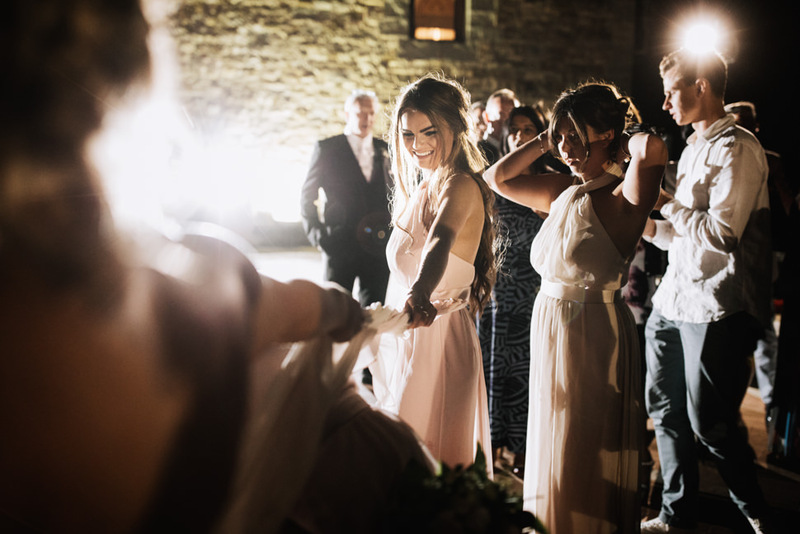 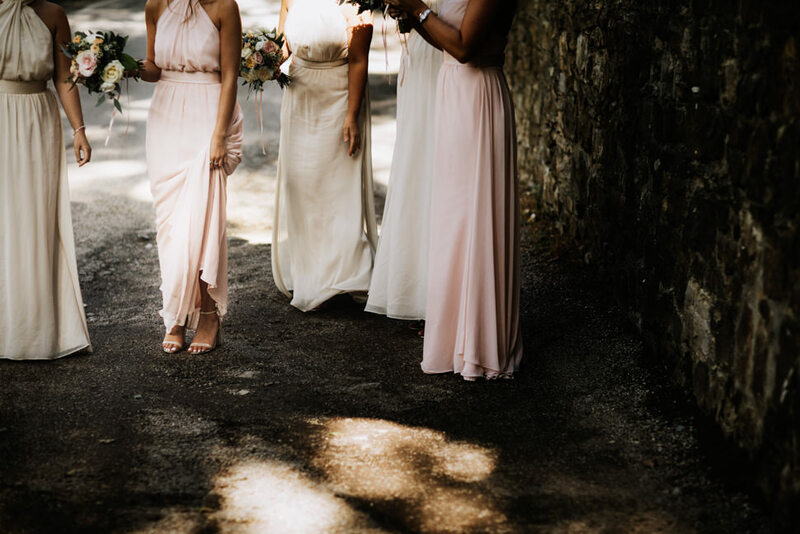 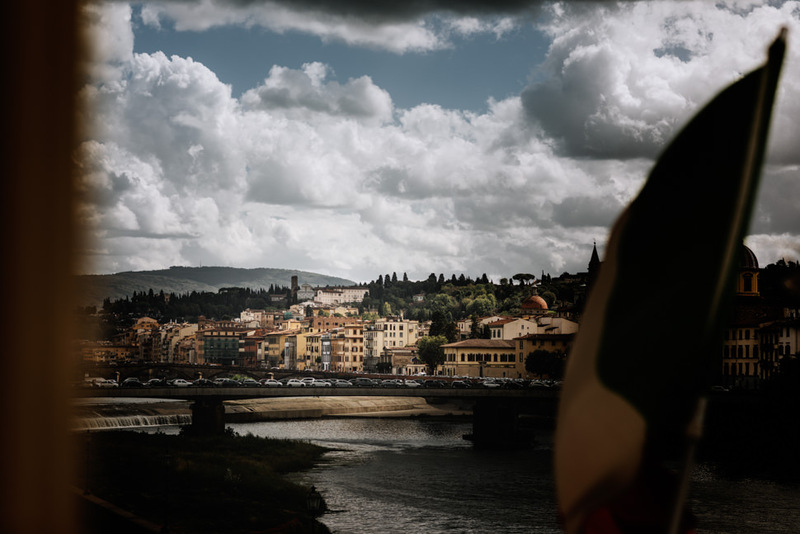 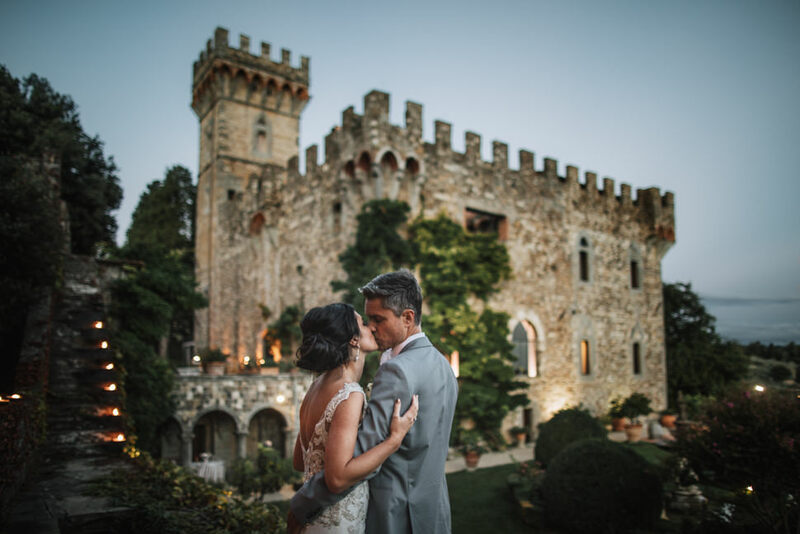 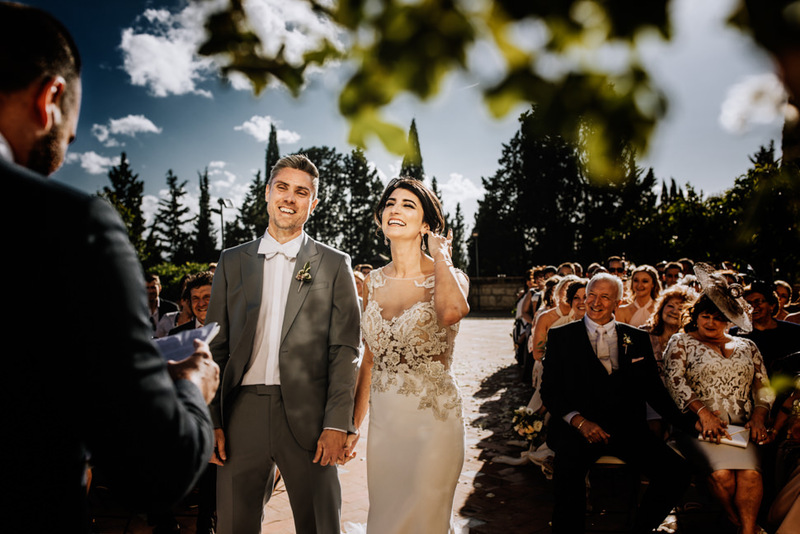 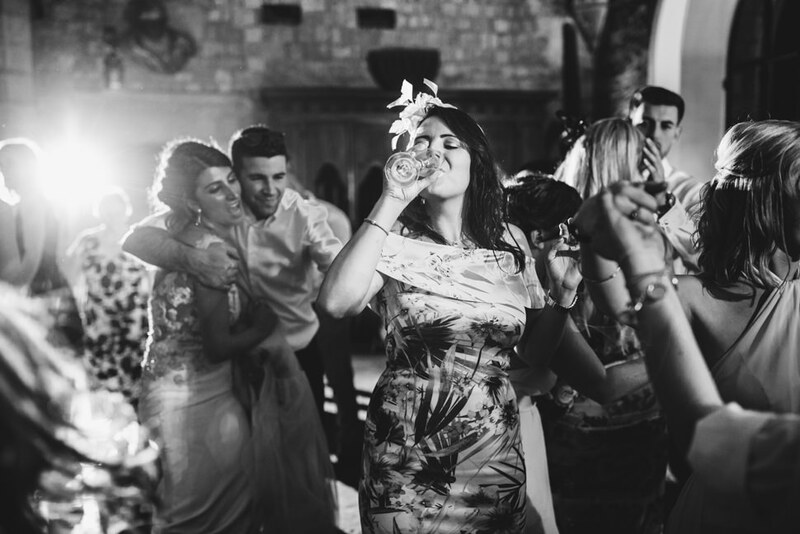 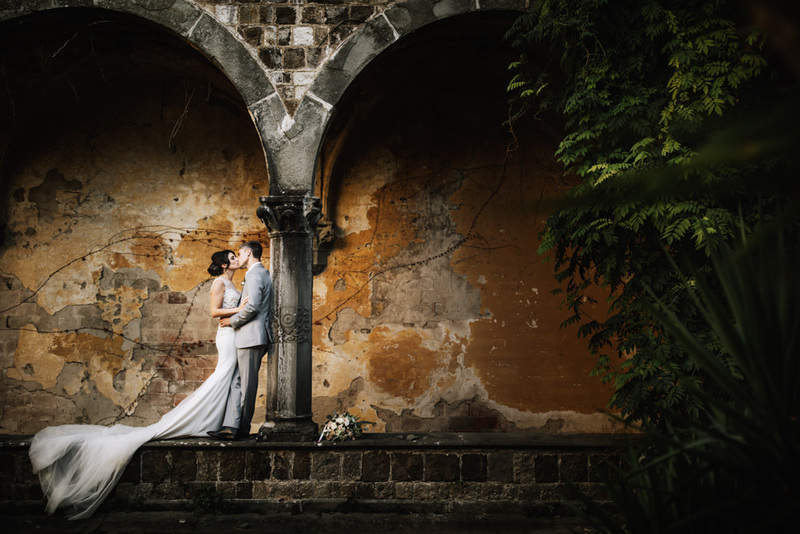 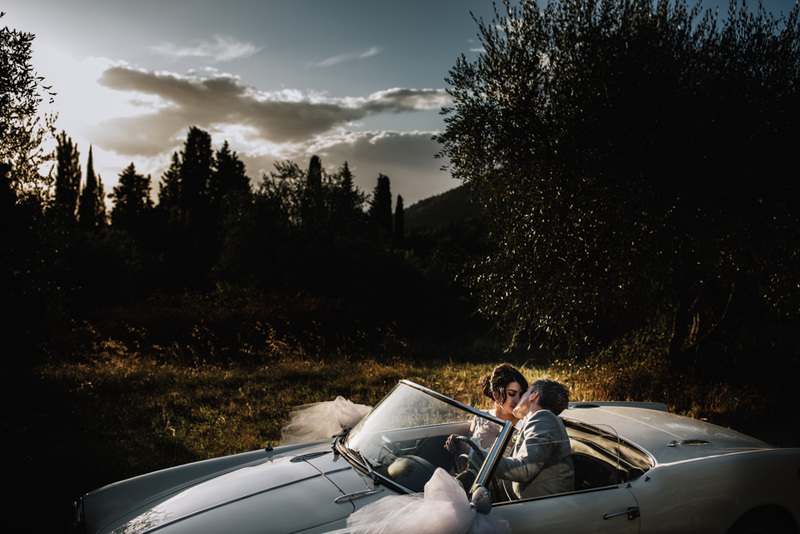 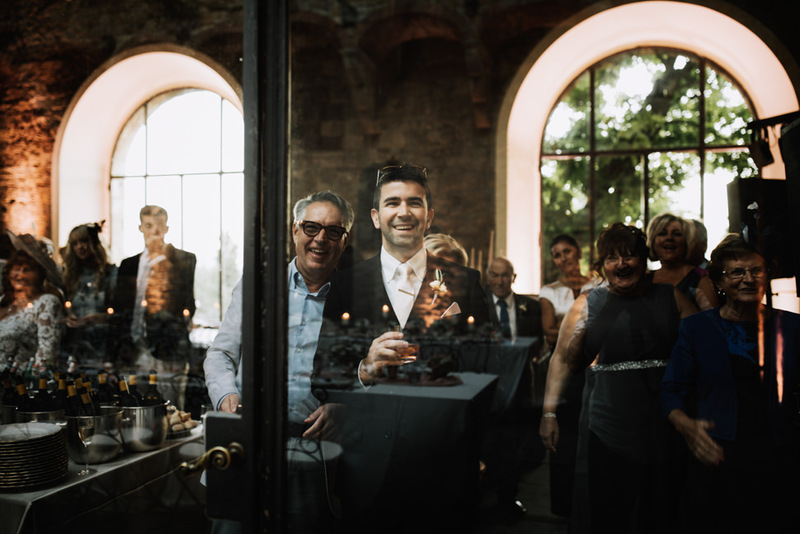 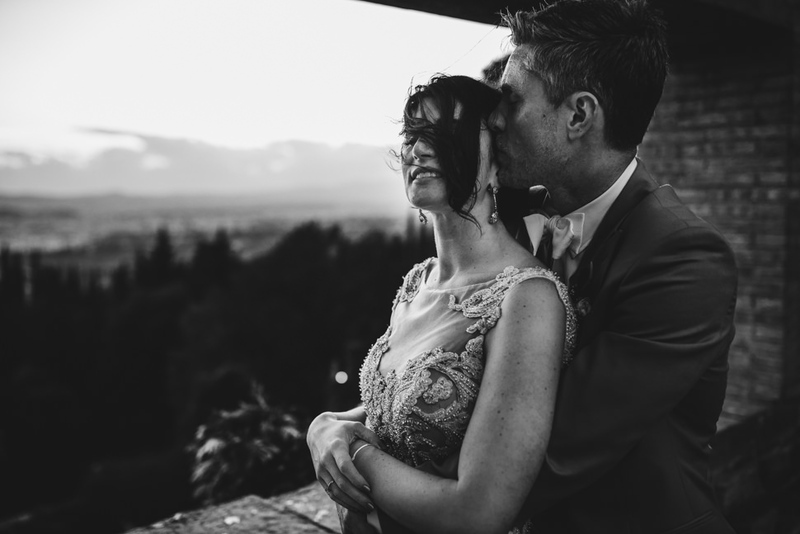 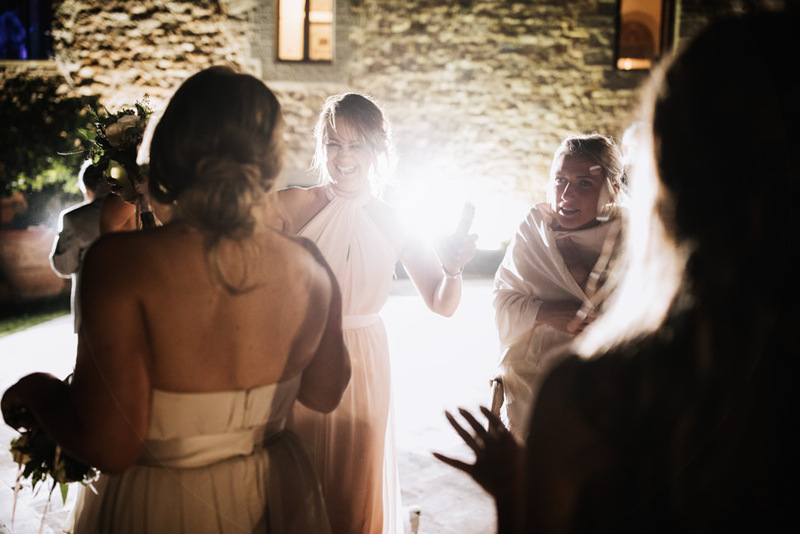 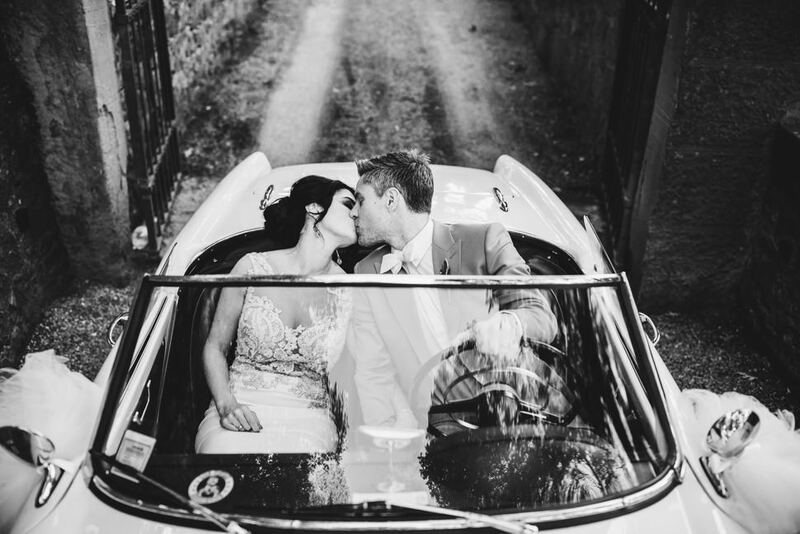 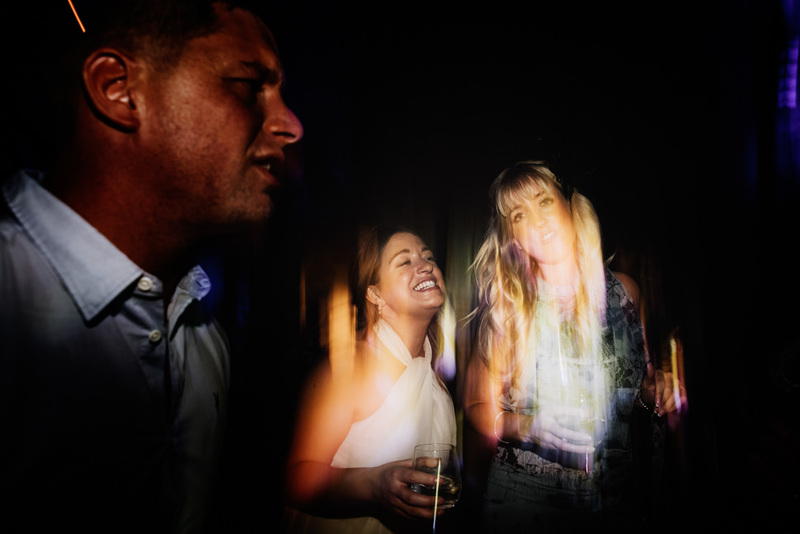 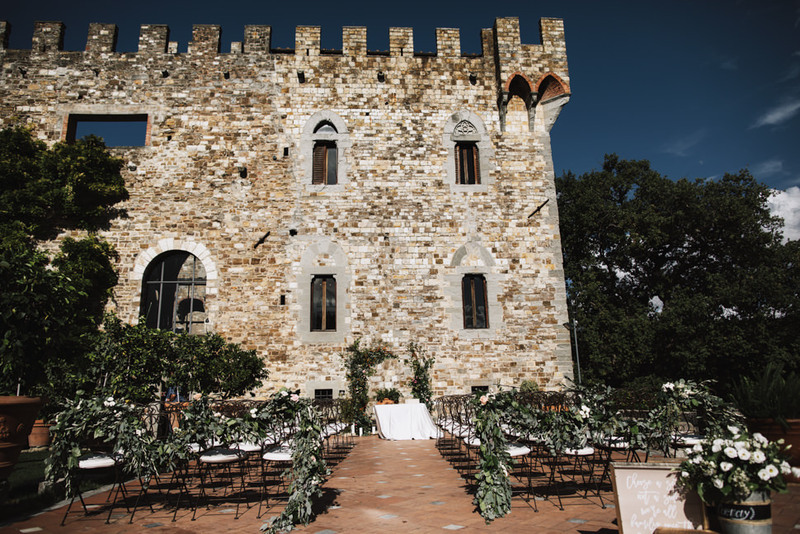 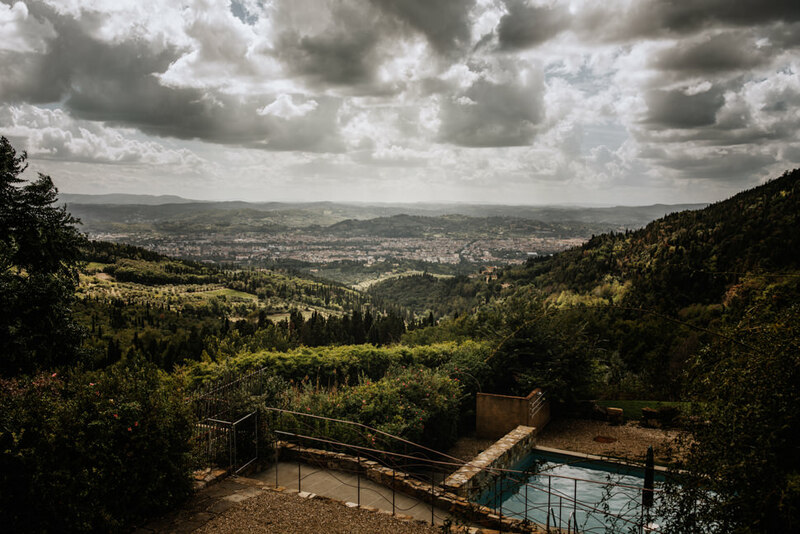 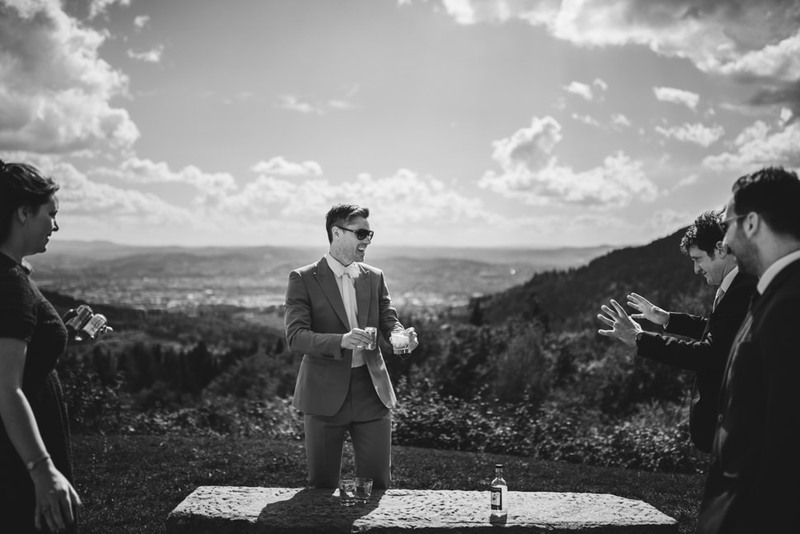 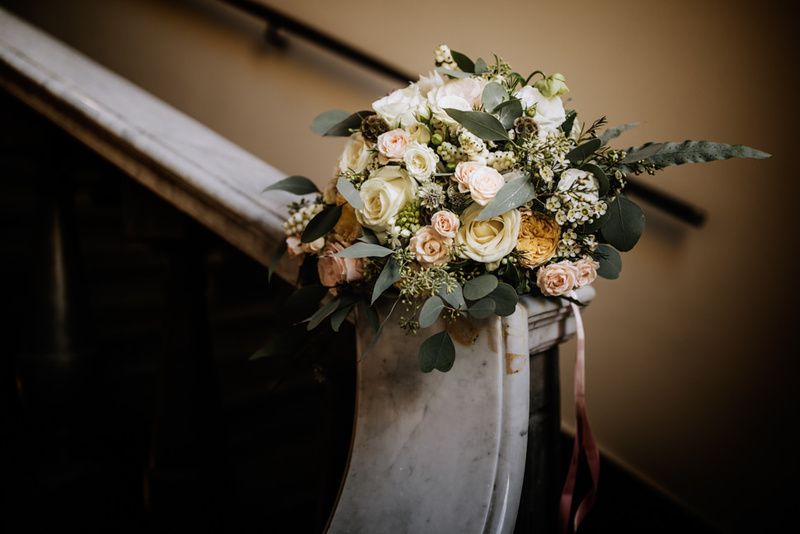 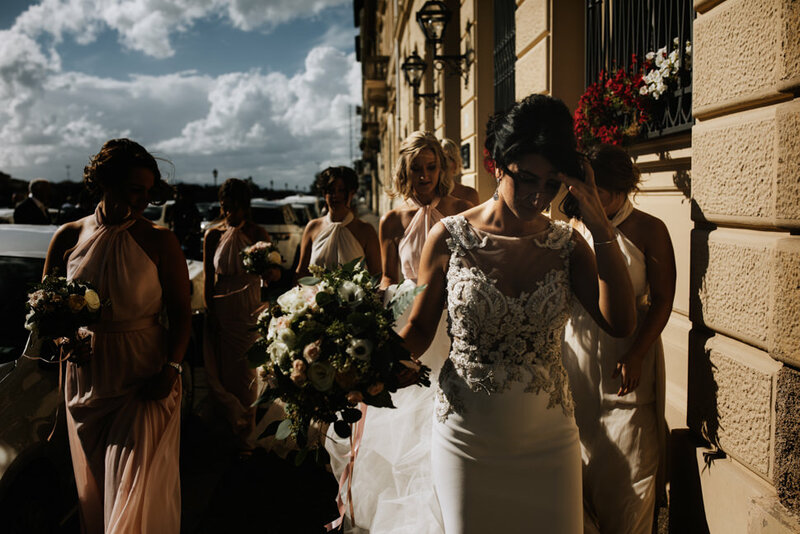 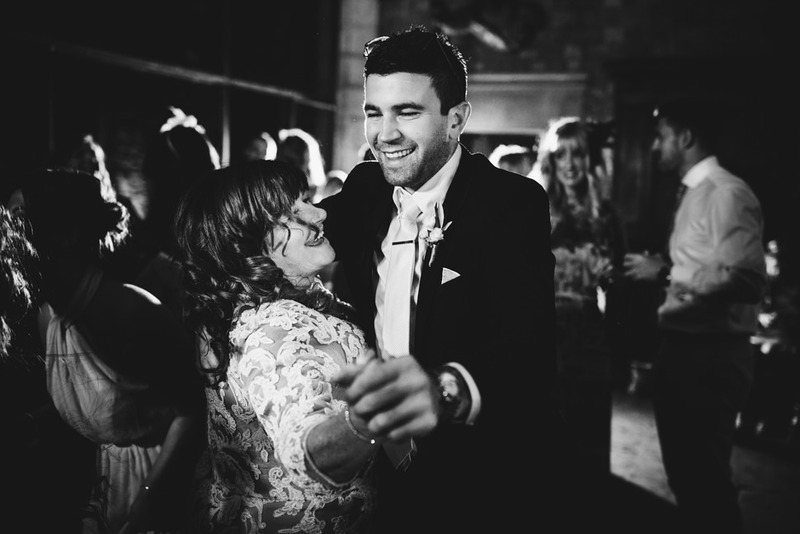 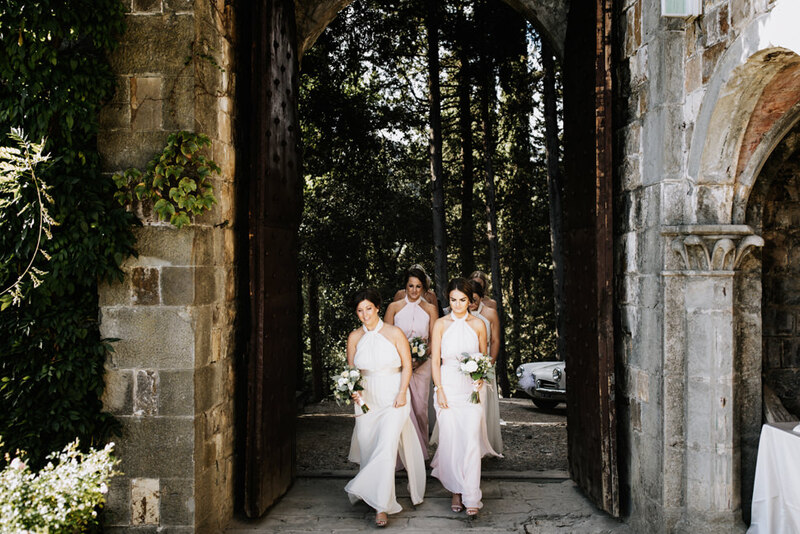 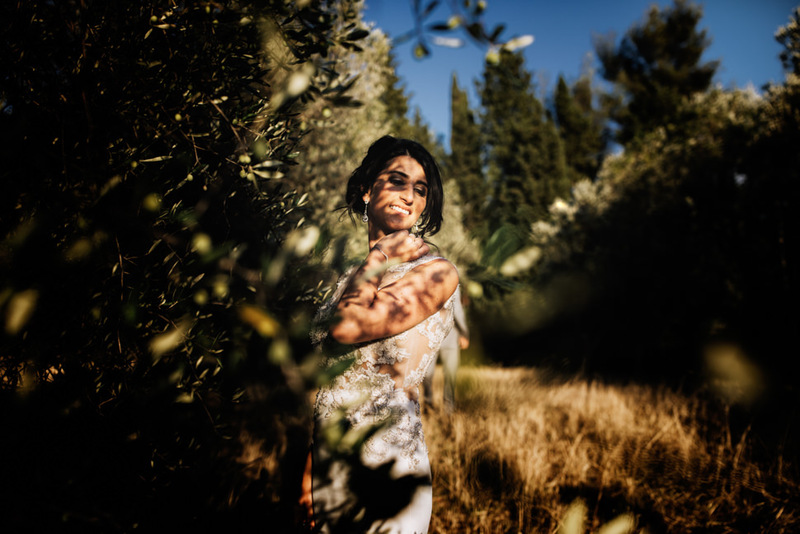 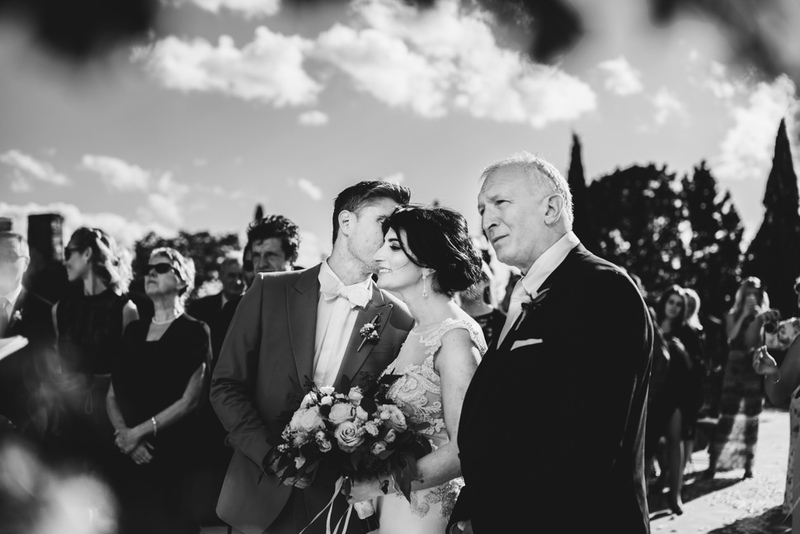 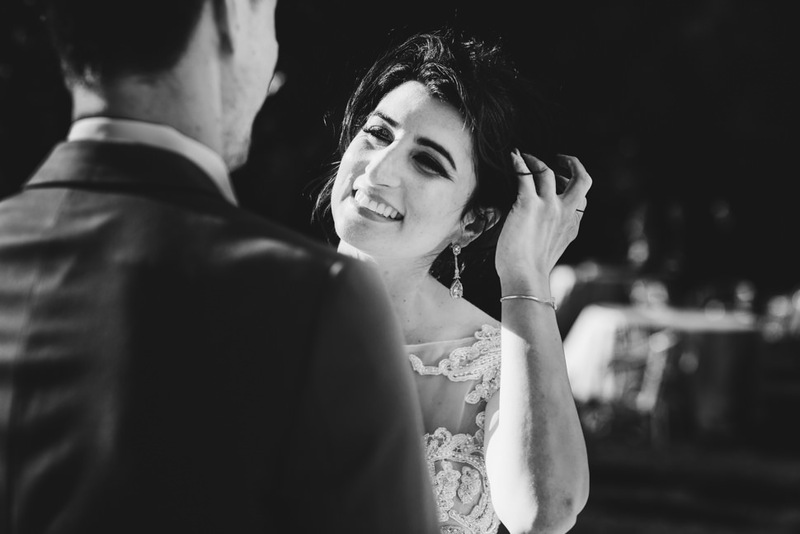 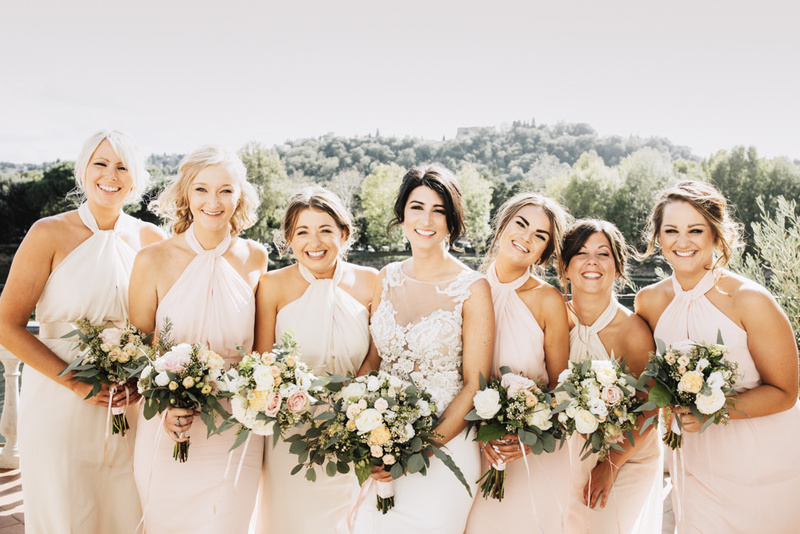 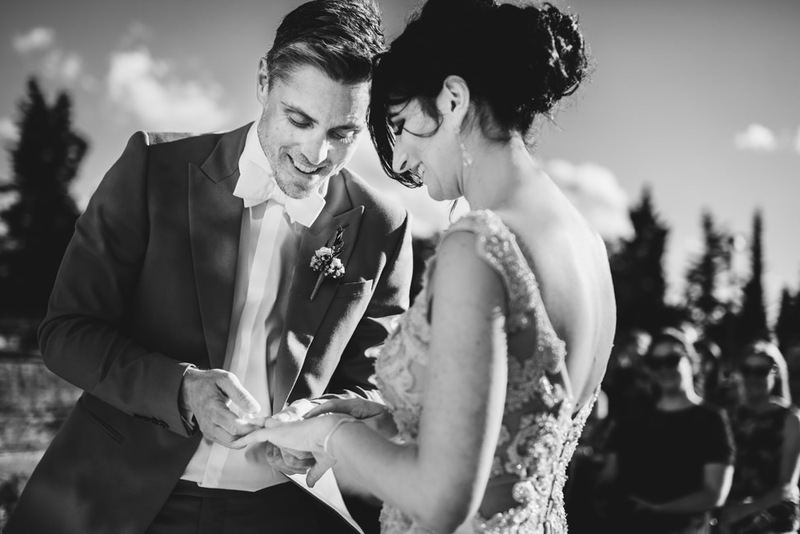 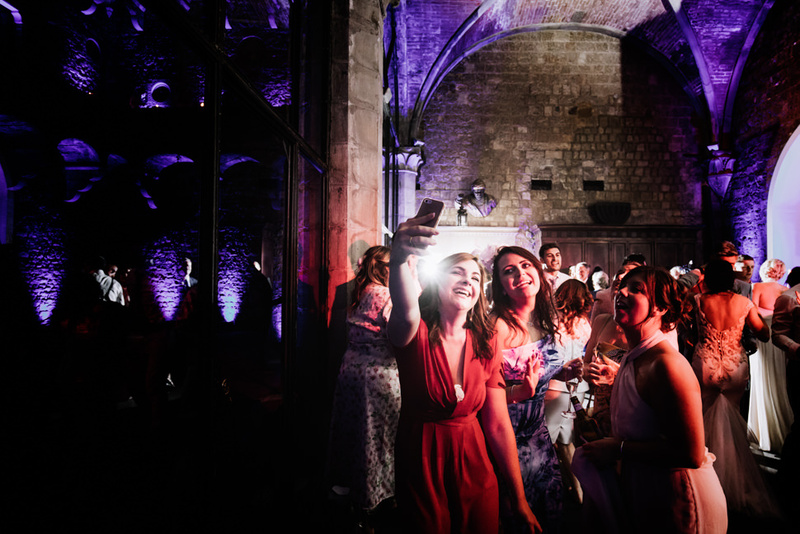 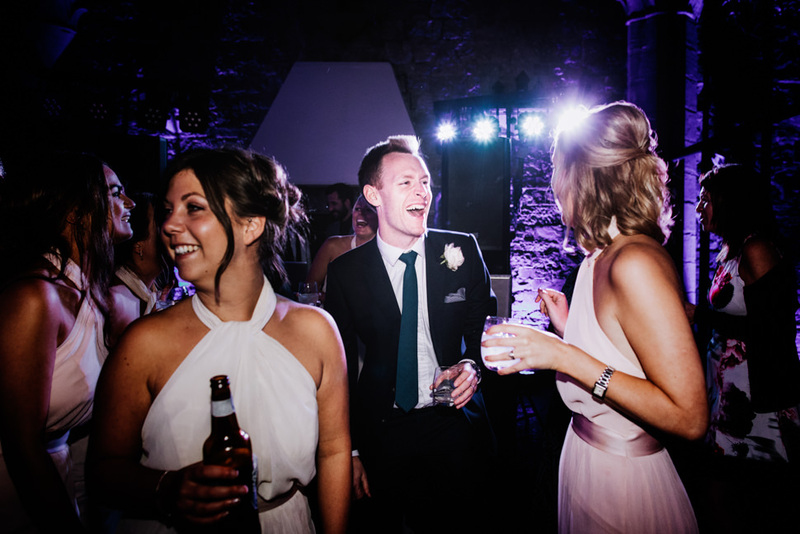 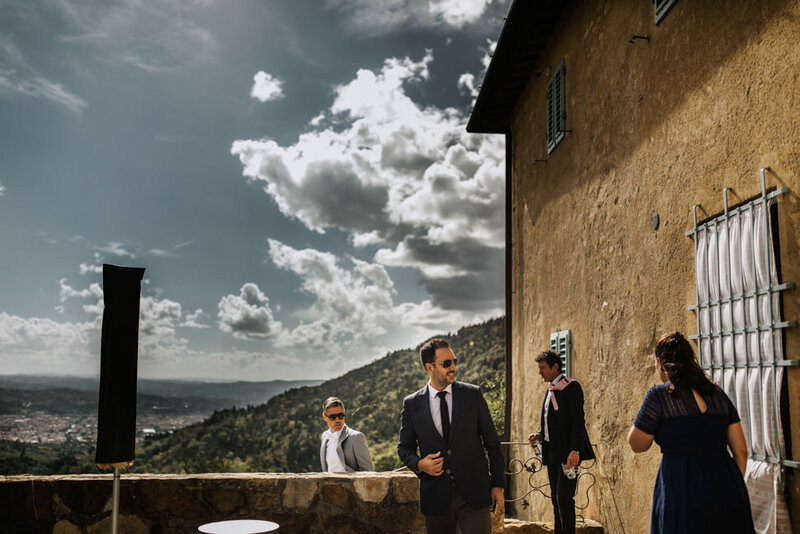 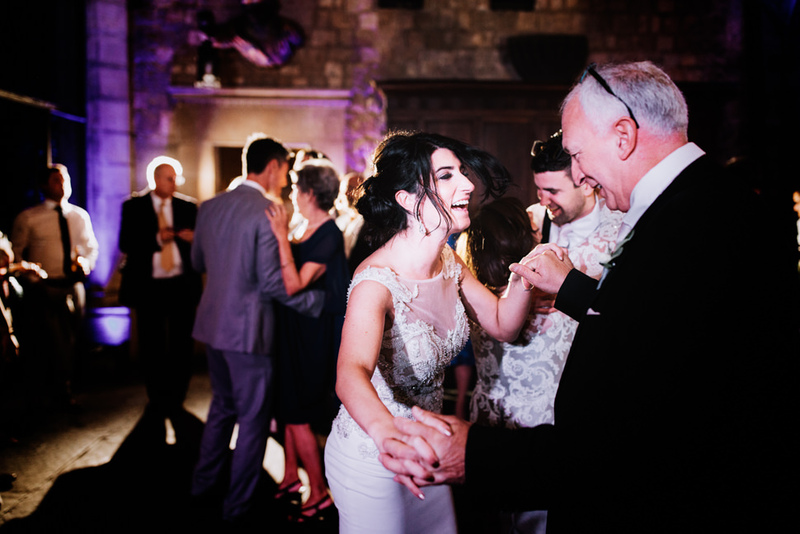 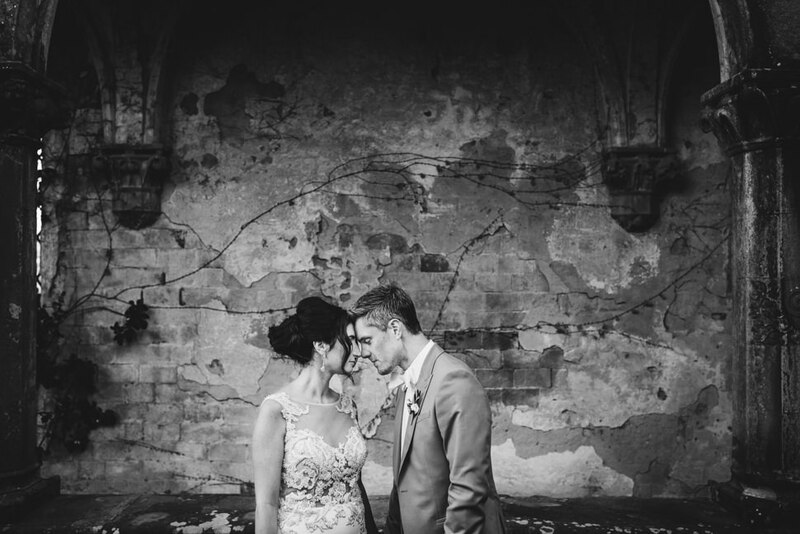 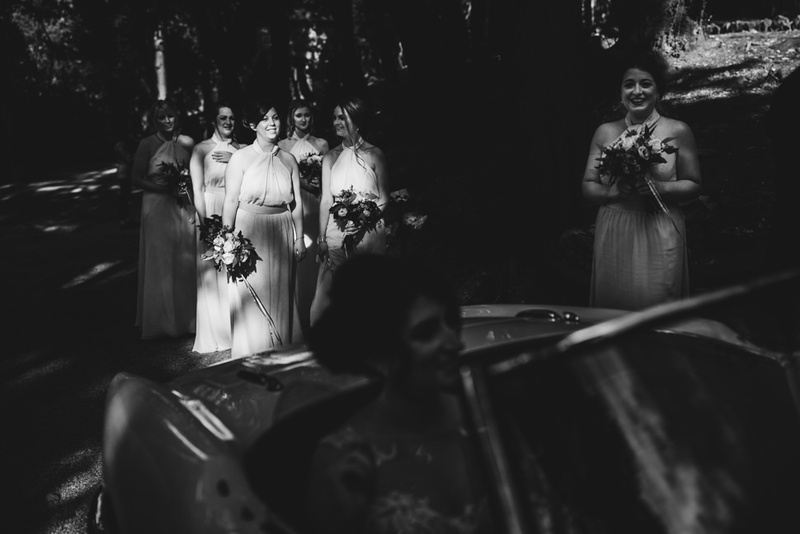 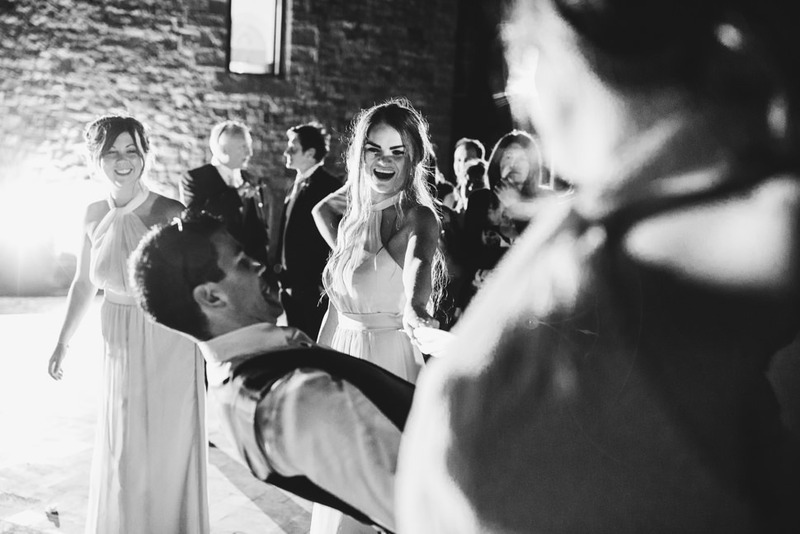 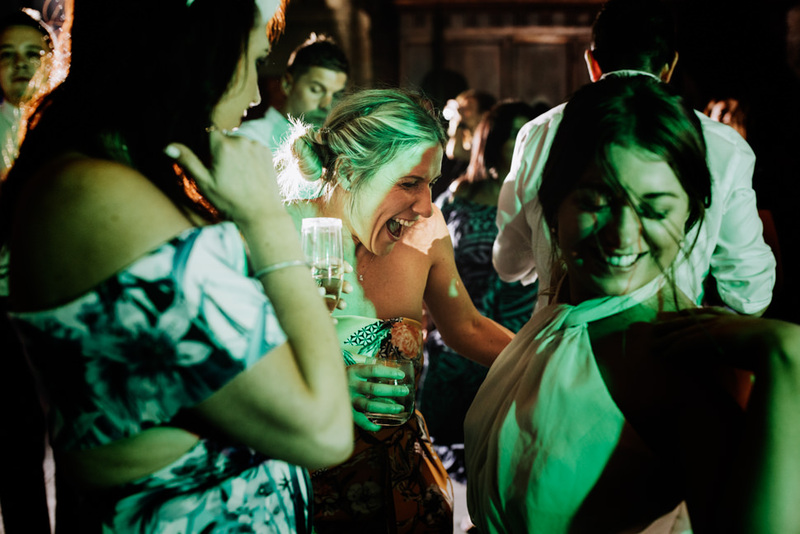 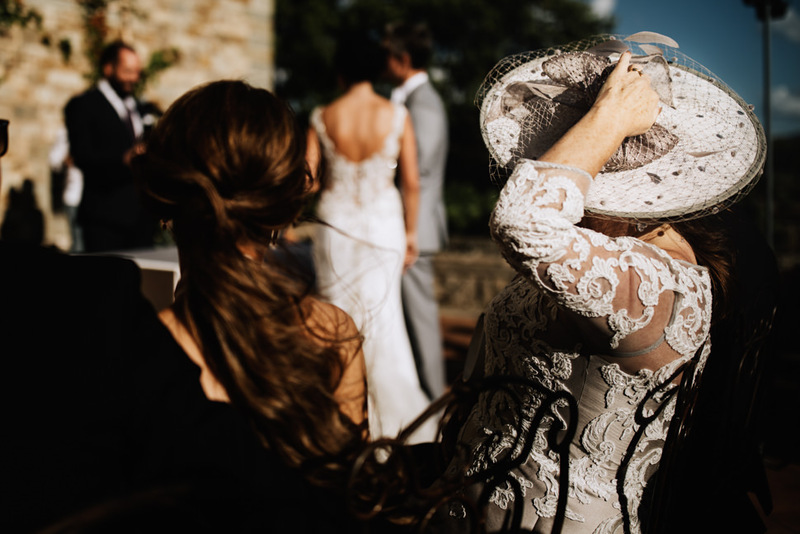 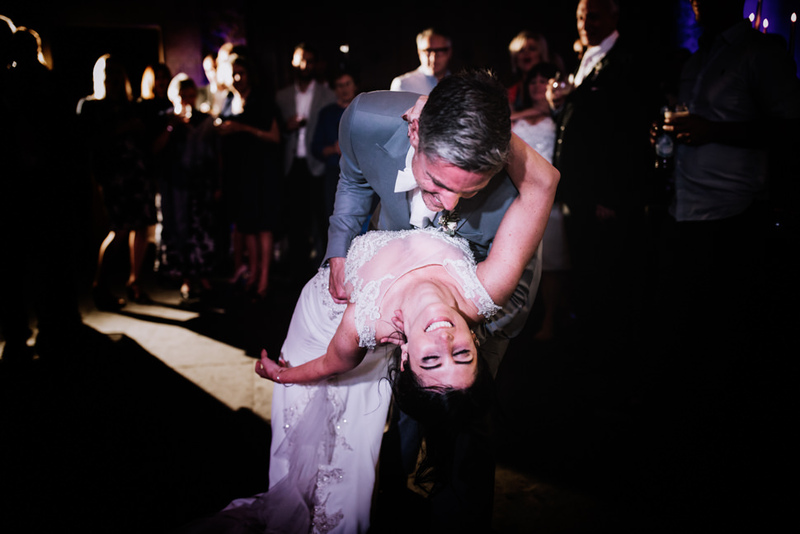 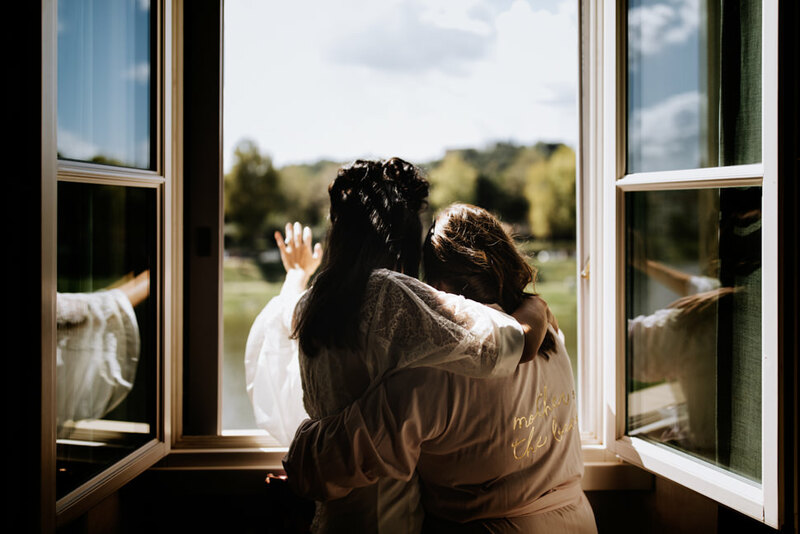 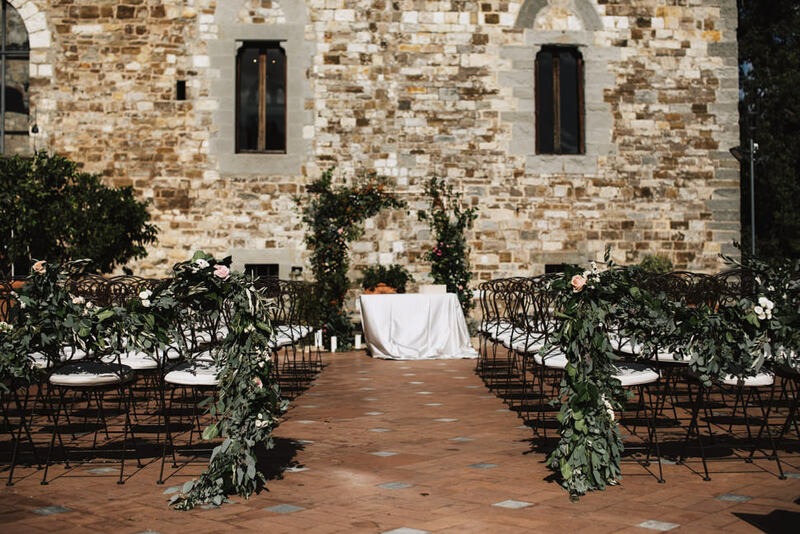 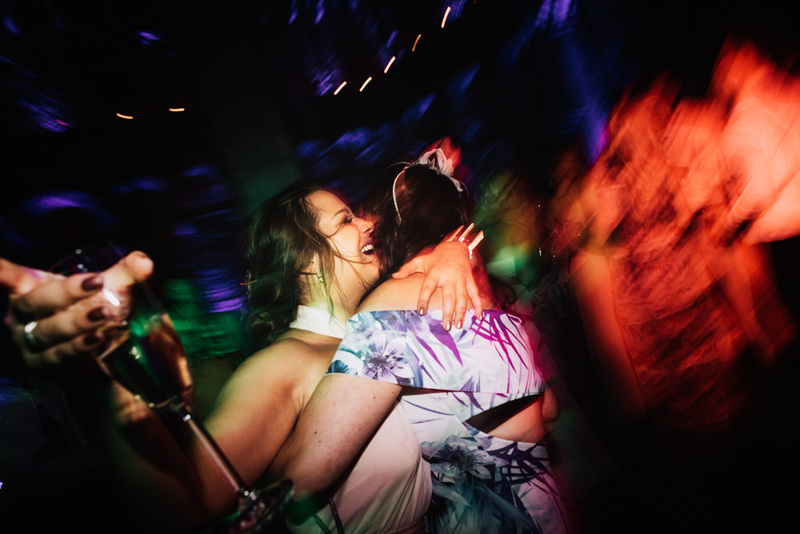 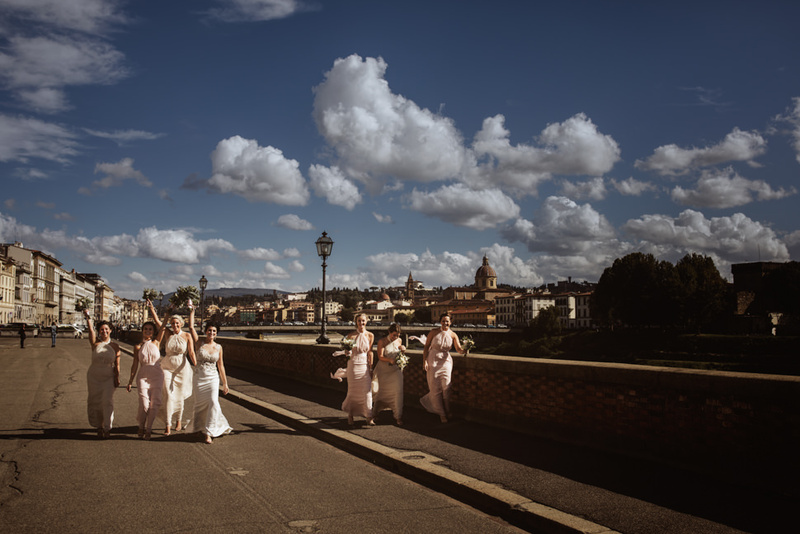 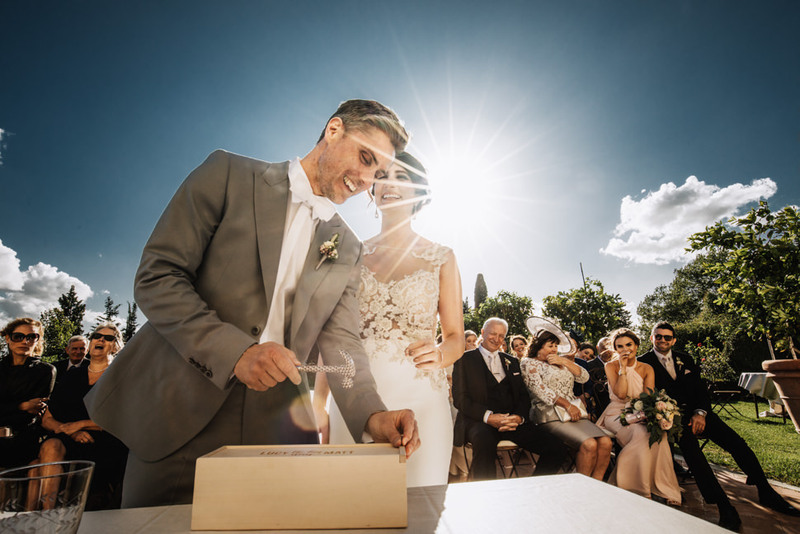 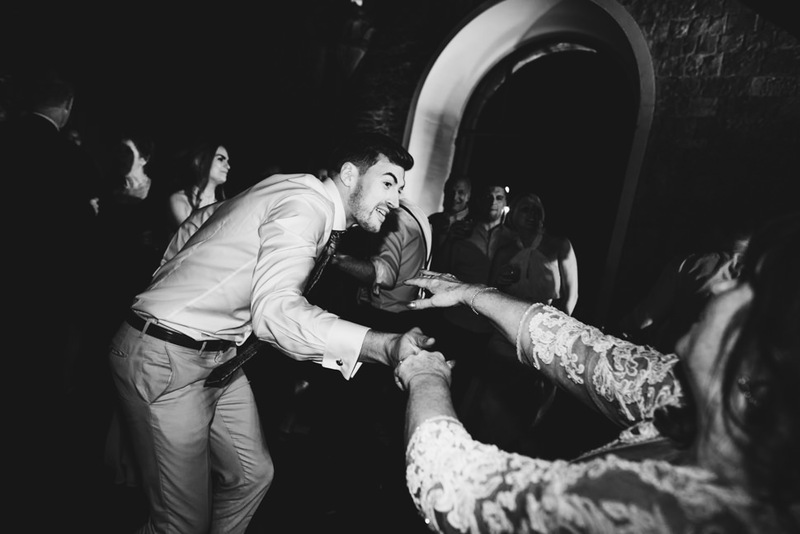 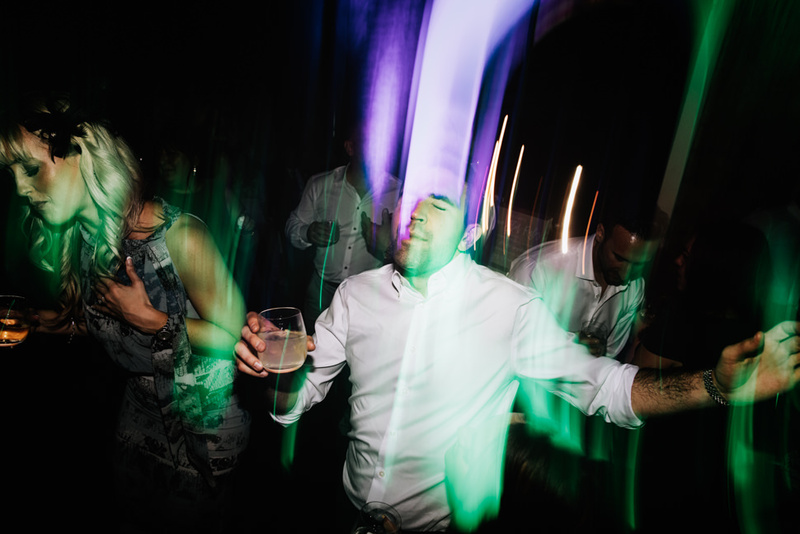 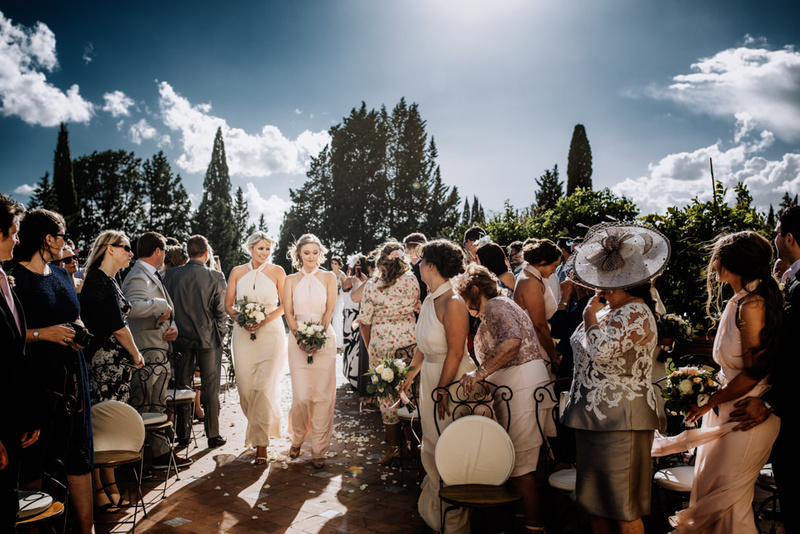 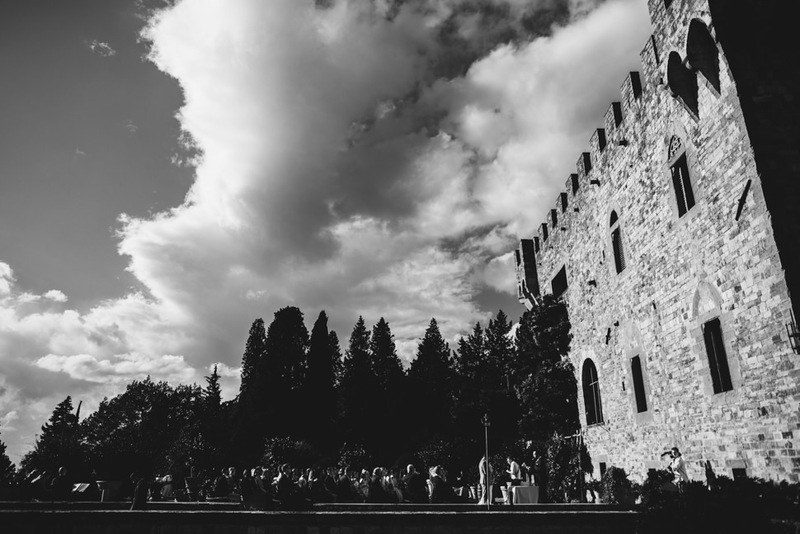 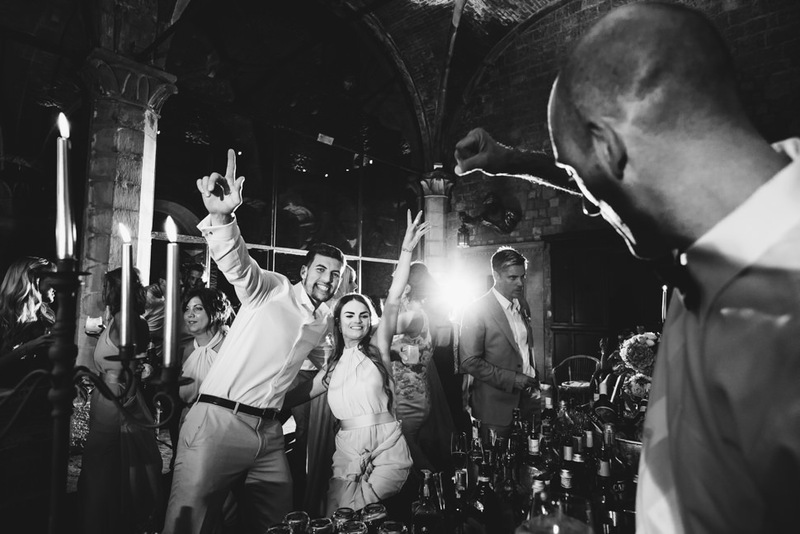 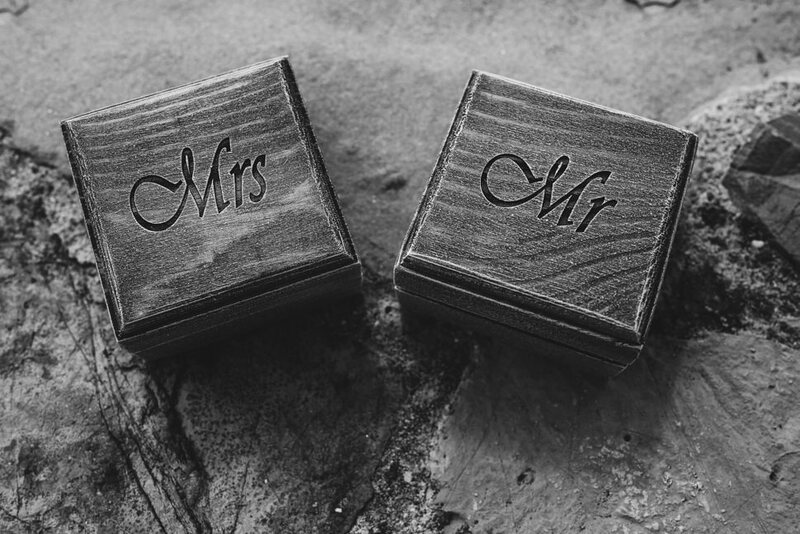 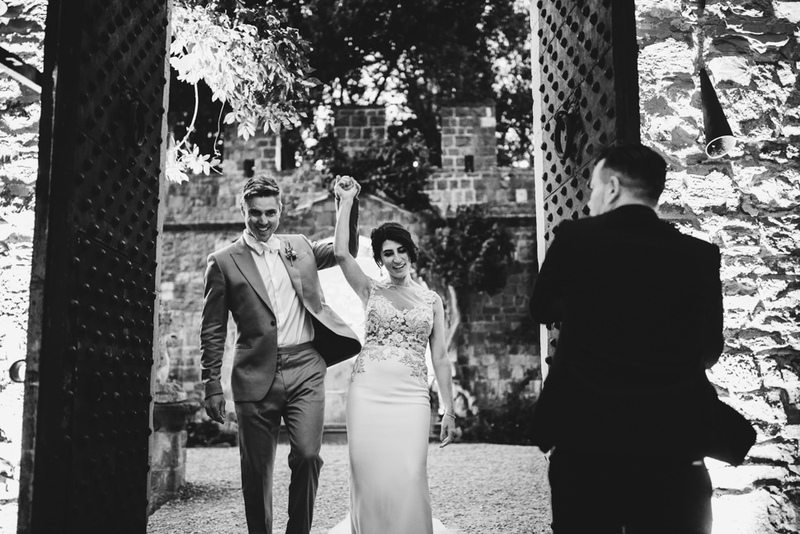 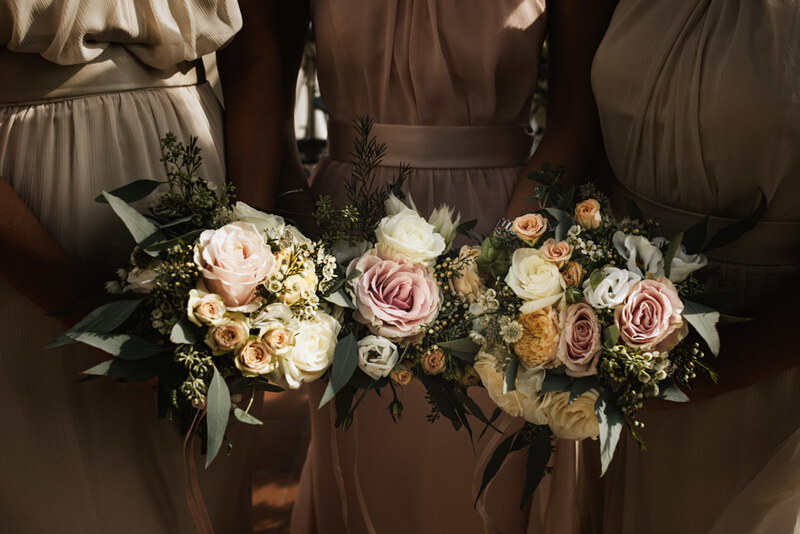 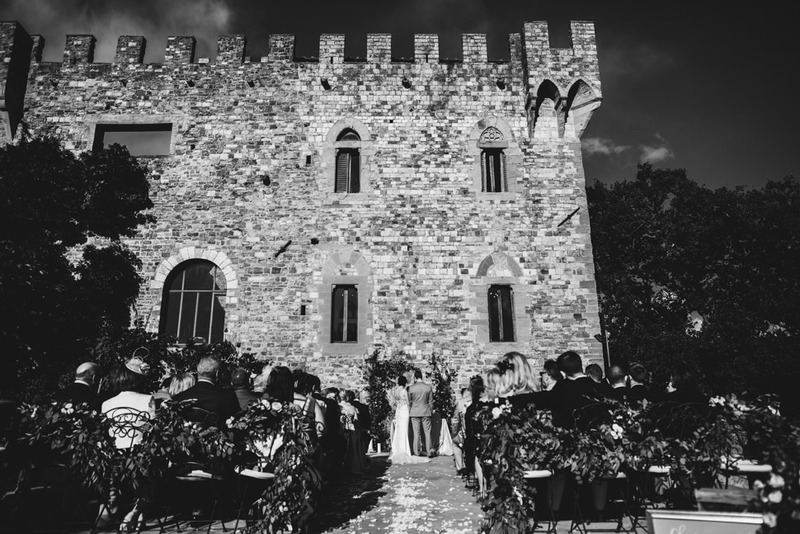 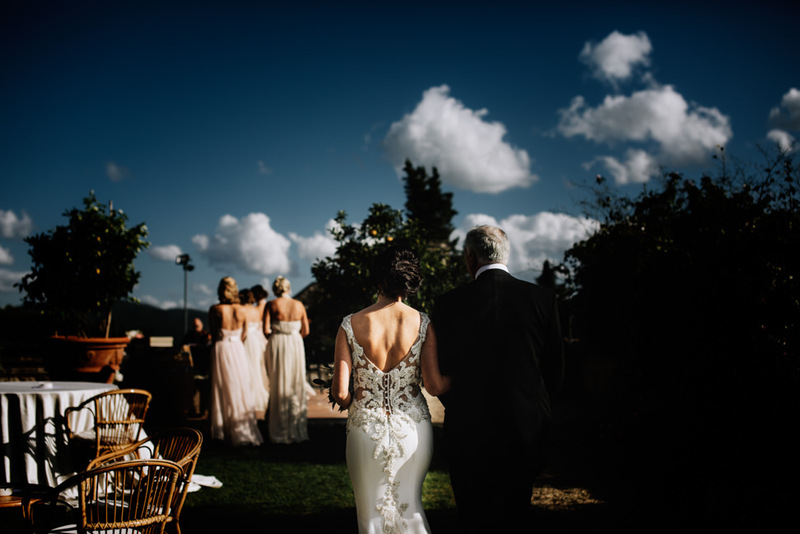 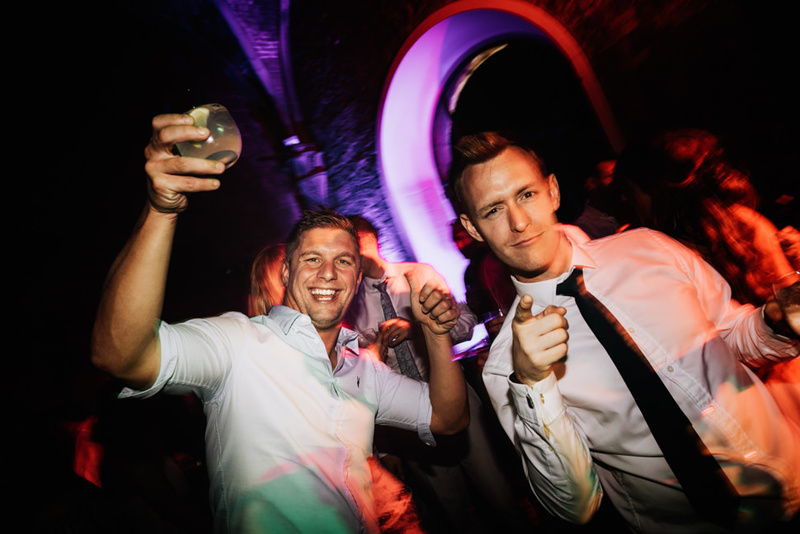 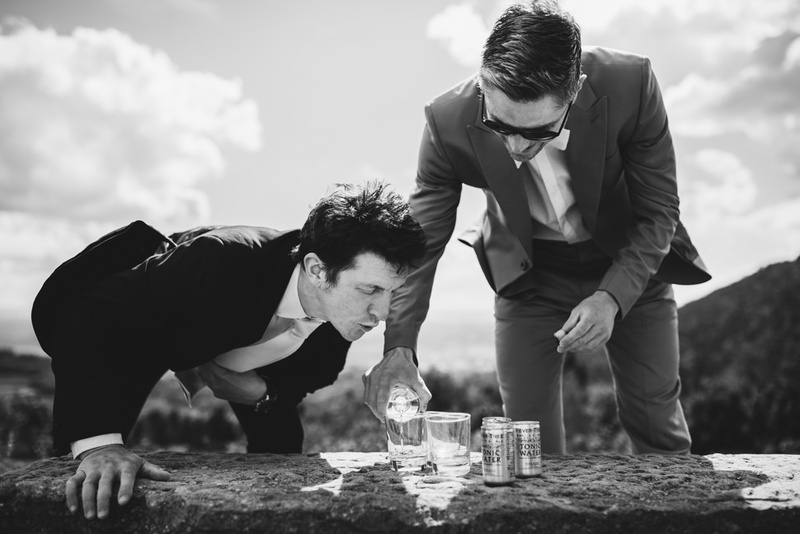 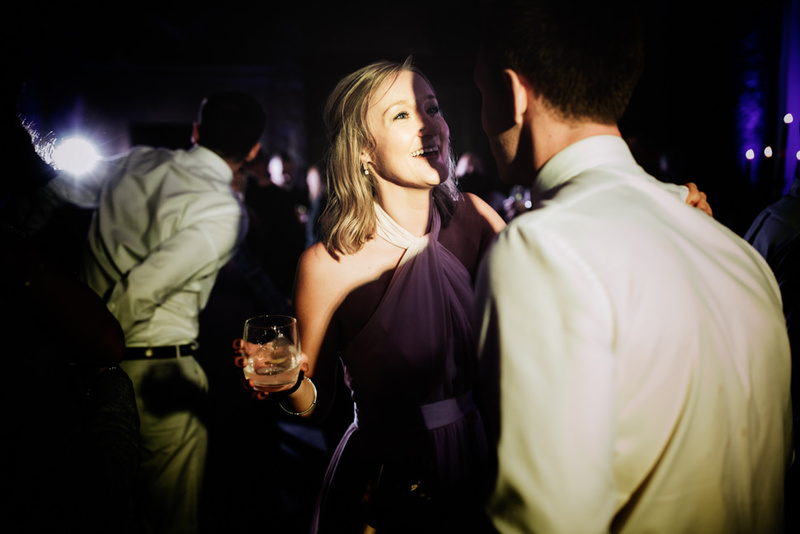 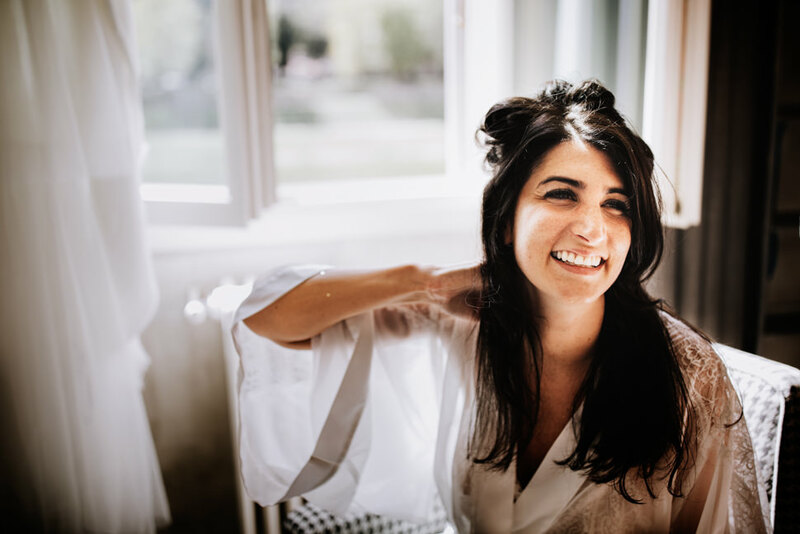 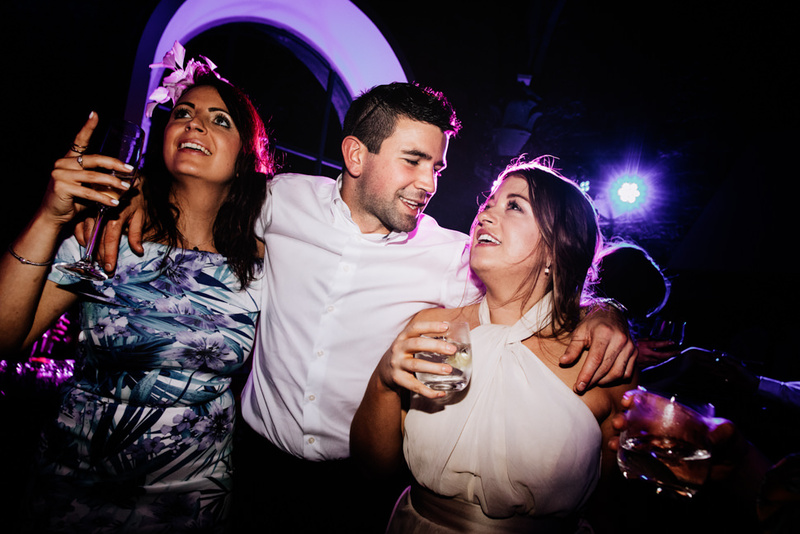 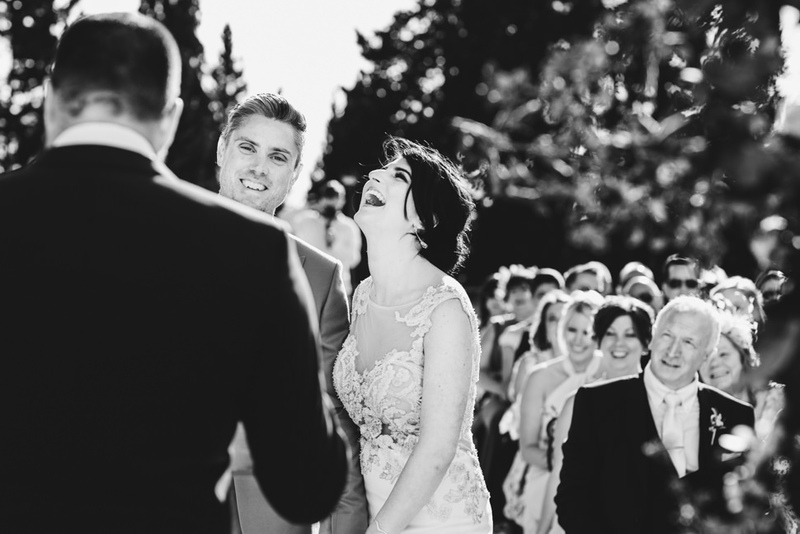 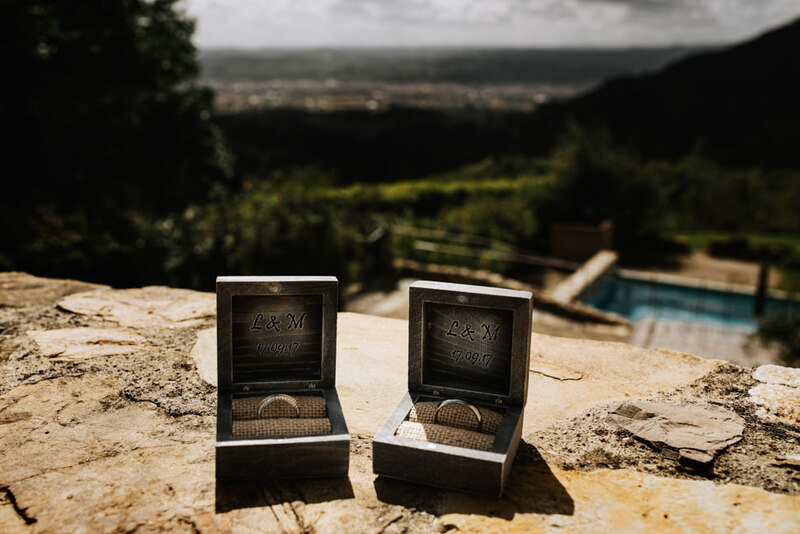 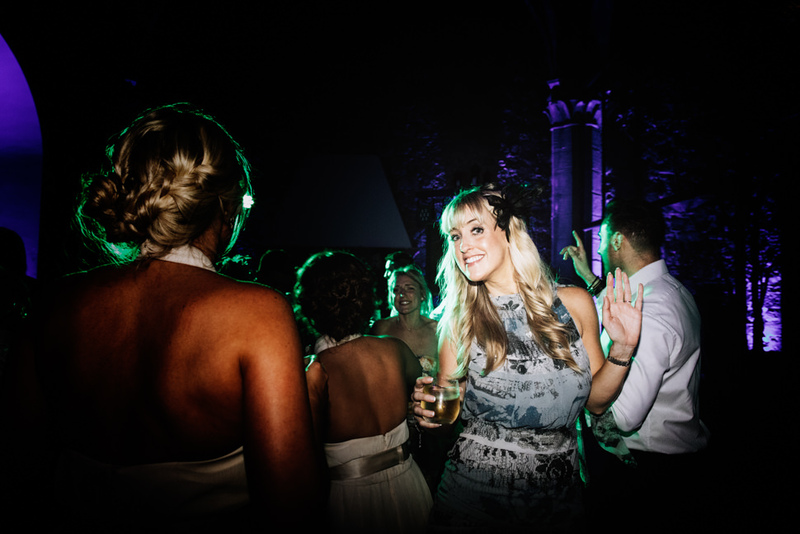 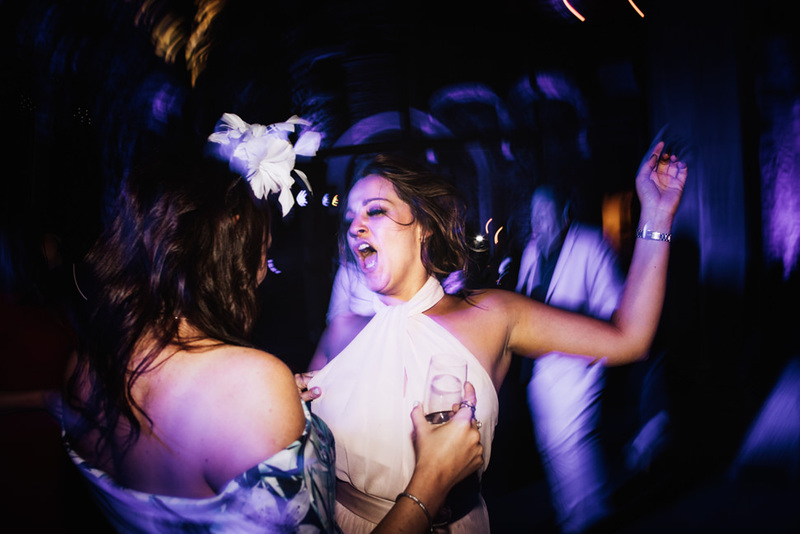 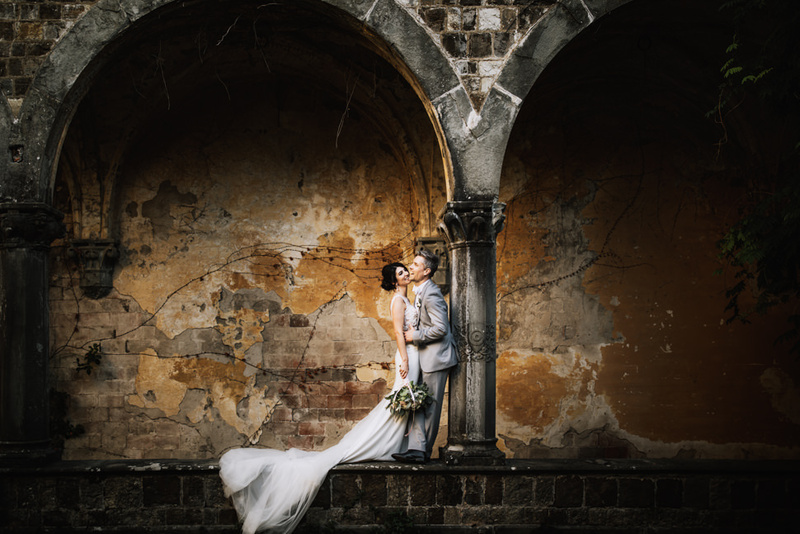 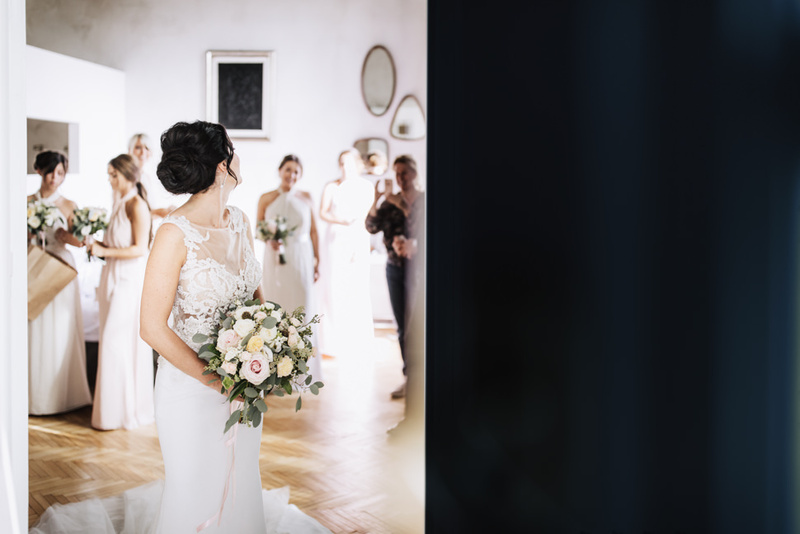 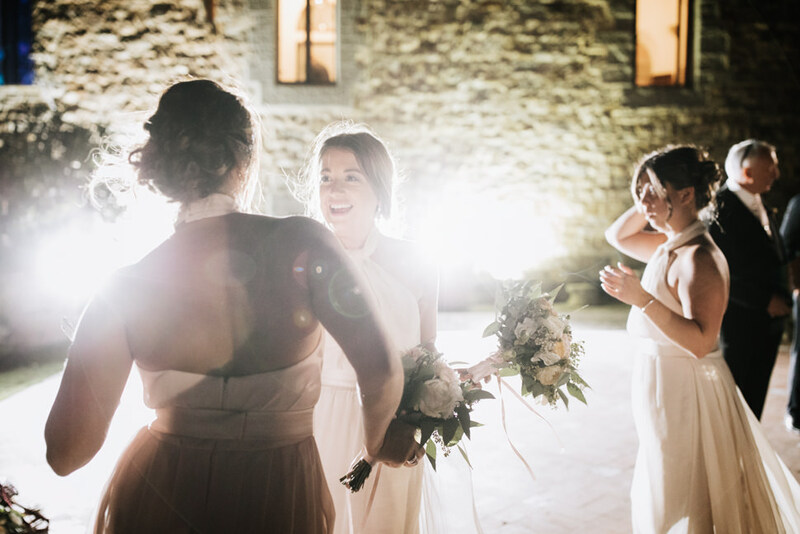 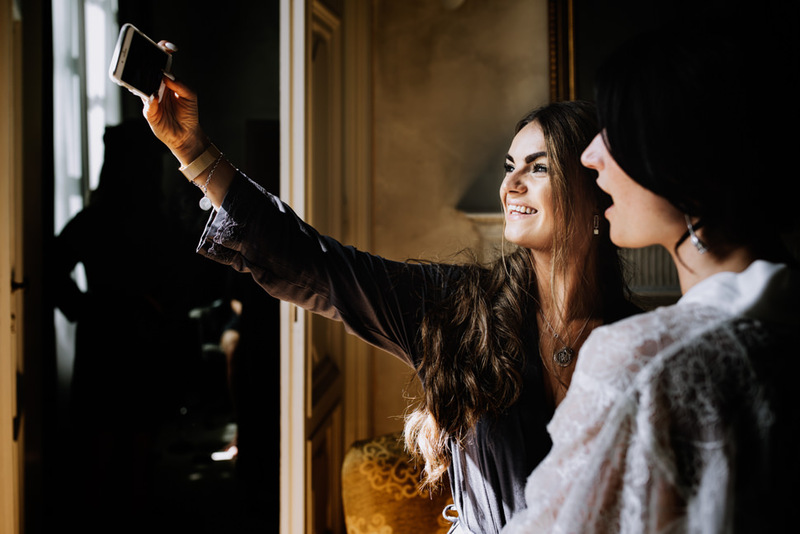 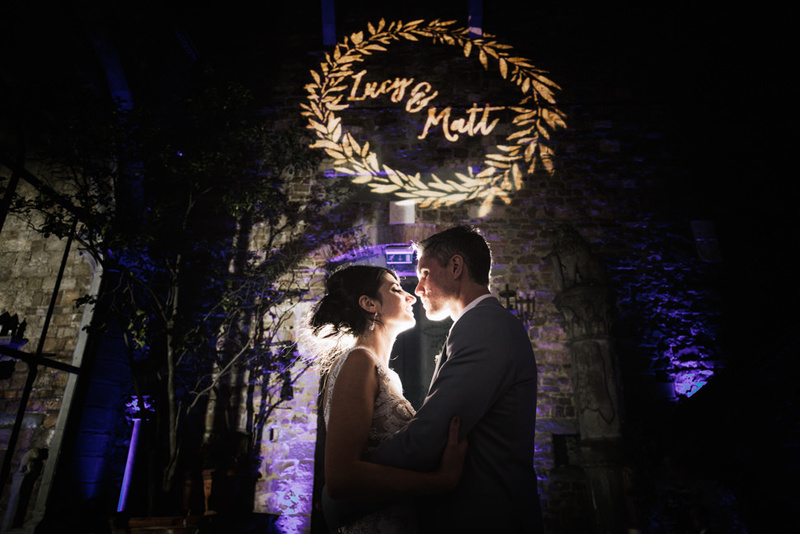 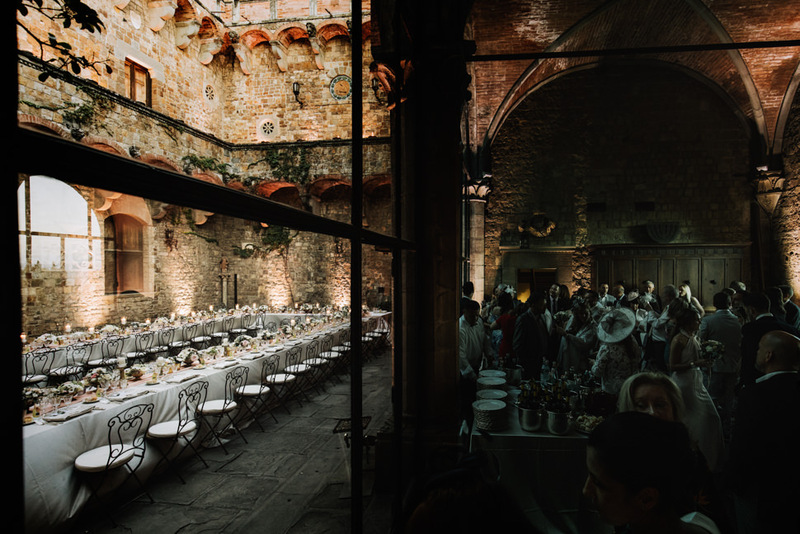 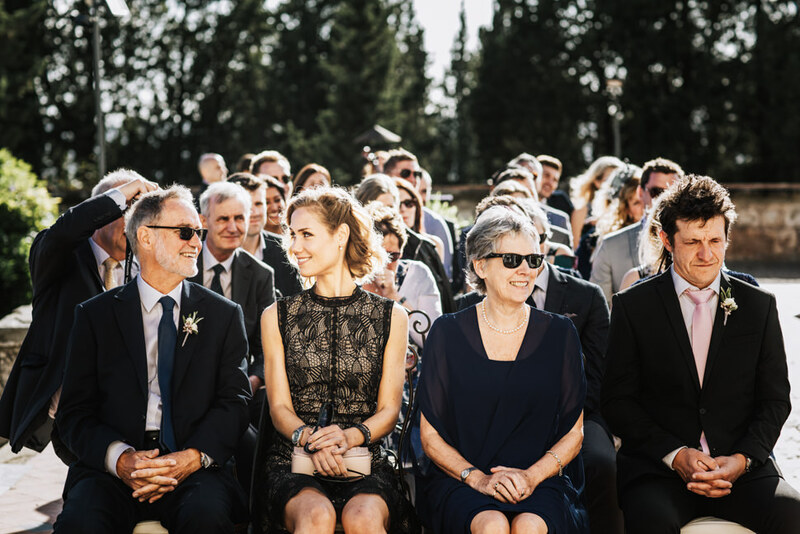 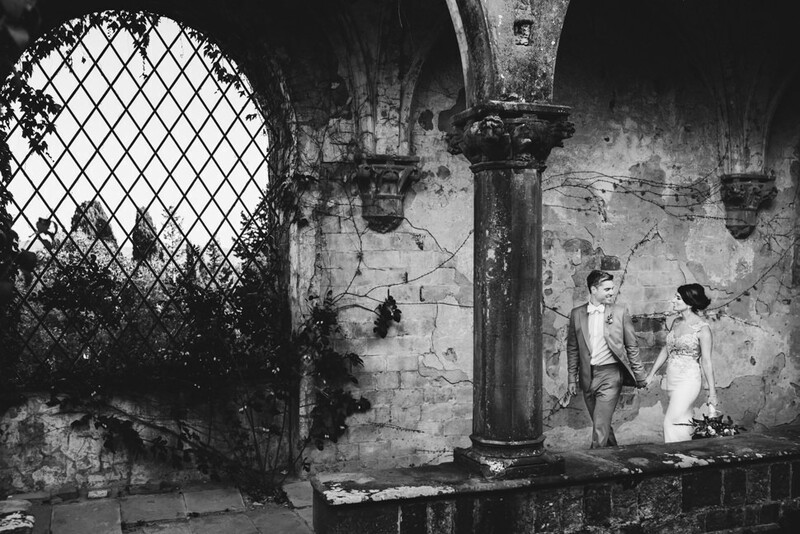 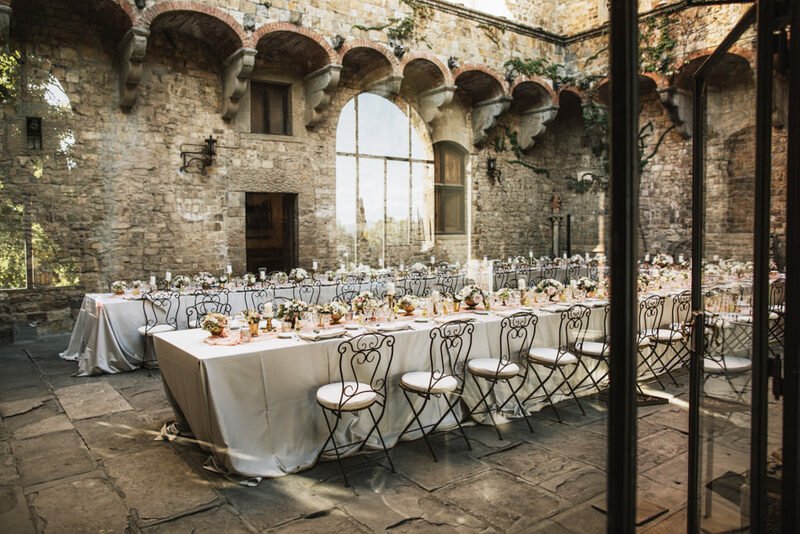 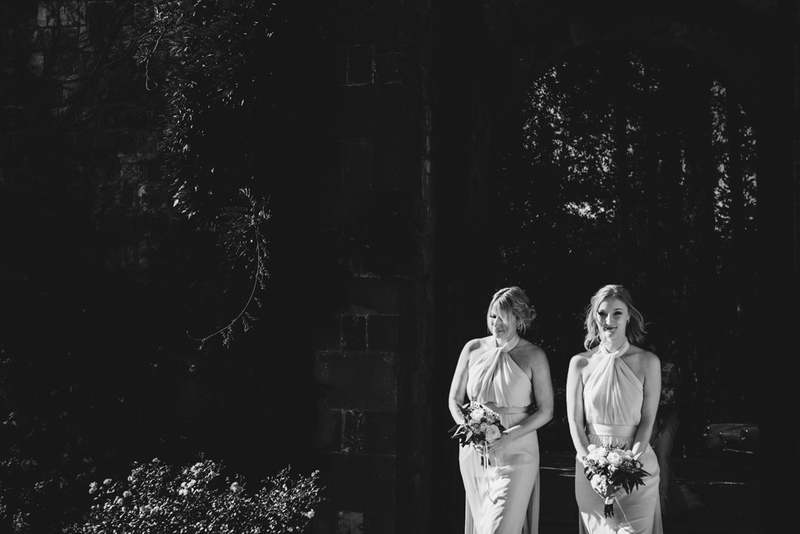 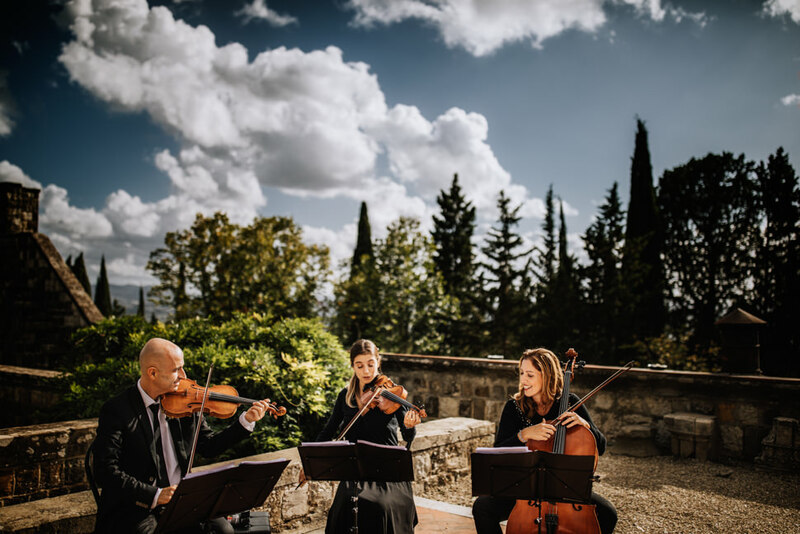 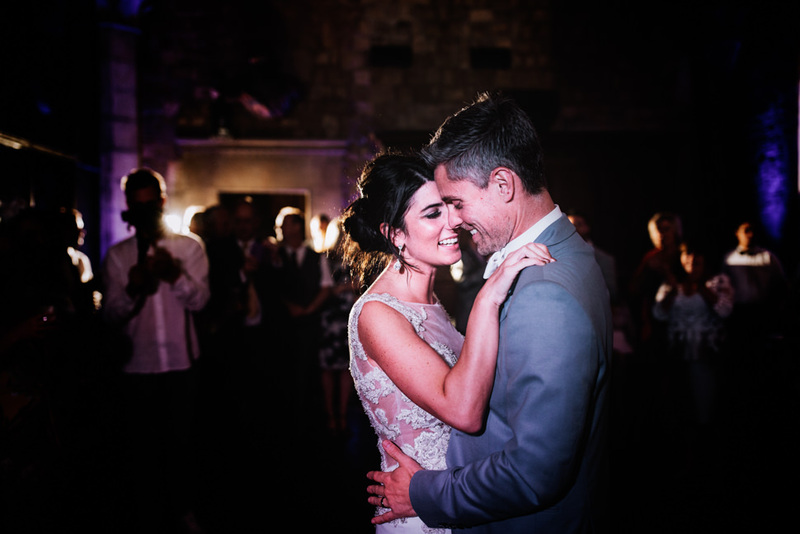 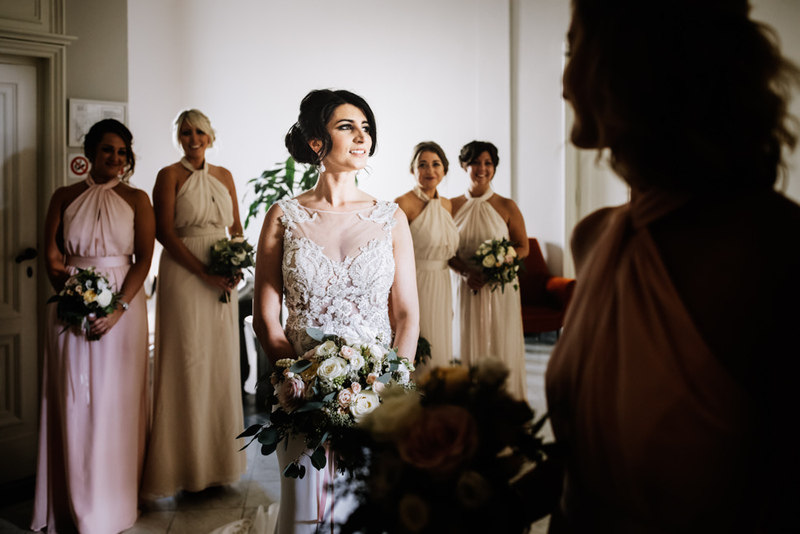 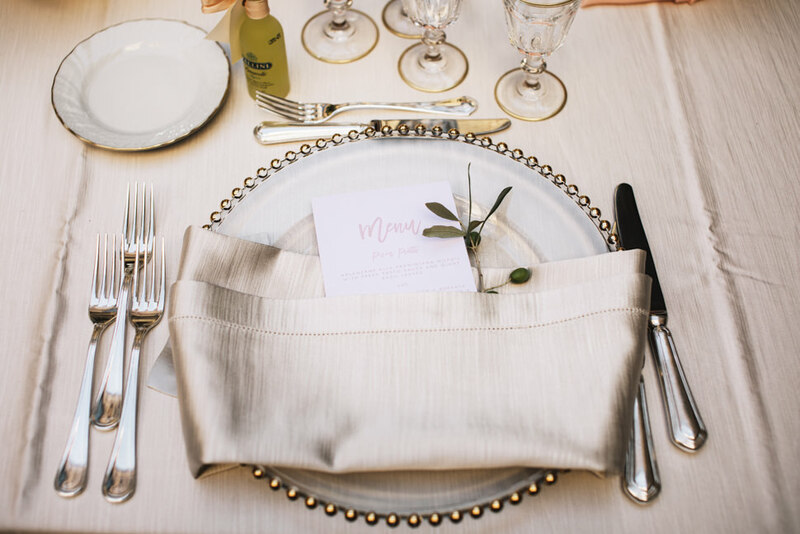 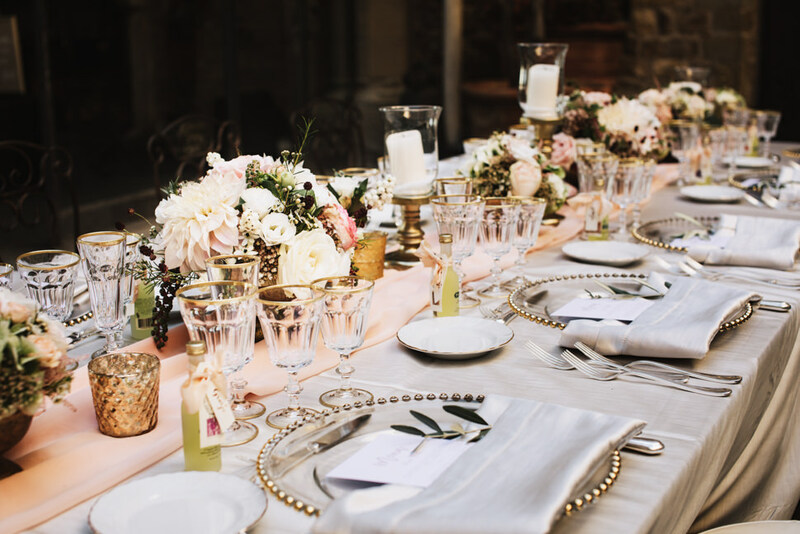 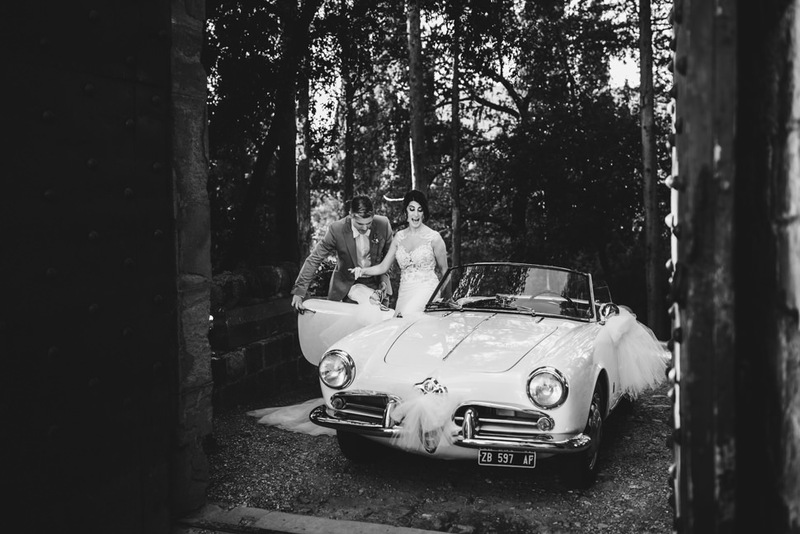 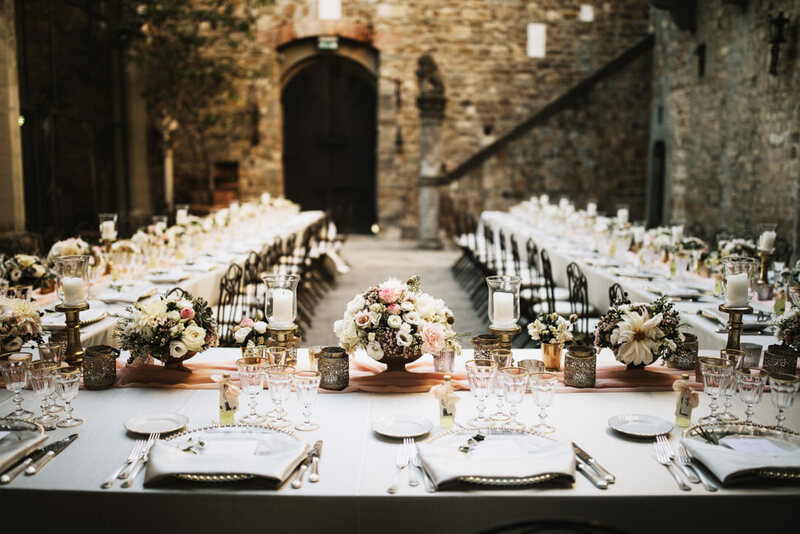 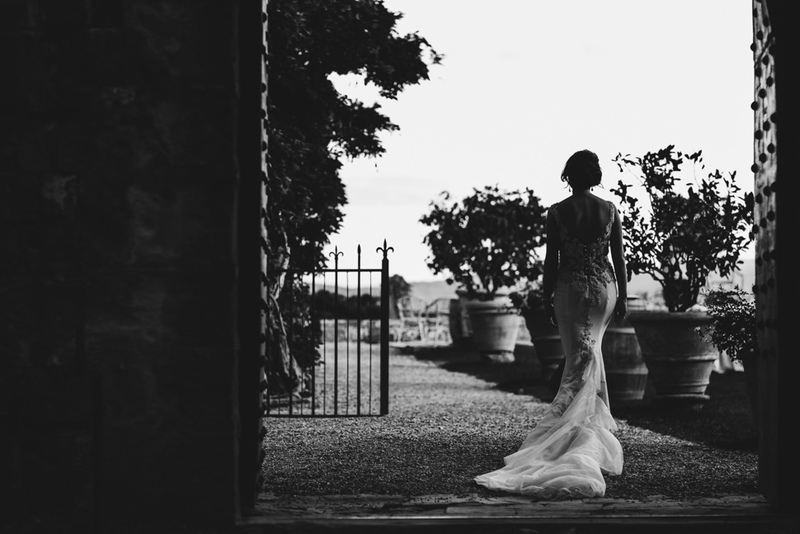 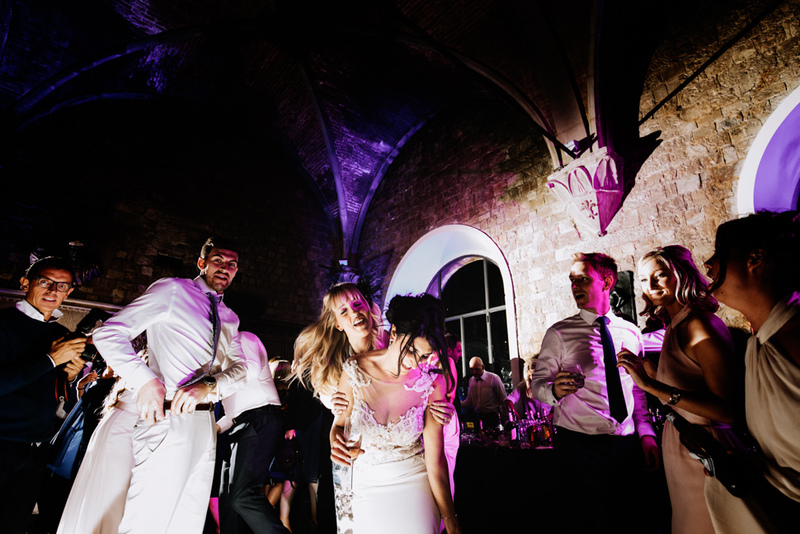 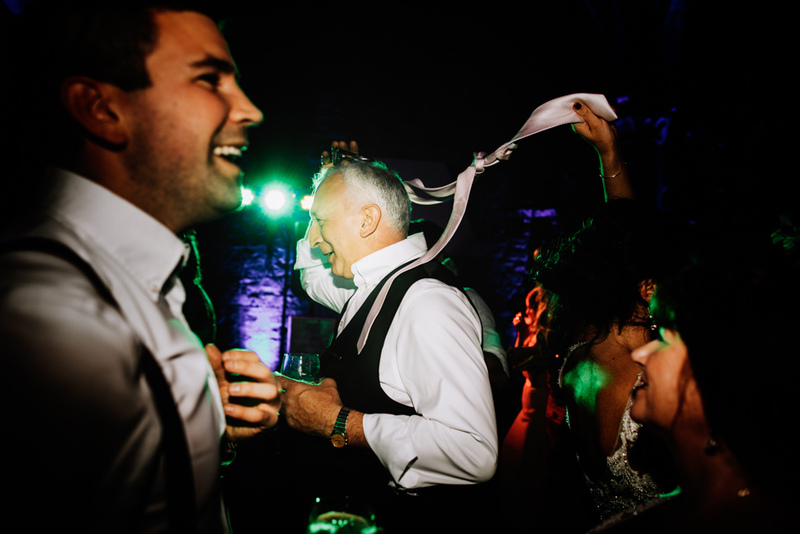 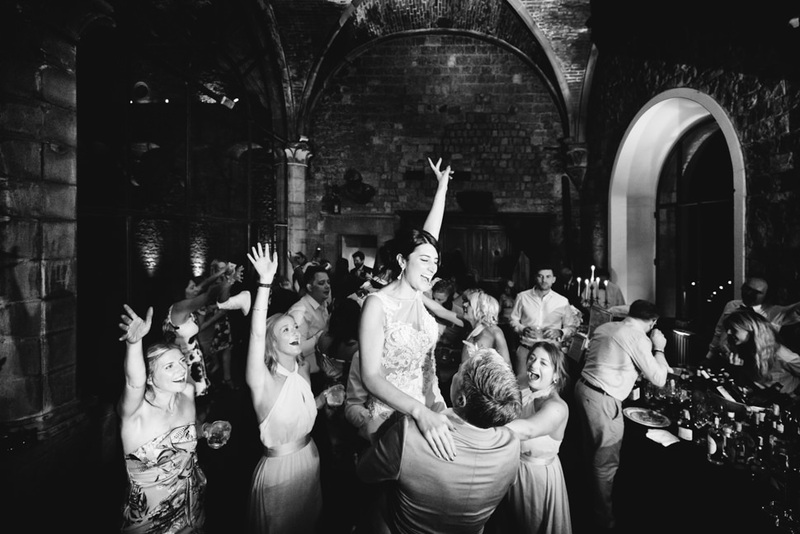 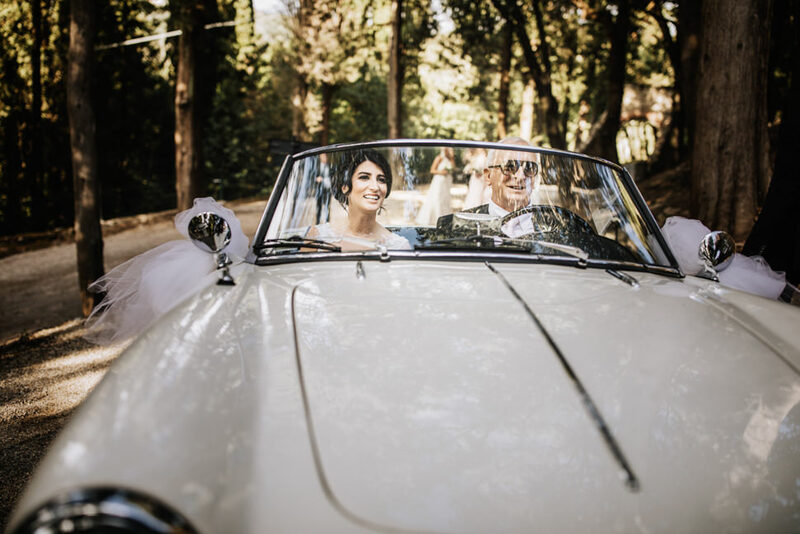 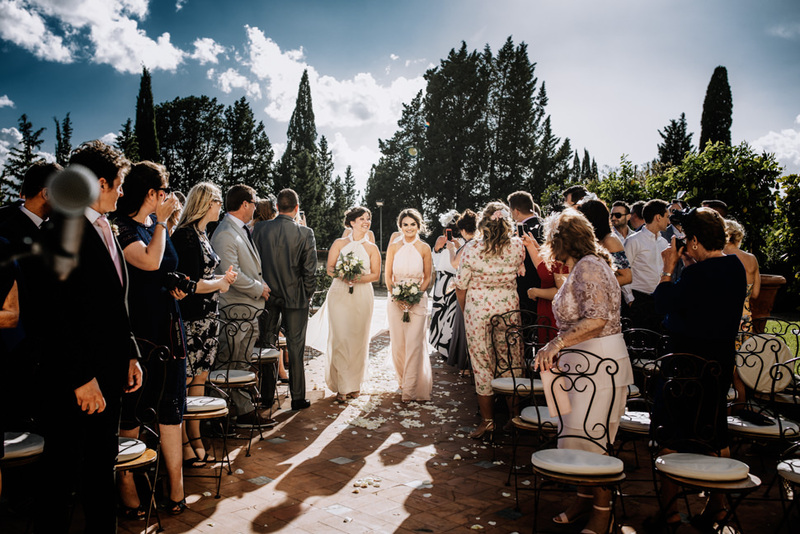 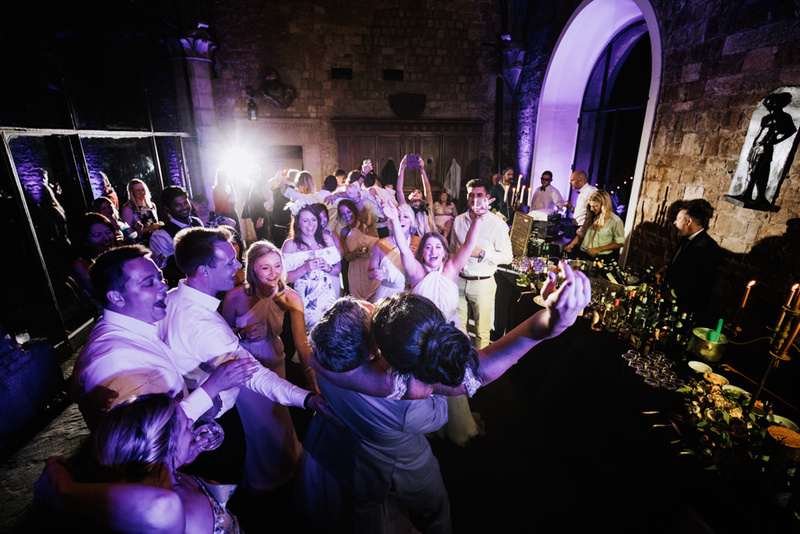 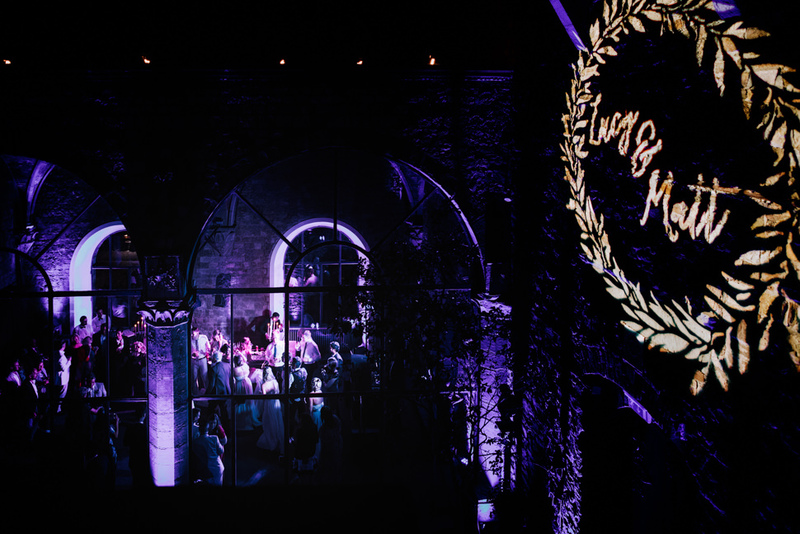 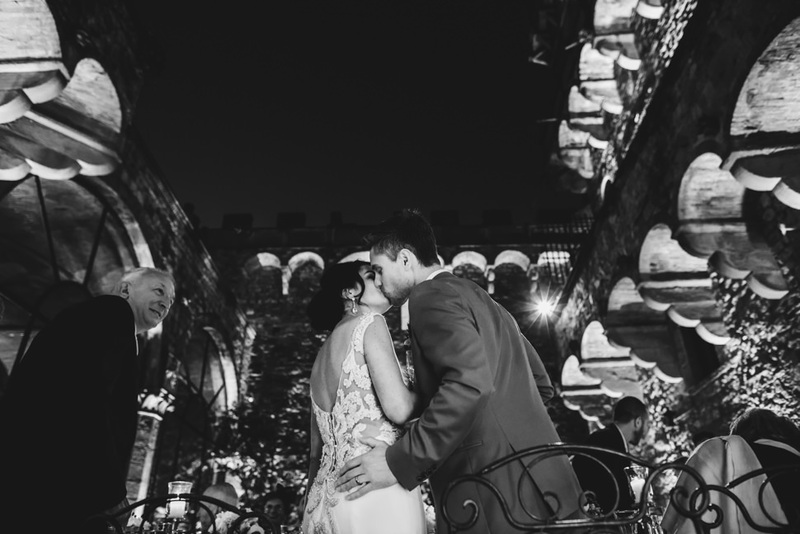 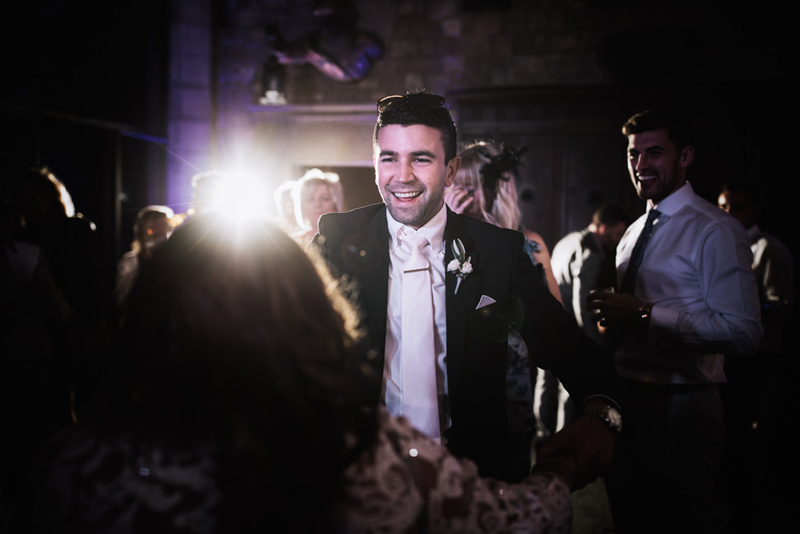 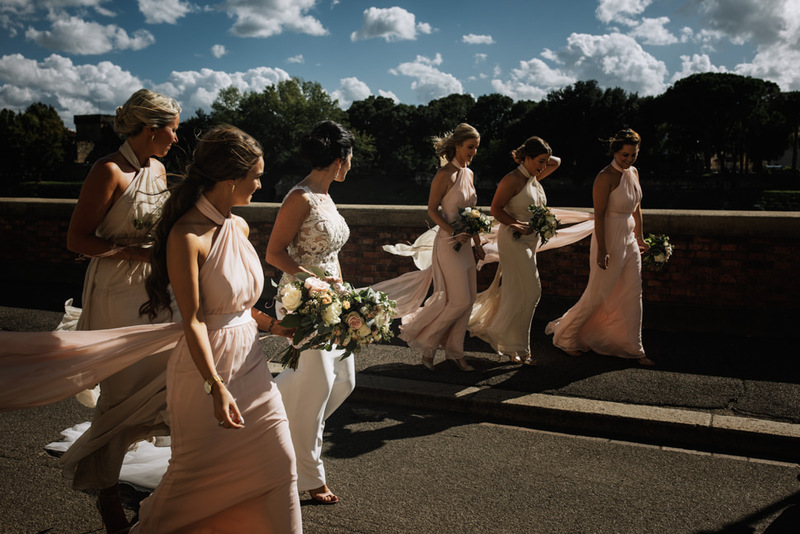 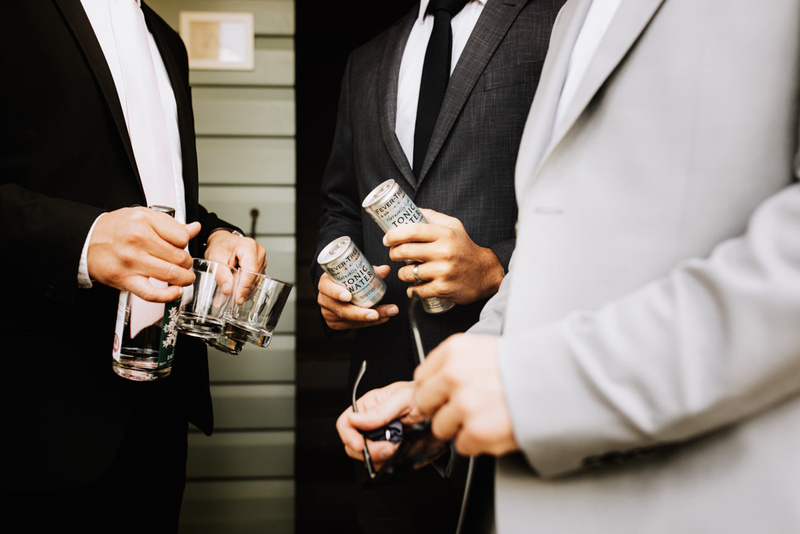 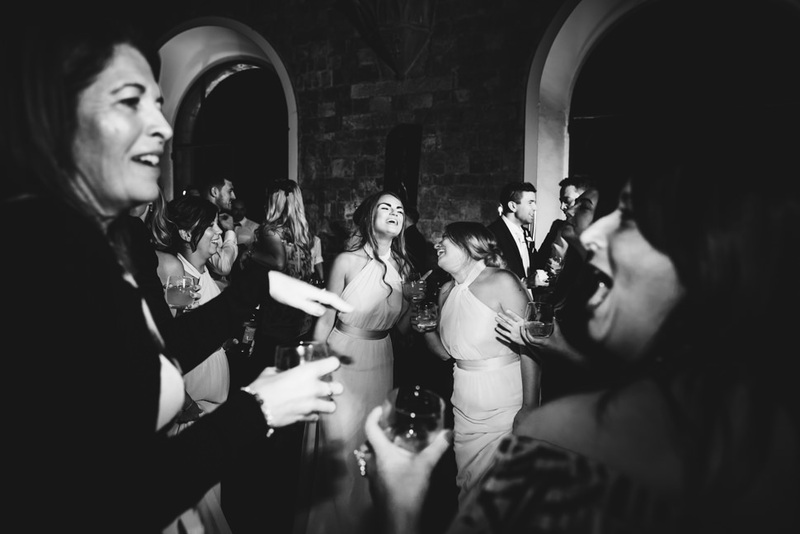 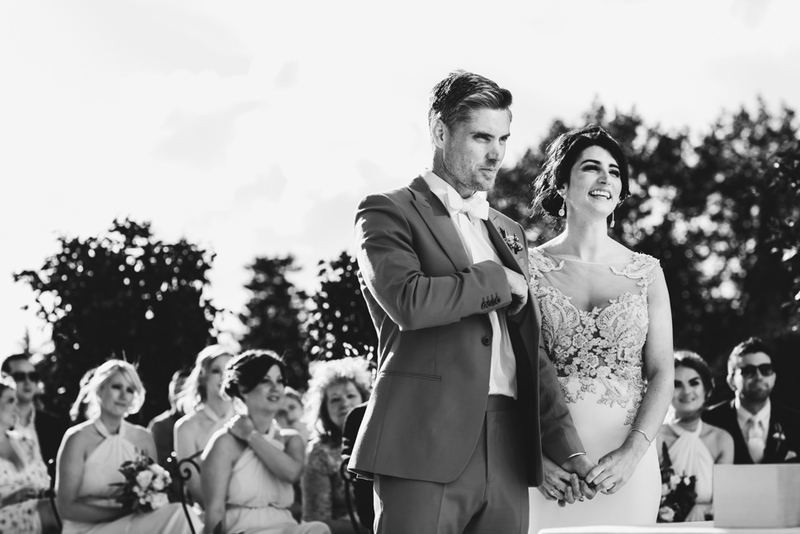 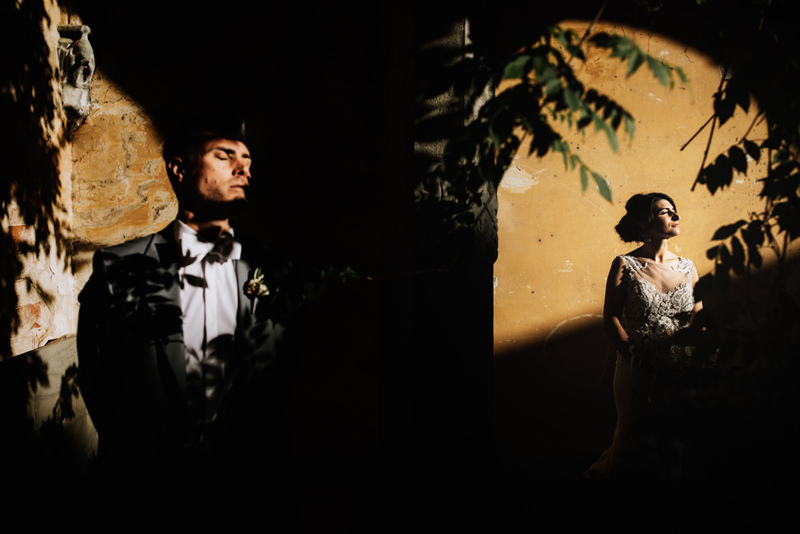 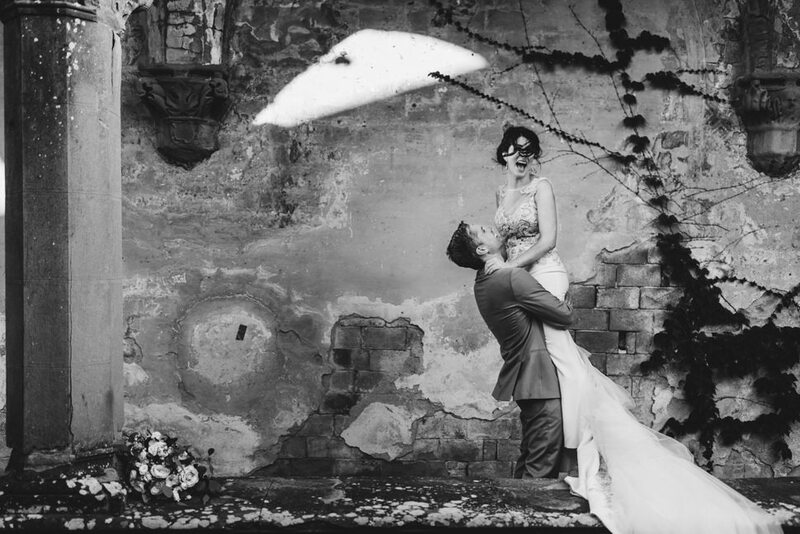 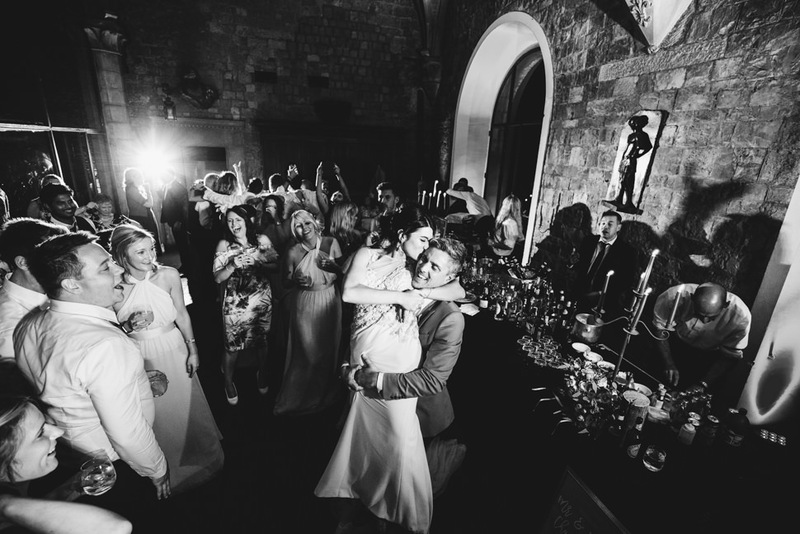 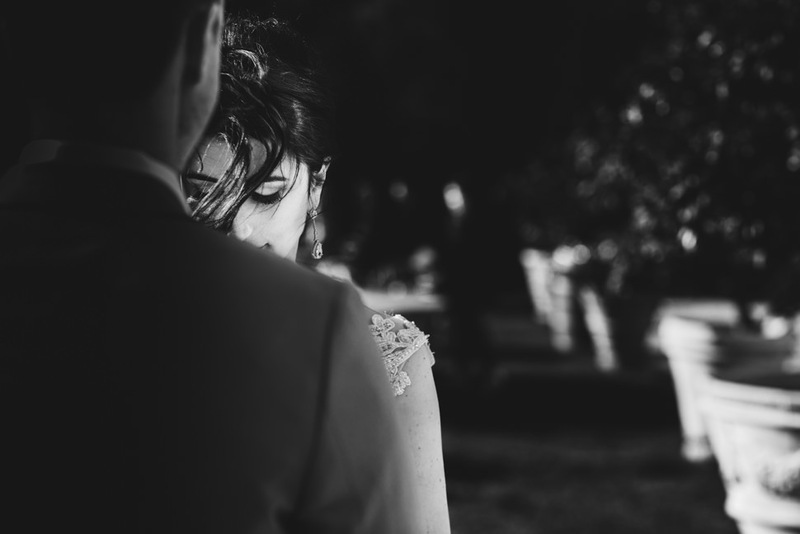 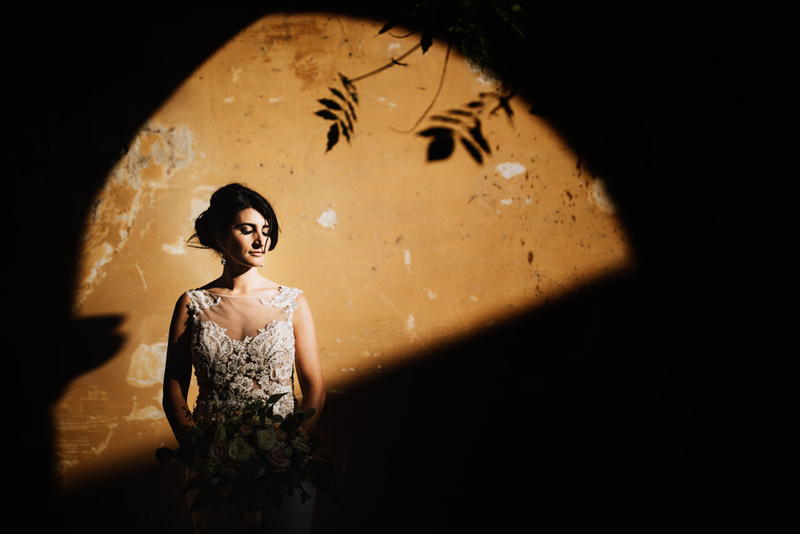 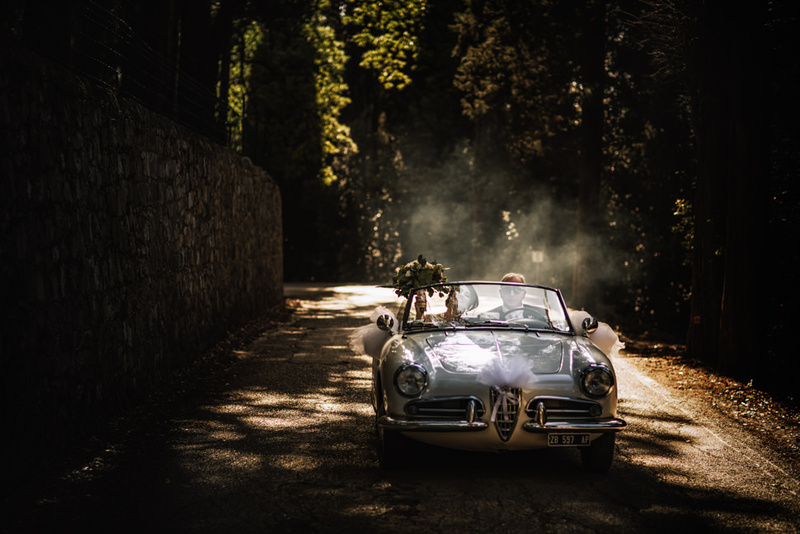 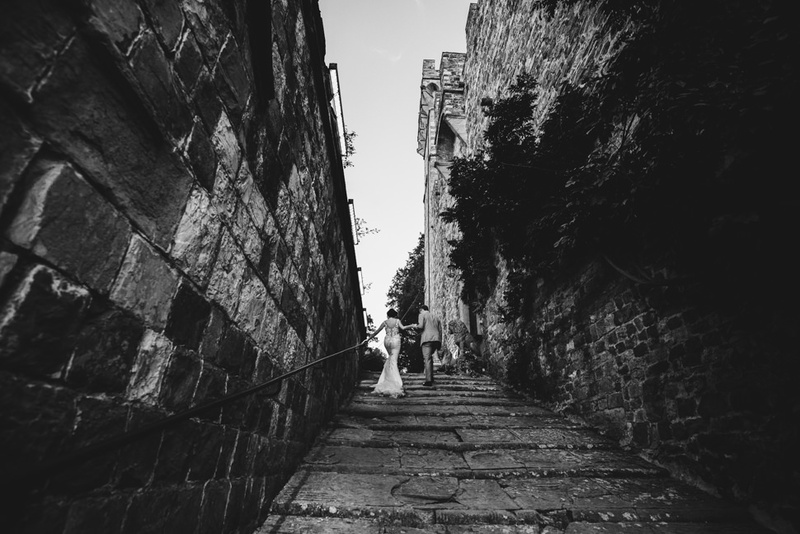 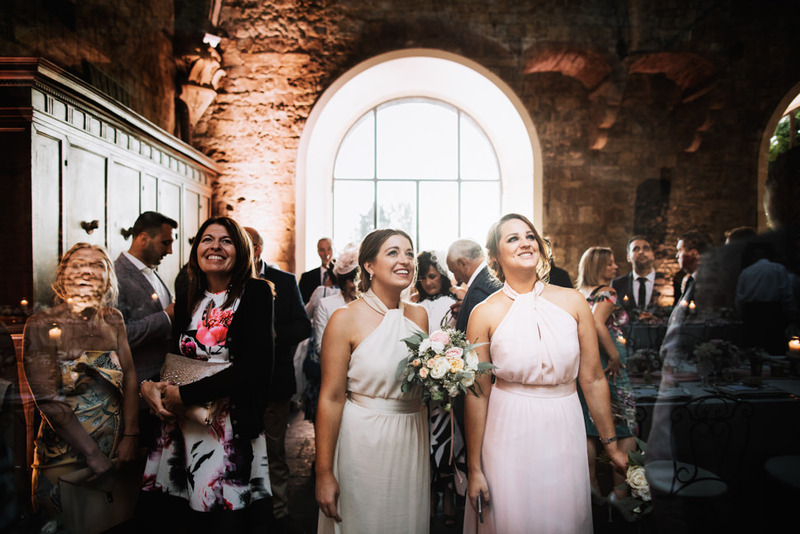 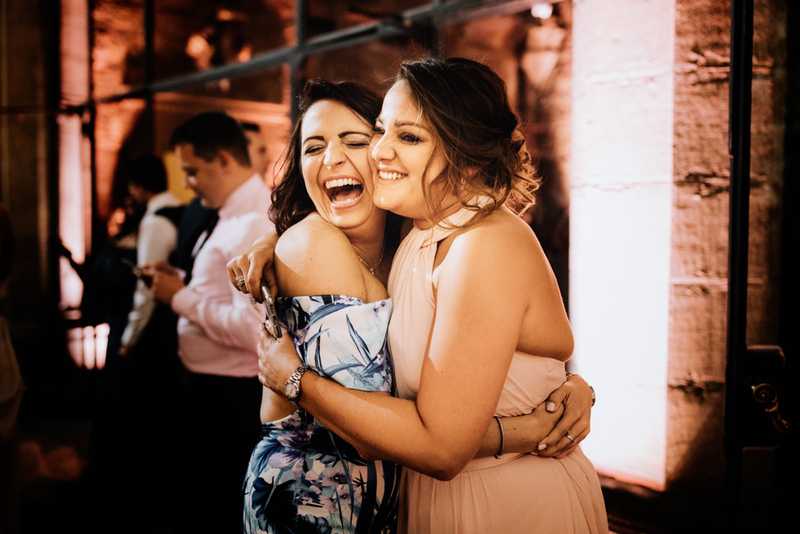 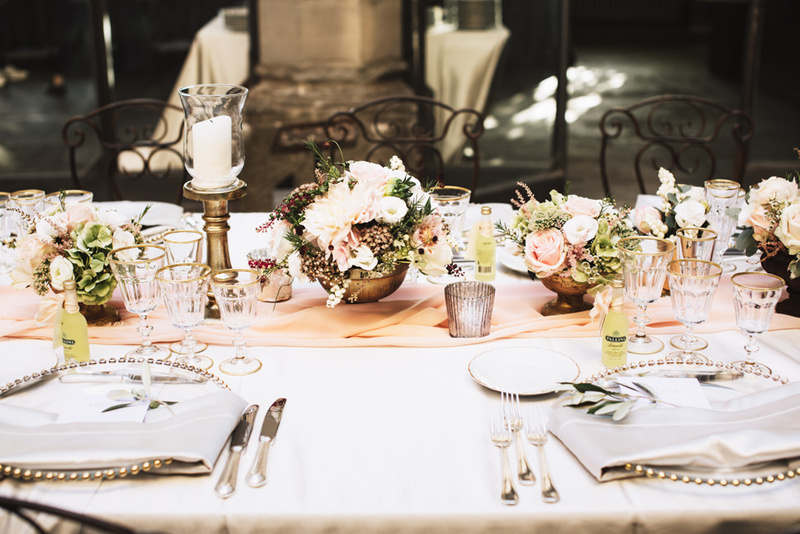 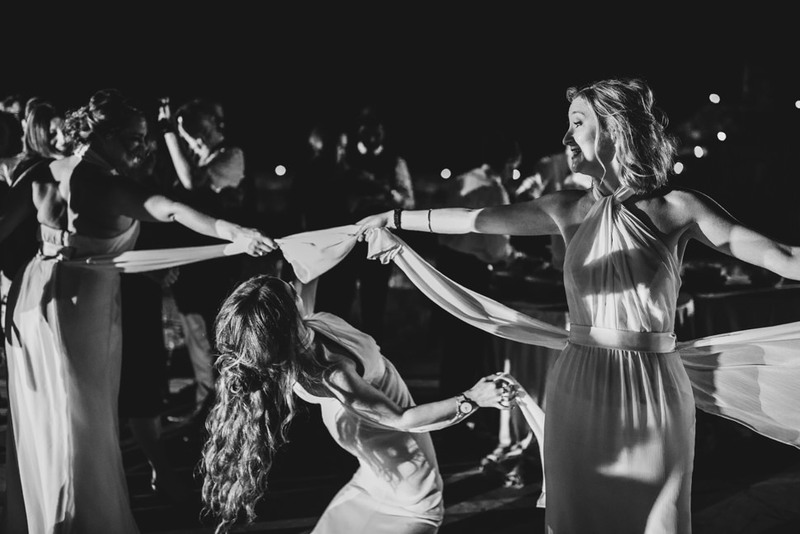 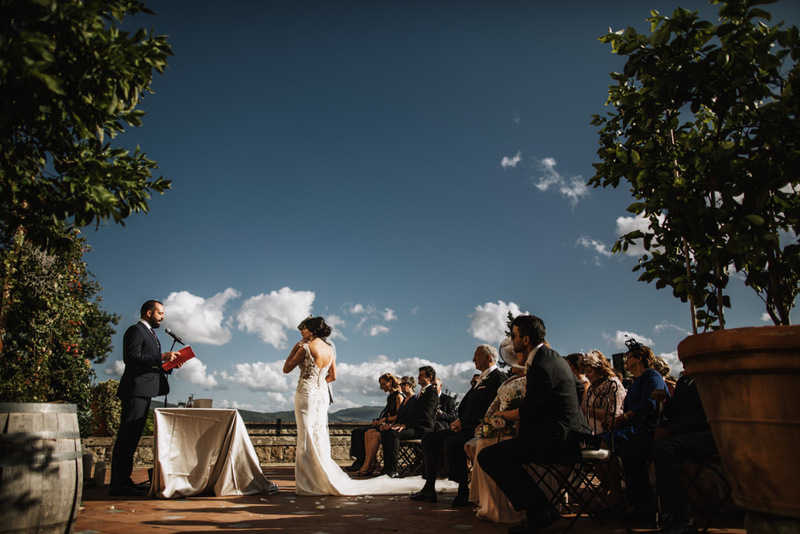 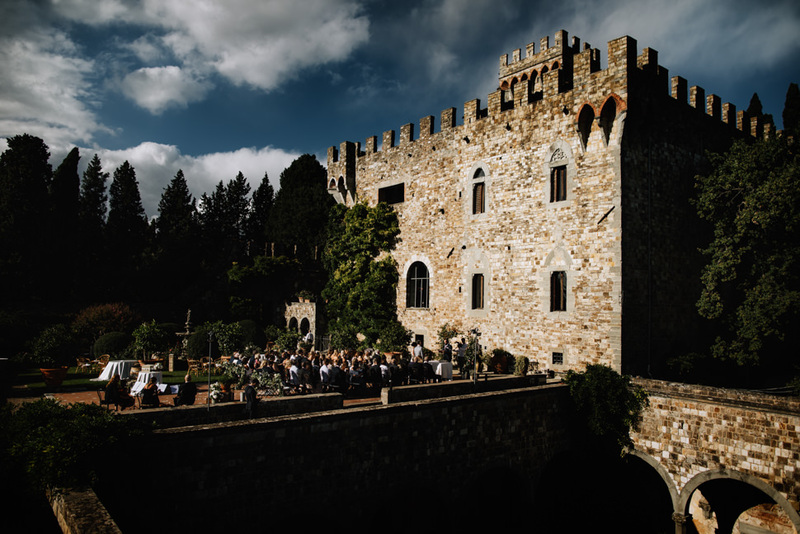 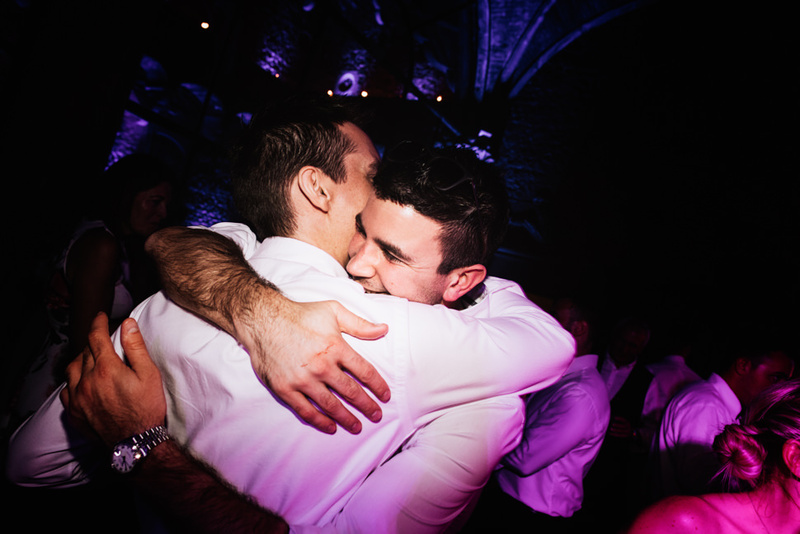 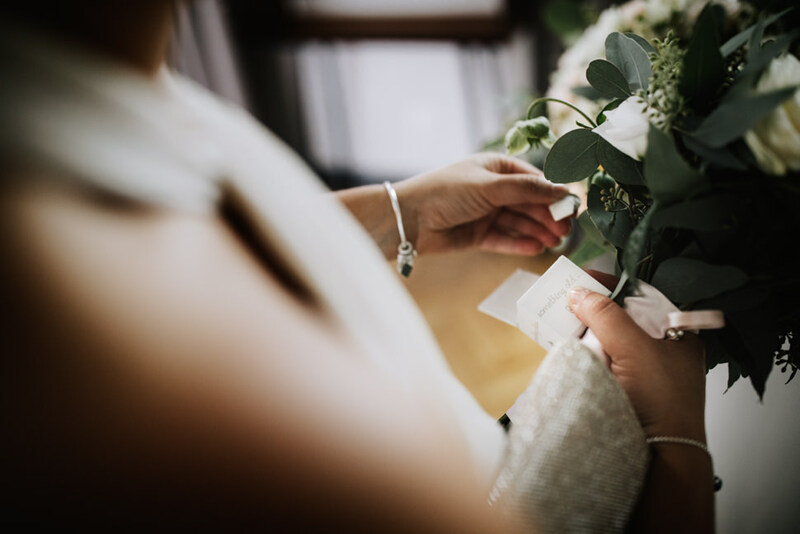 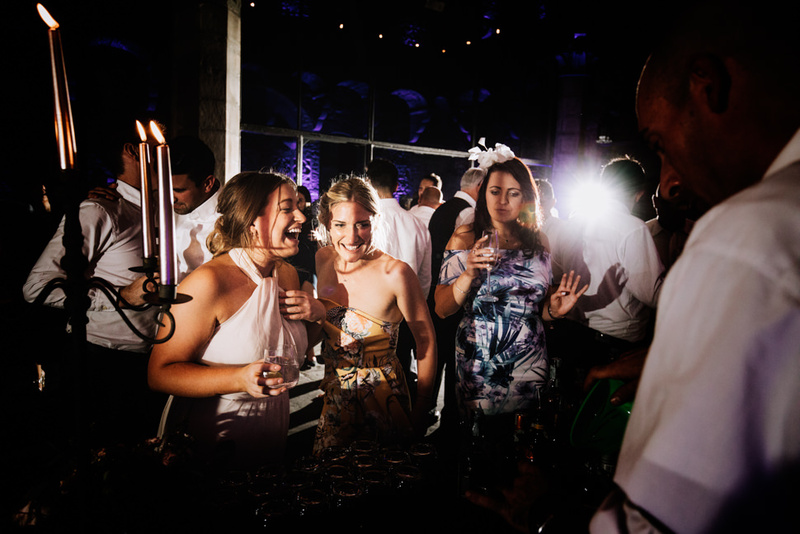 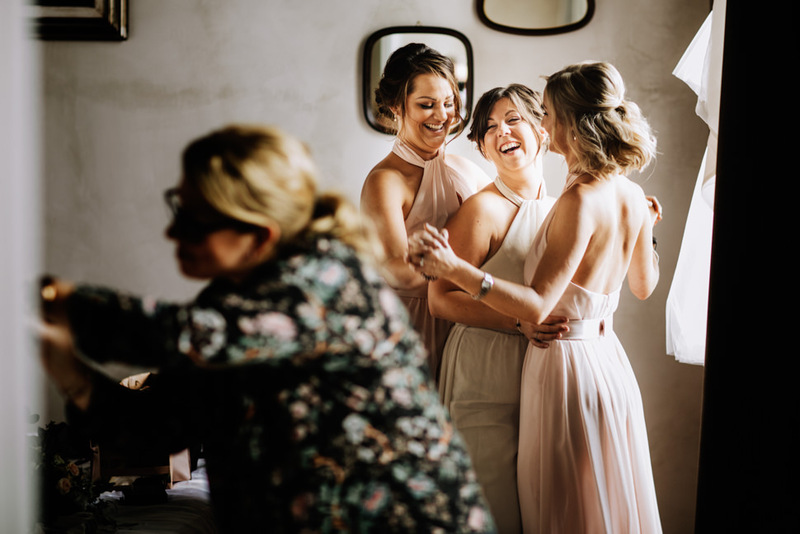 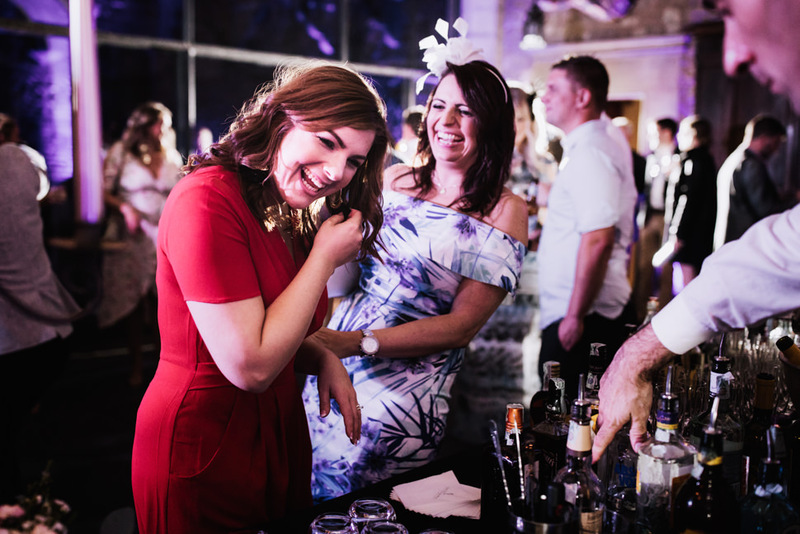 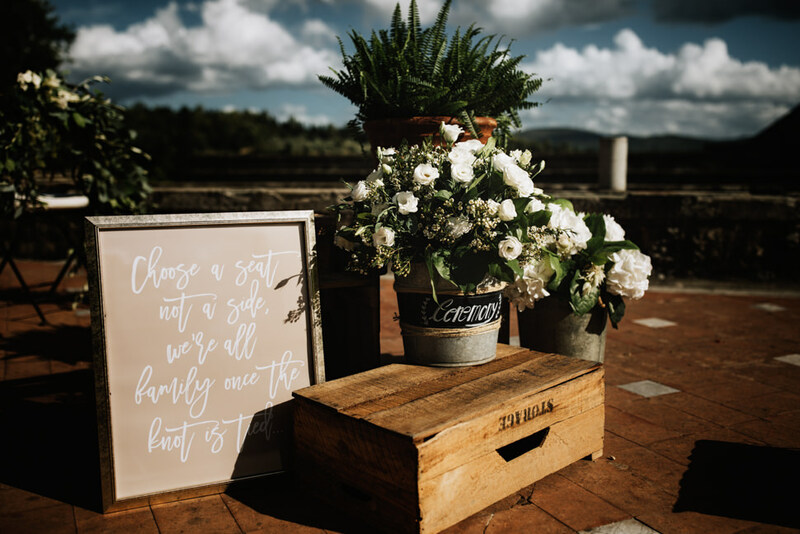 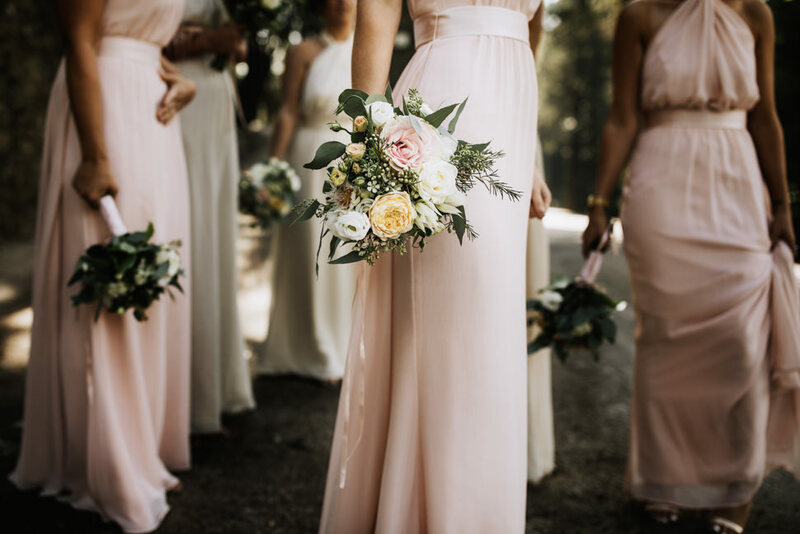 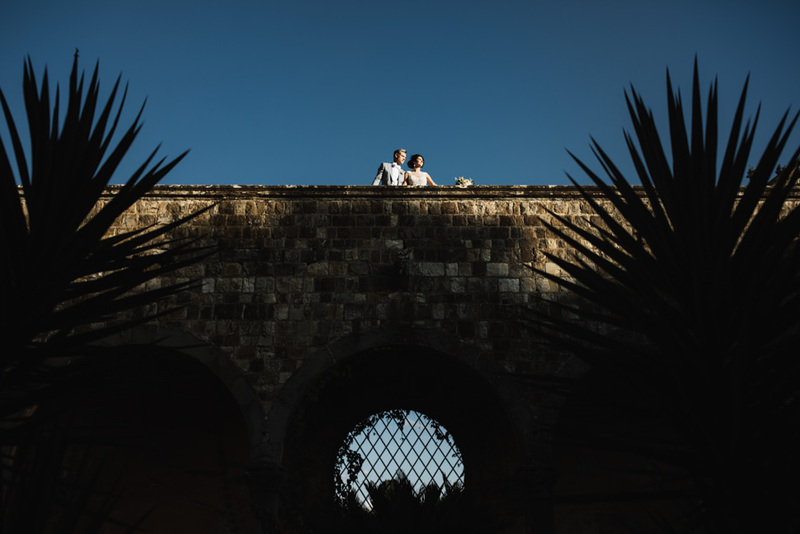 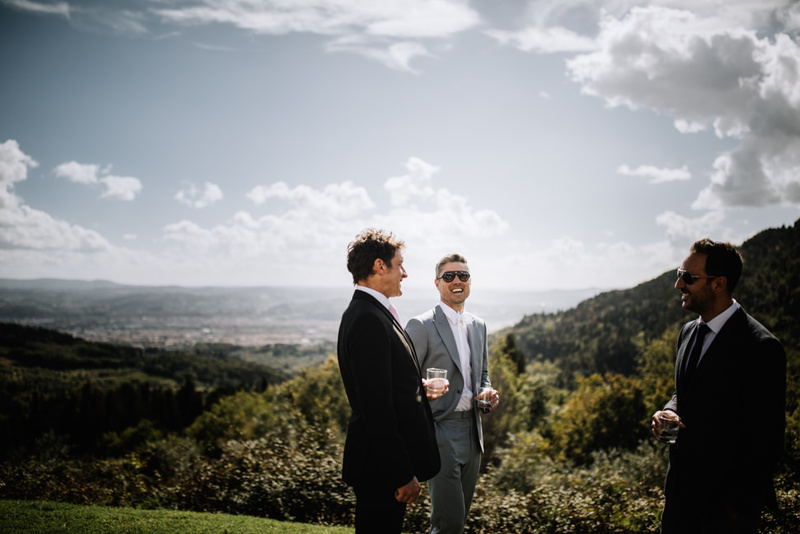 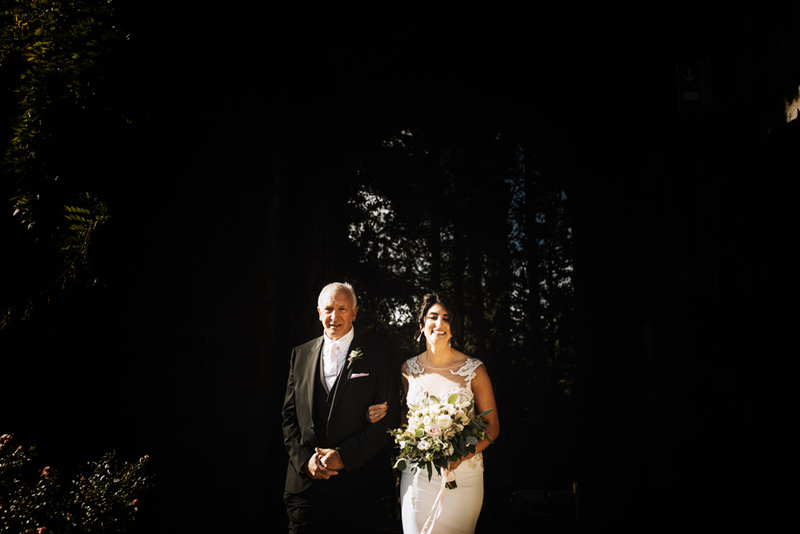 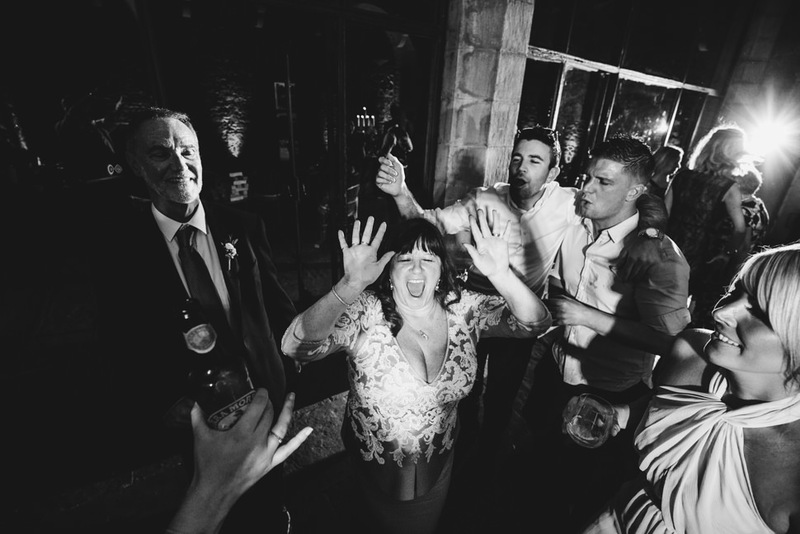 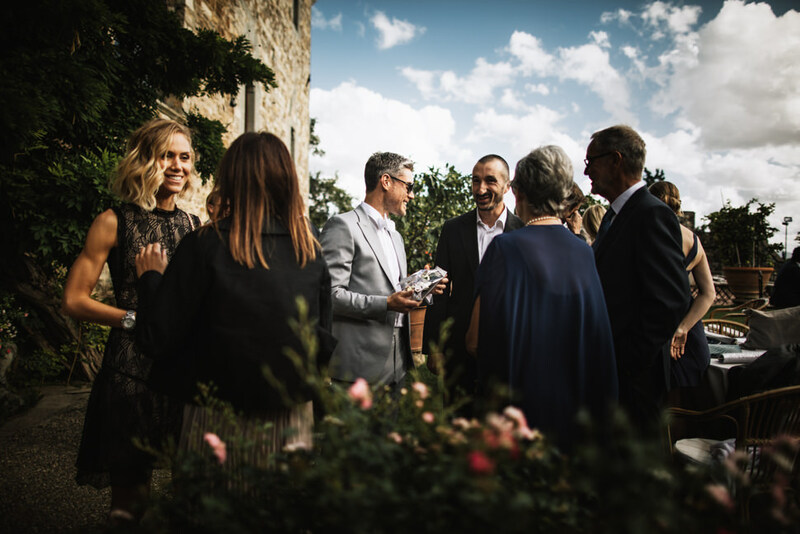 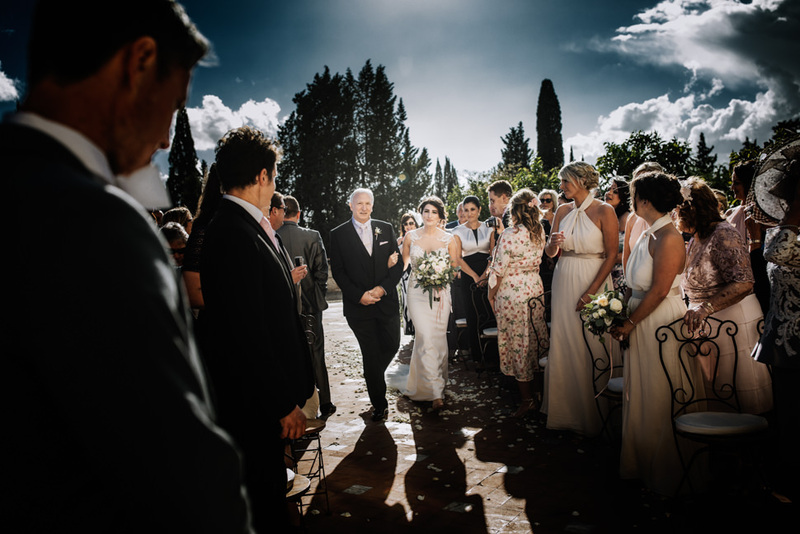 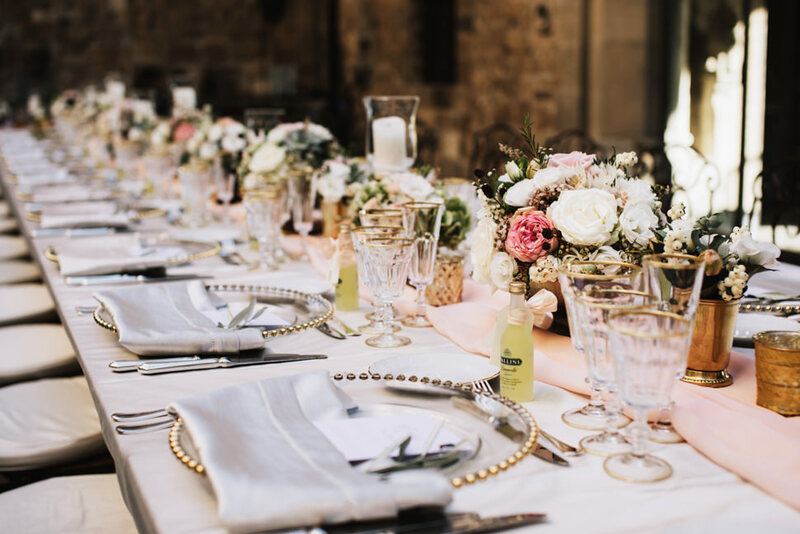 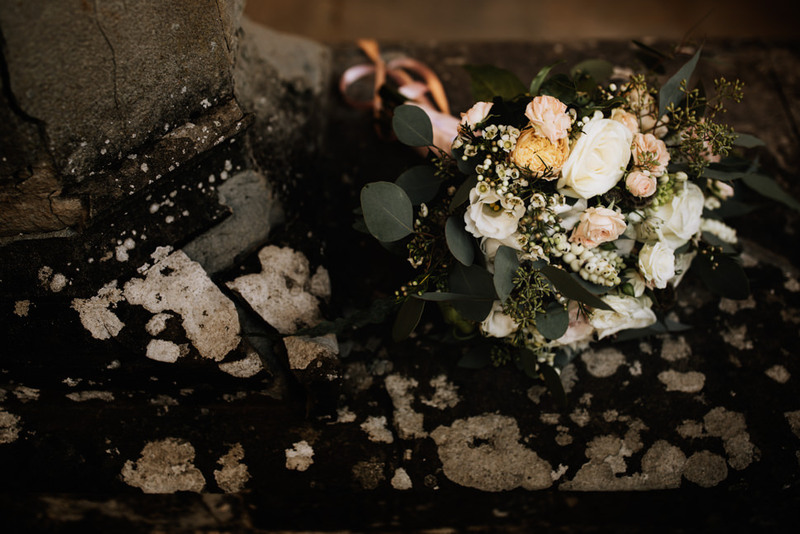 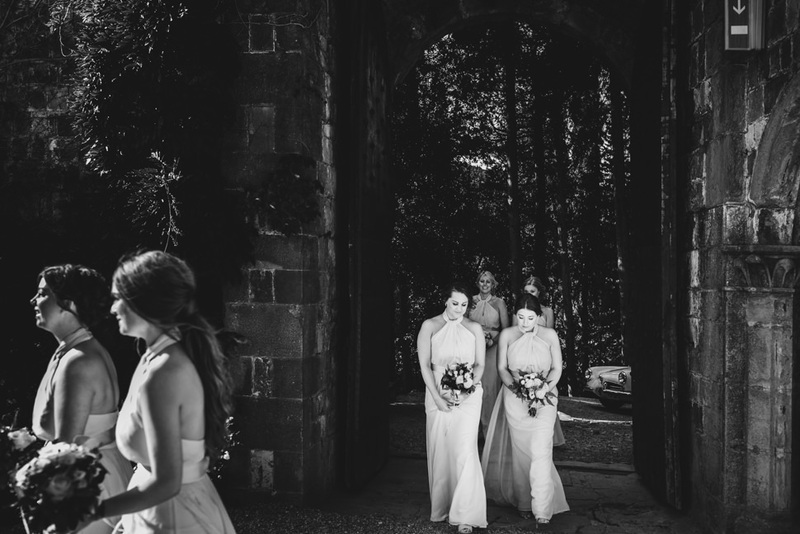 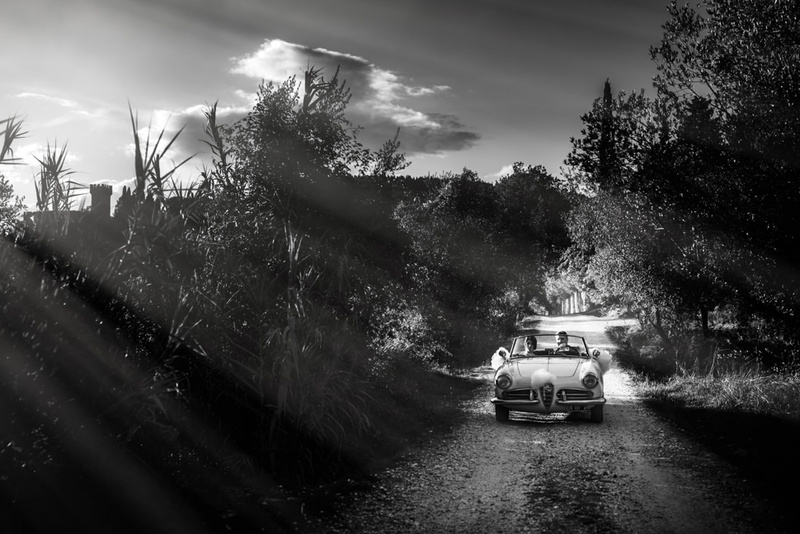 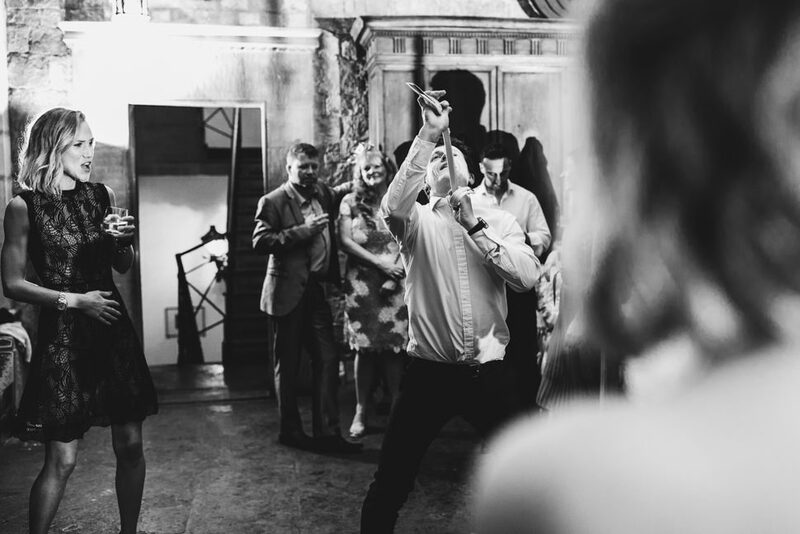 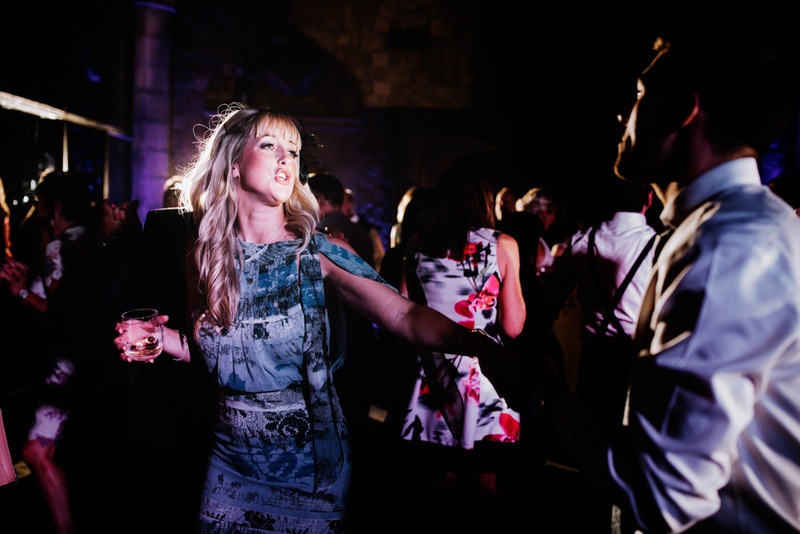 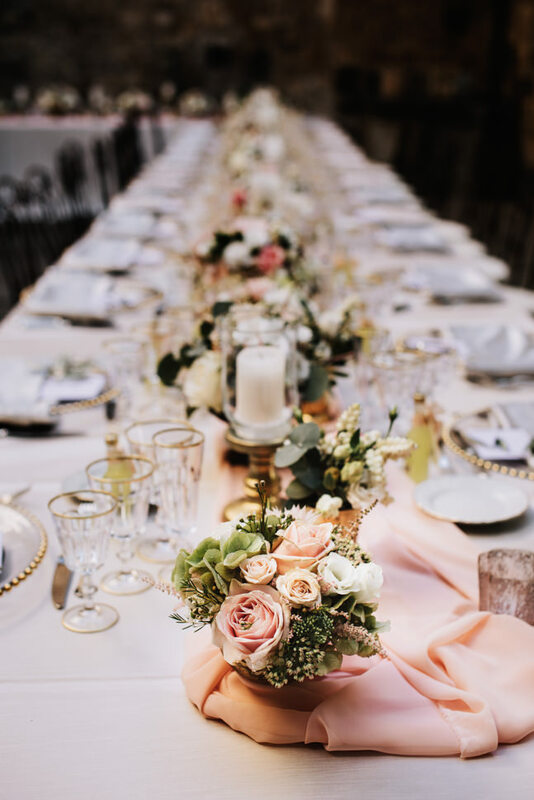 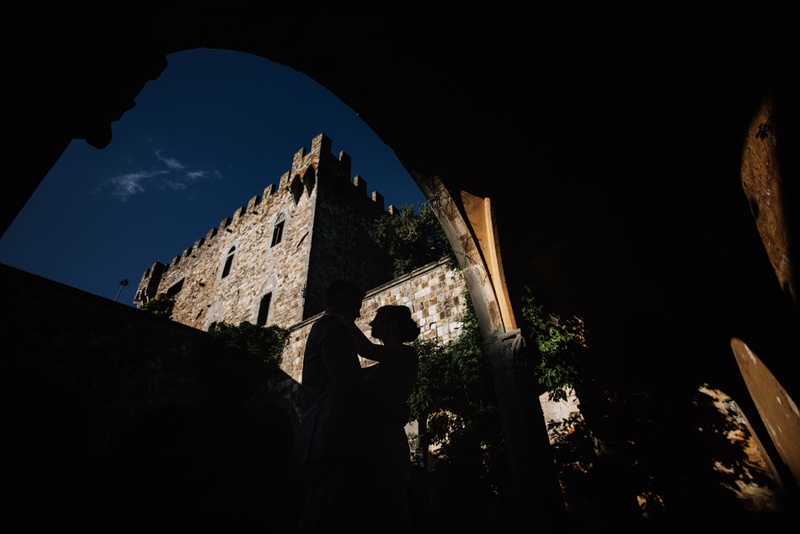 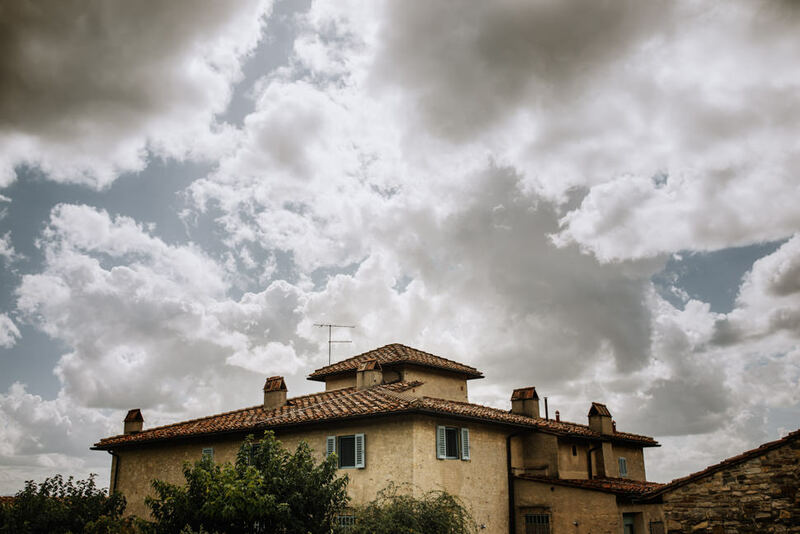 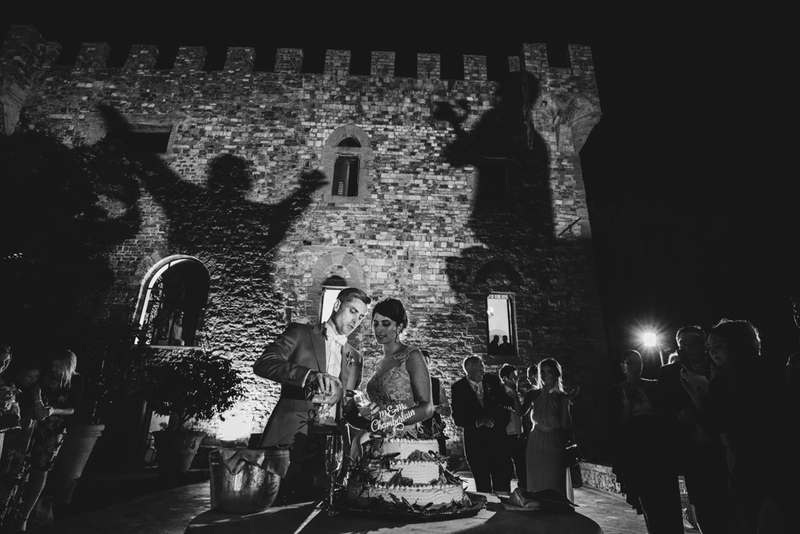 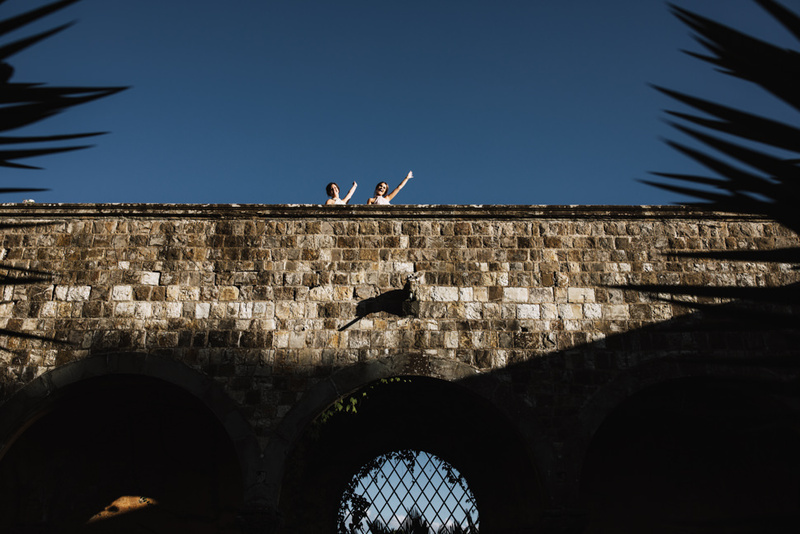 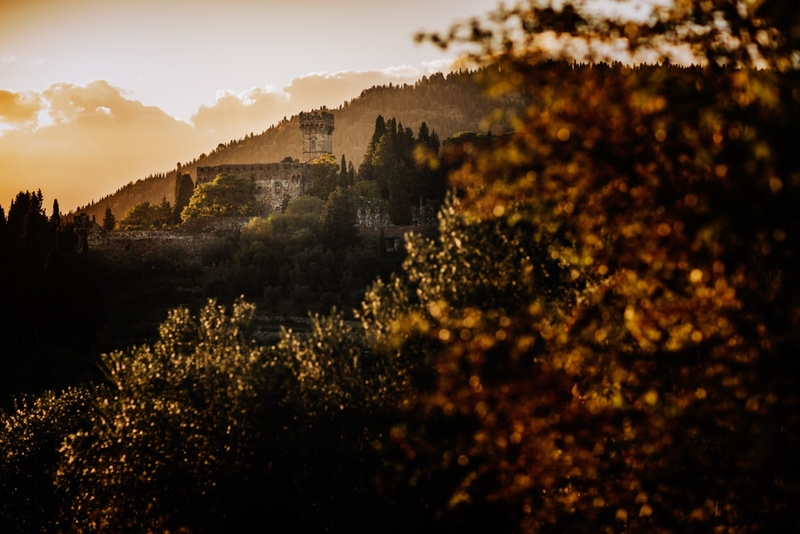 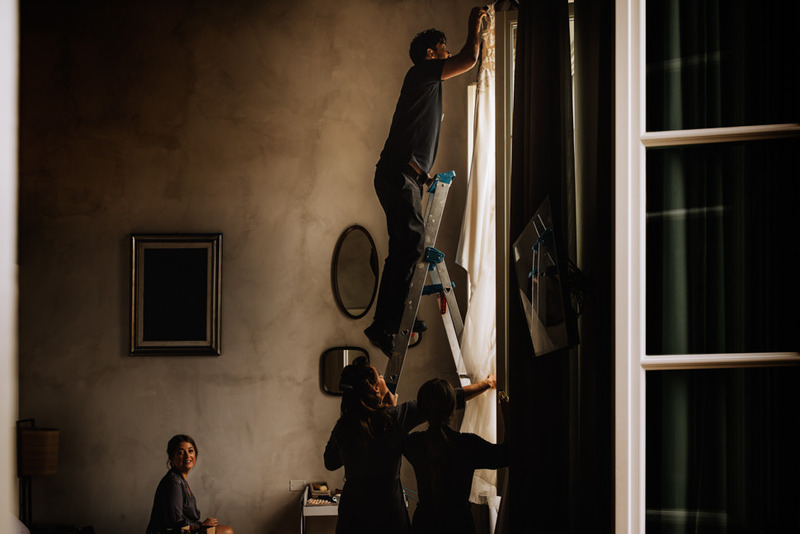 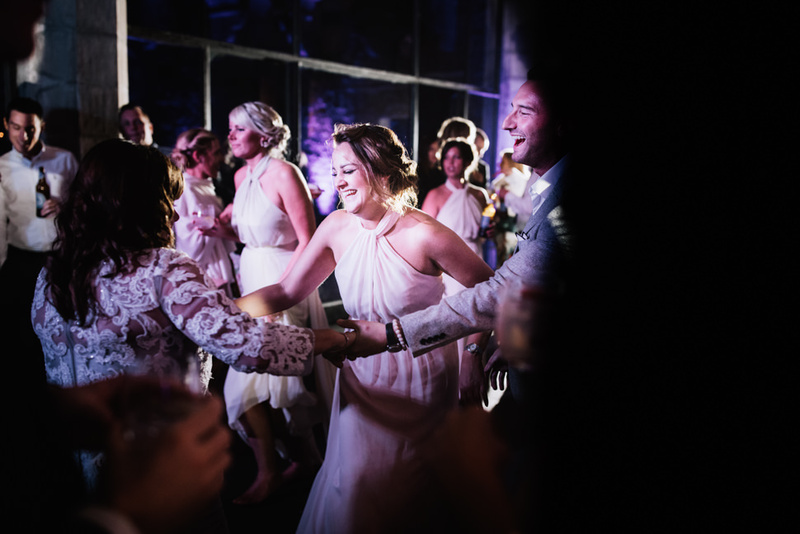 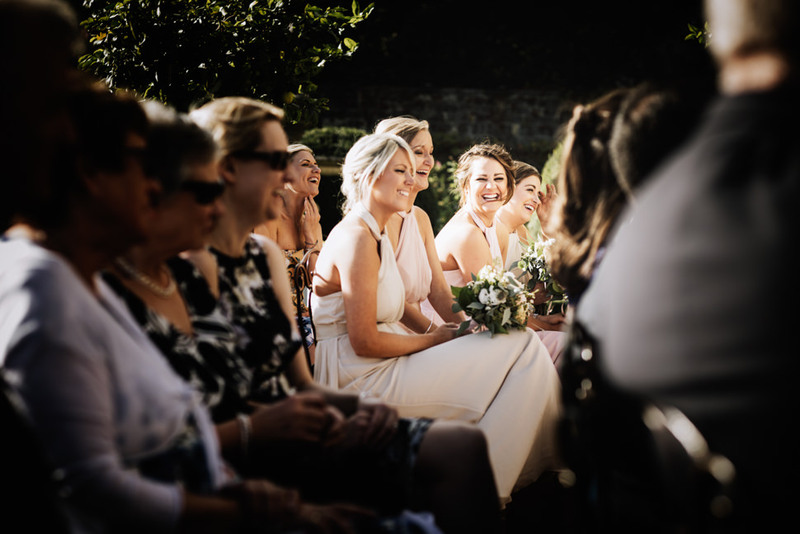 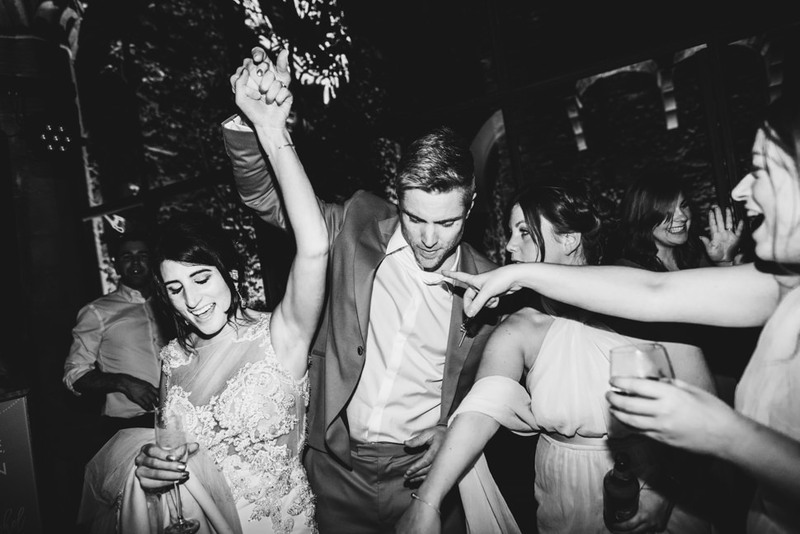 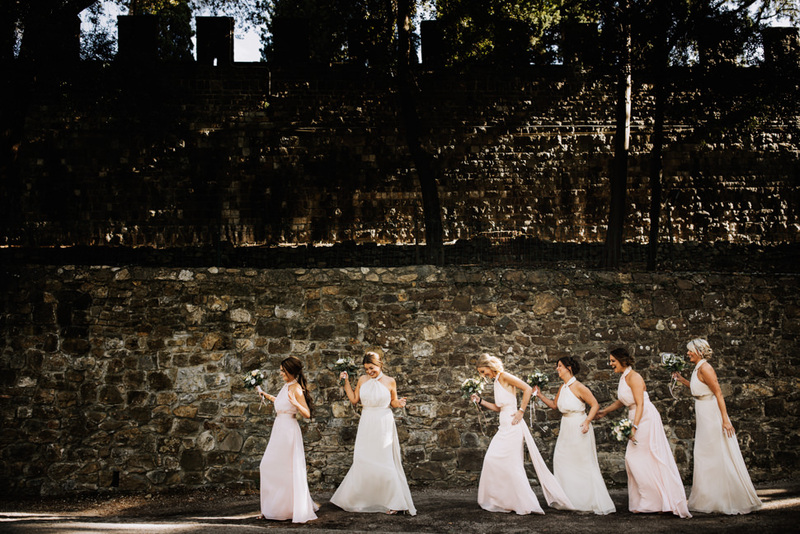 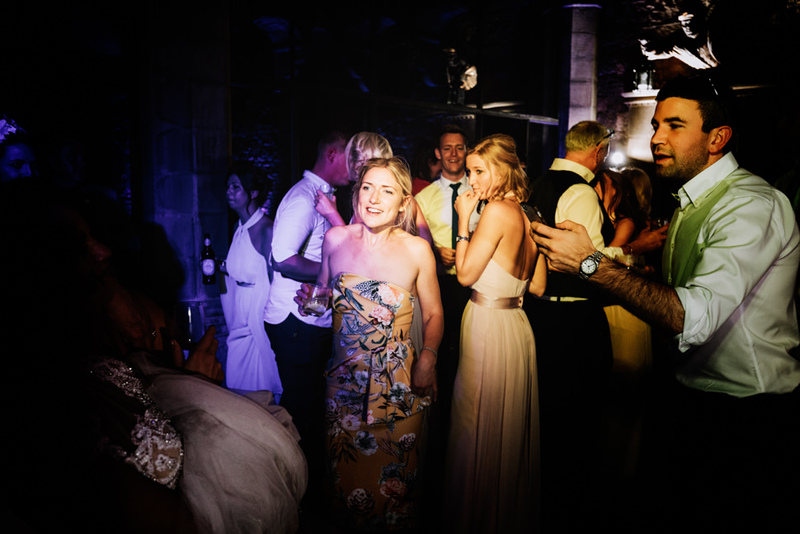 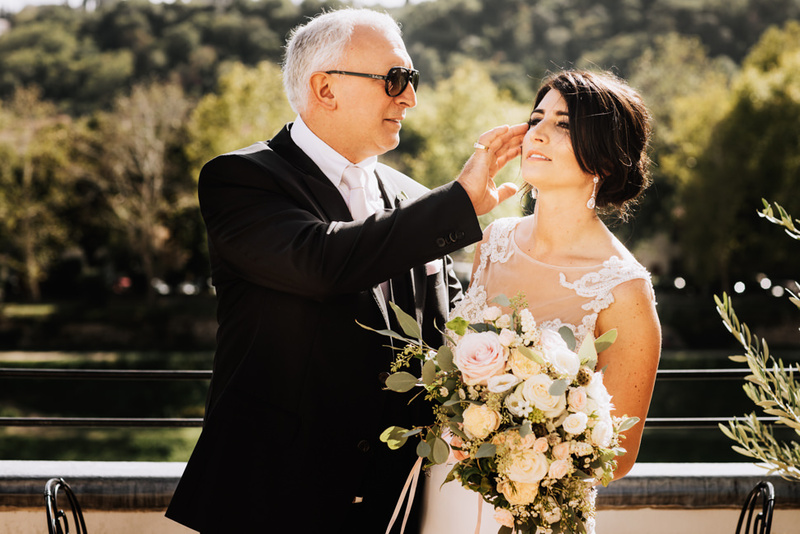 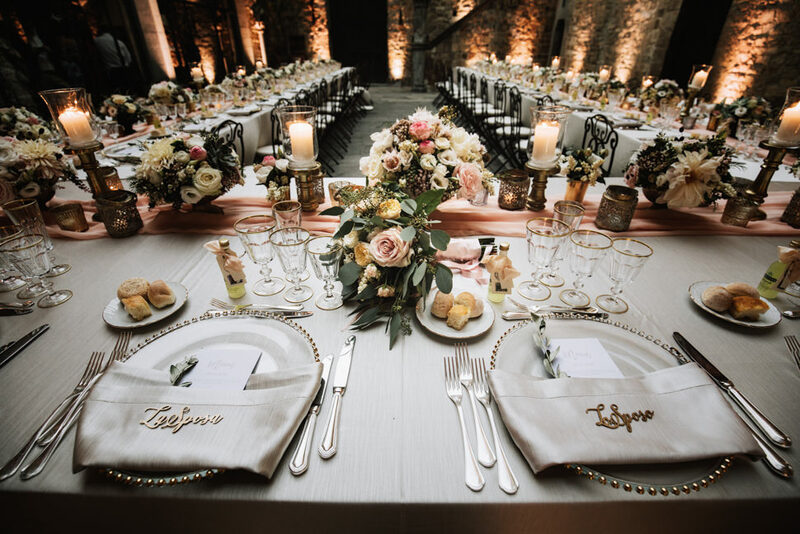 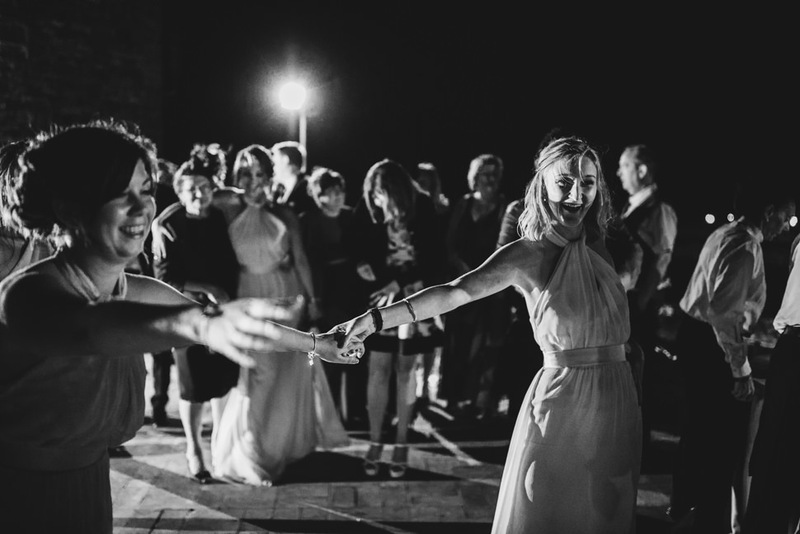 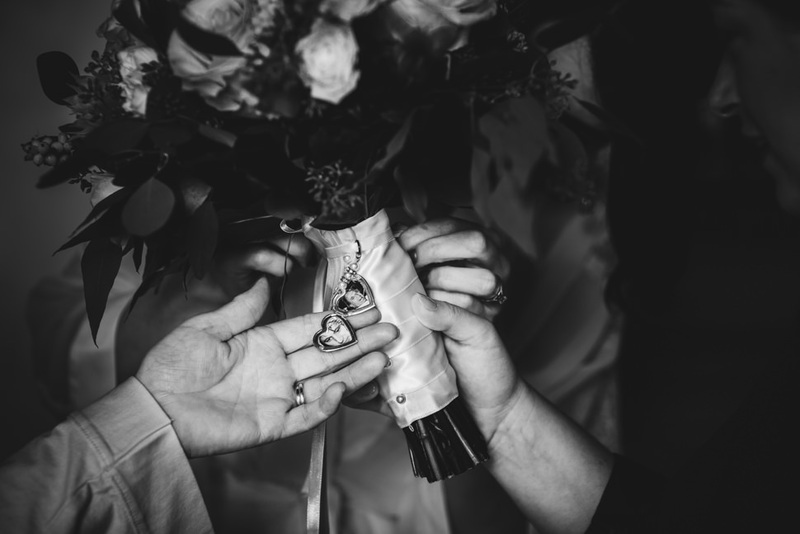 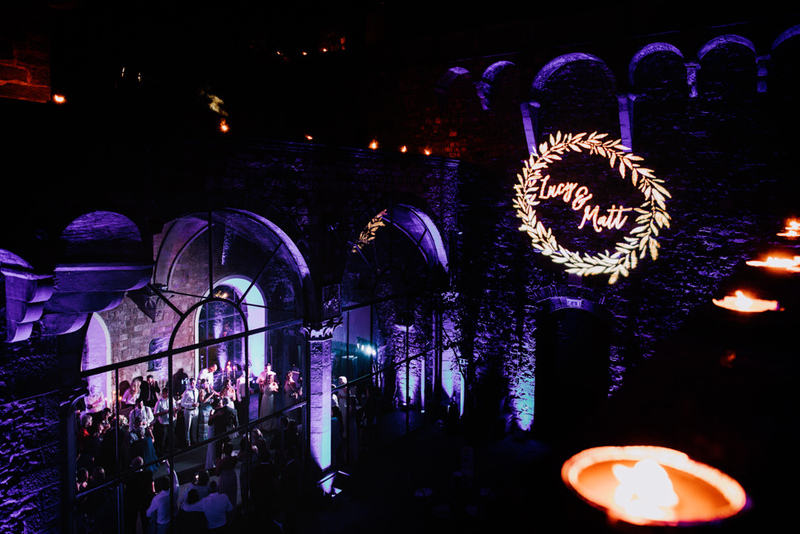 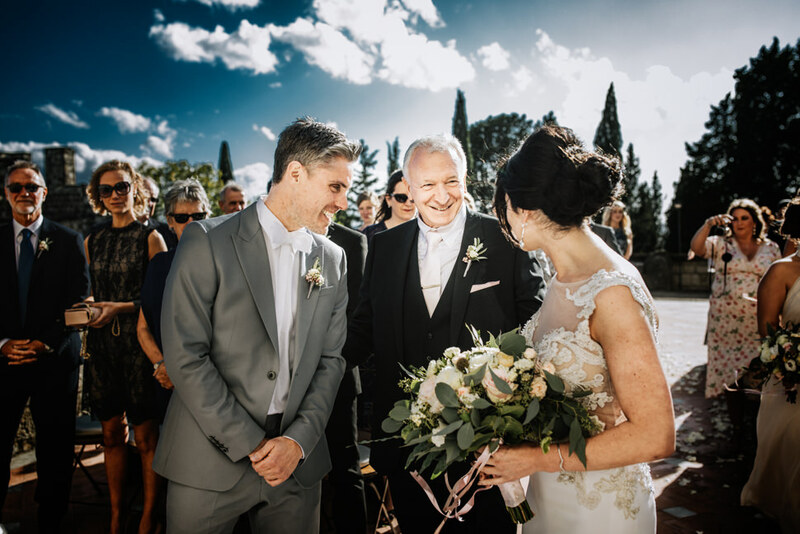 For their wedding they have indeed chosen Italy, where both have their origins and, particularly, Fiesole the most exclusive suburb of Florence where the amazing medieval Castle is located. 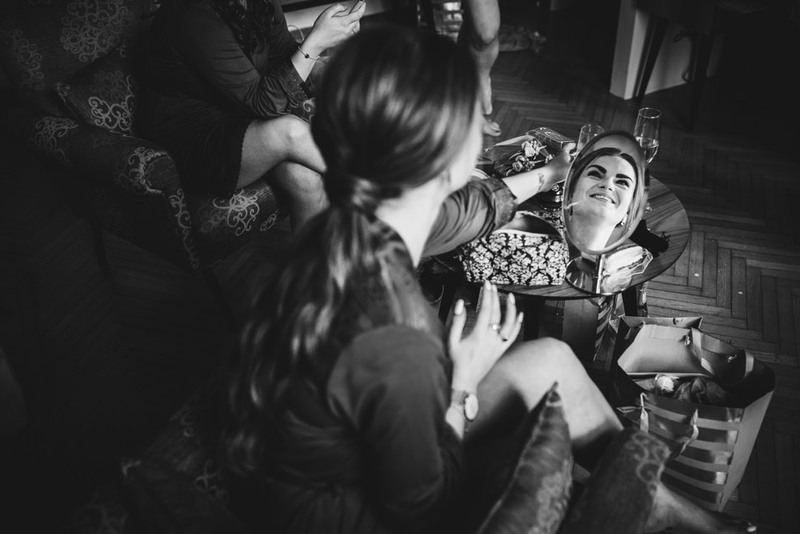 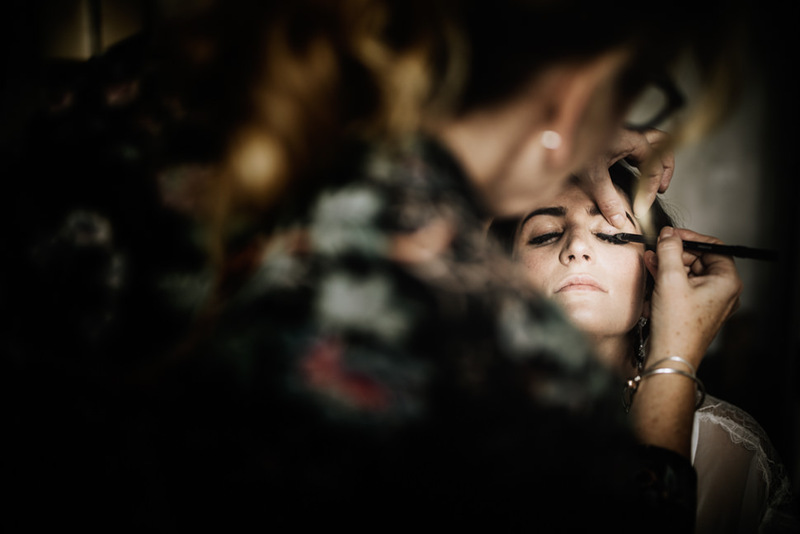 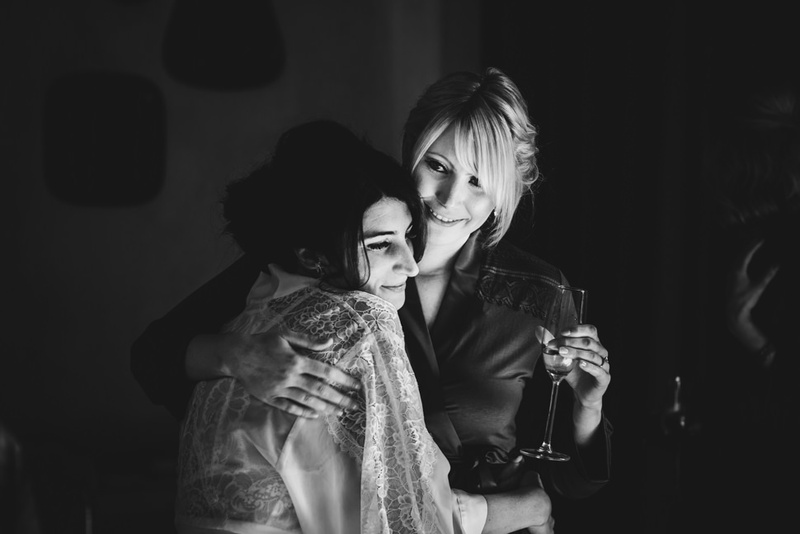 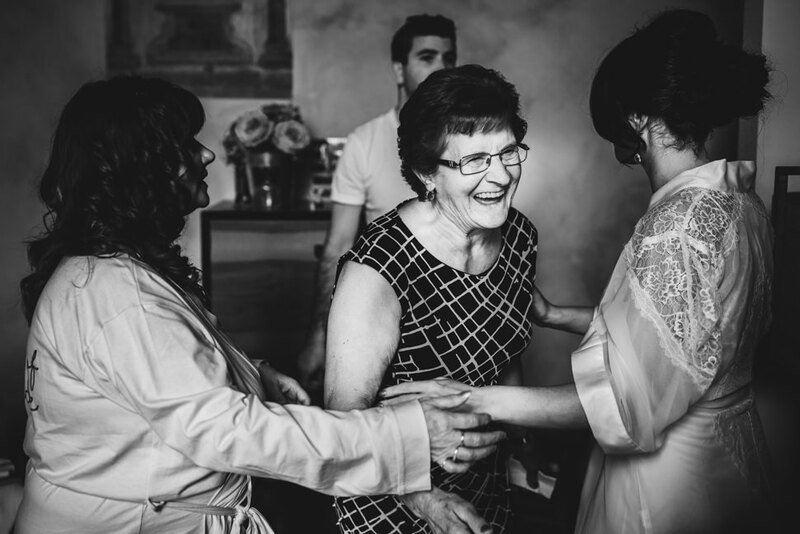 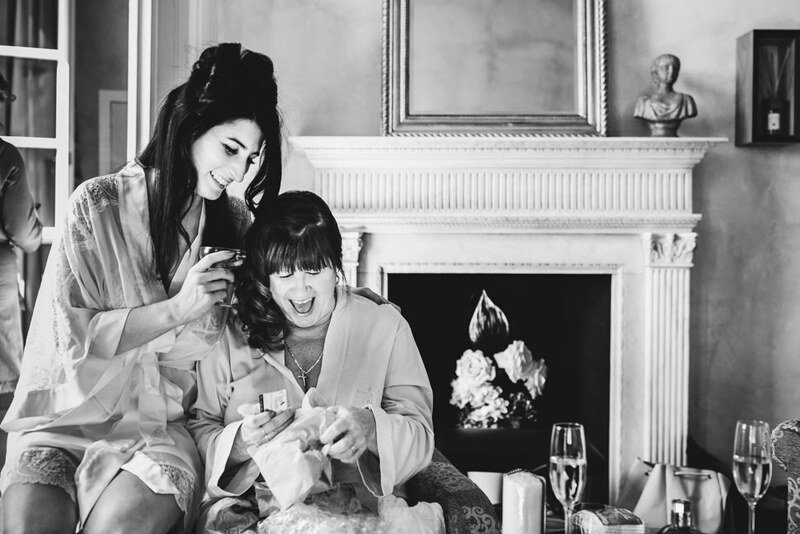 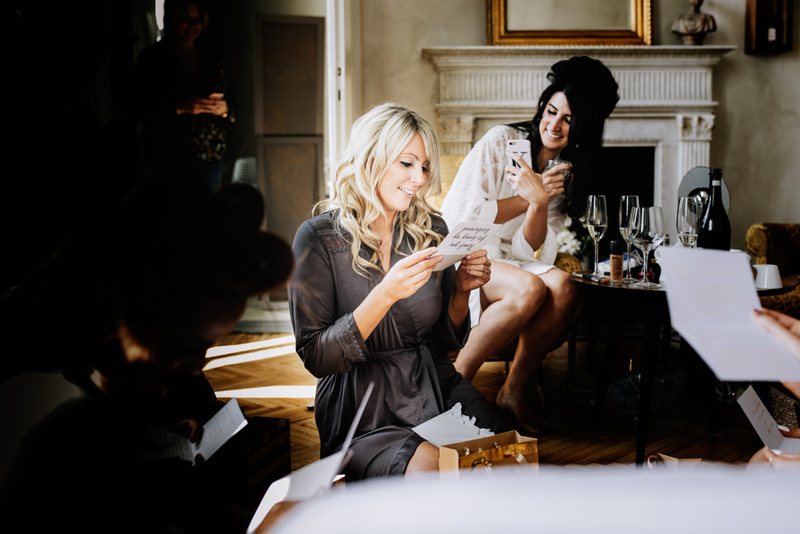 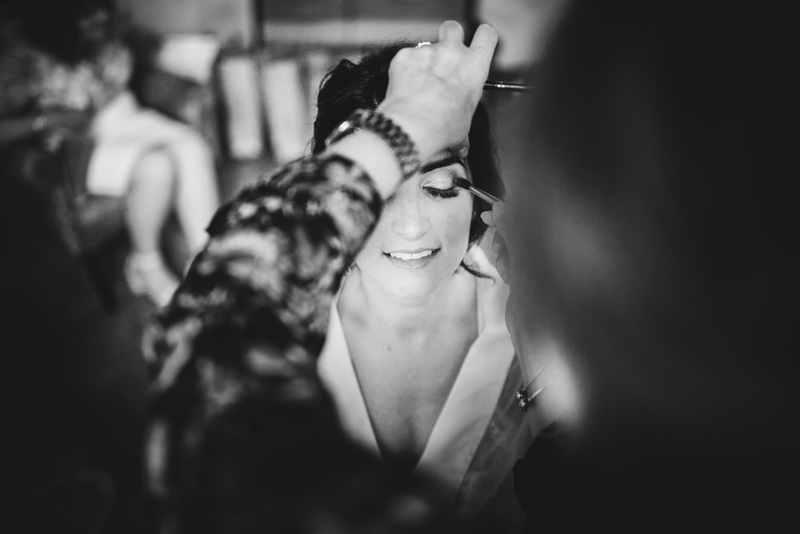 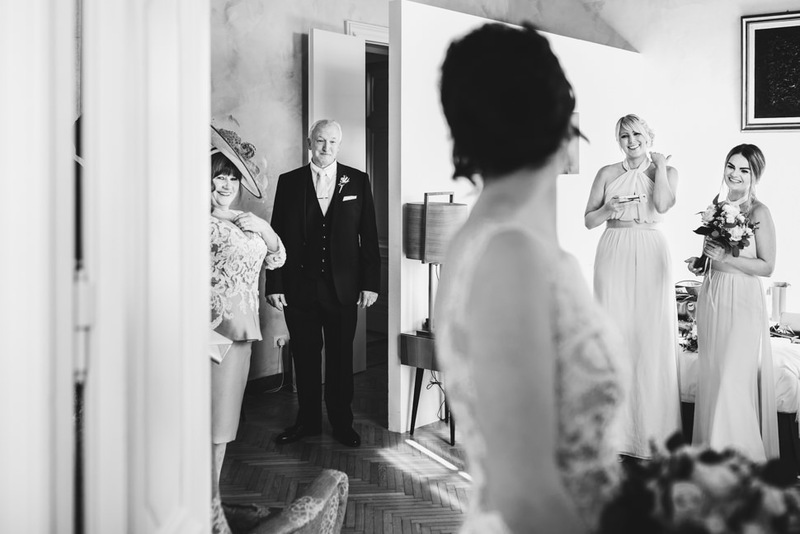 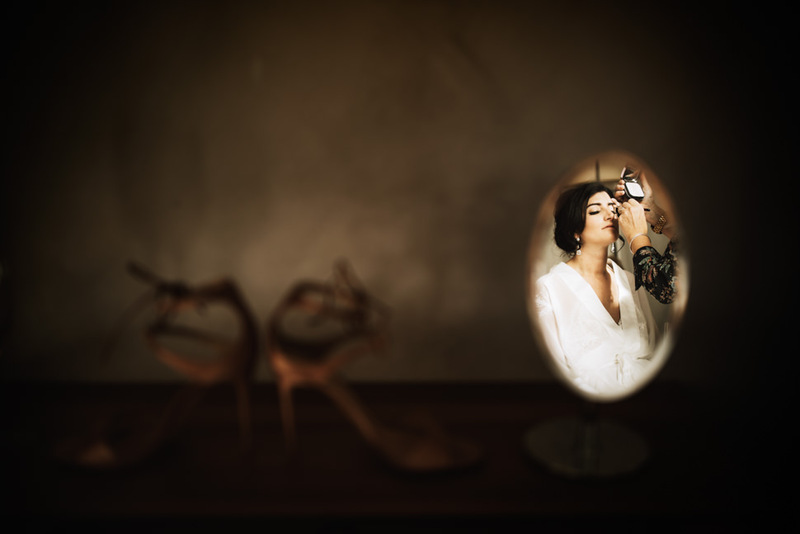 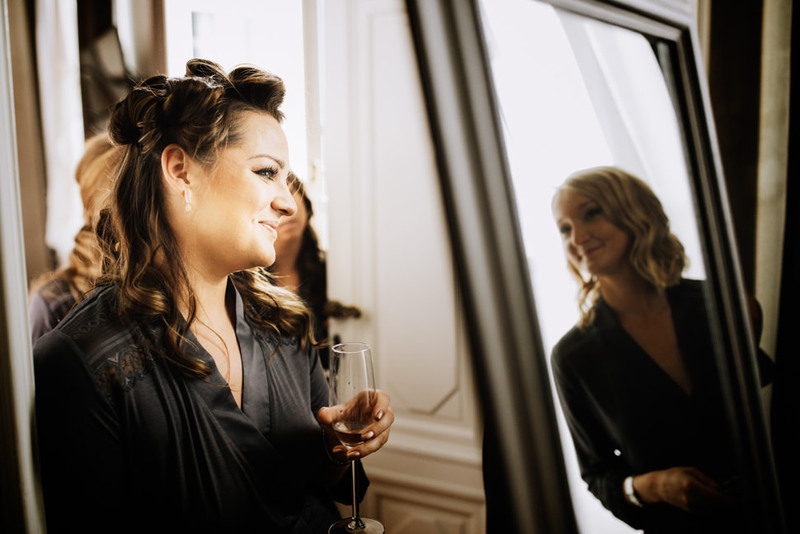 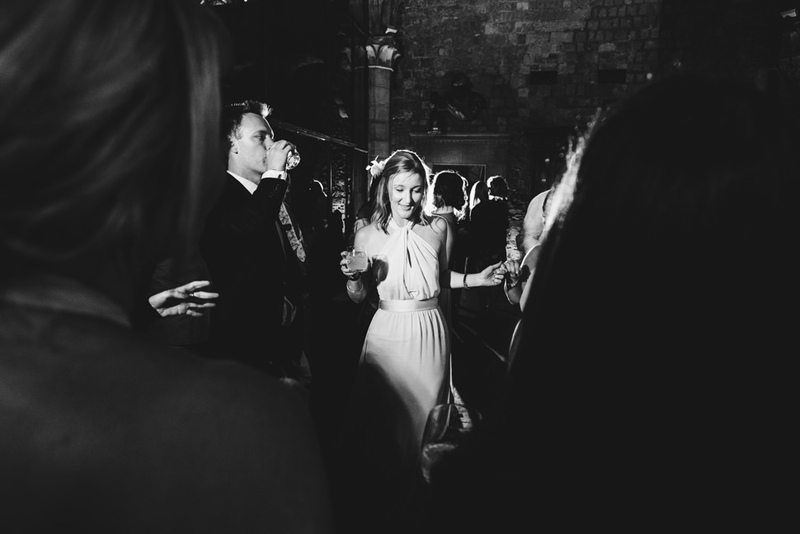 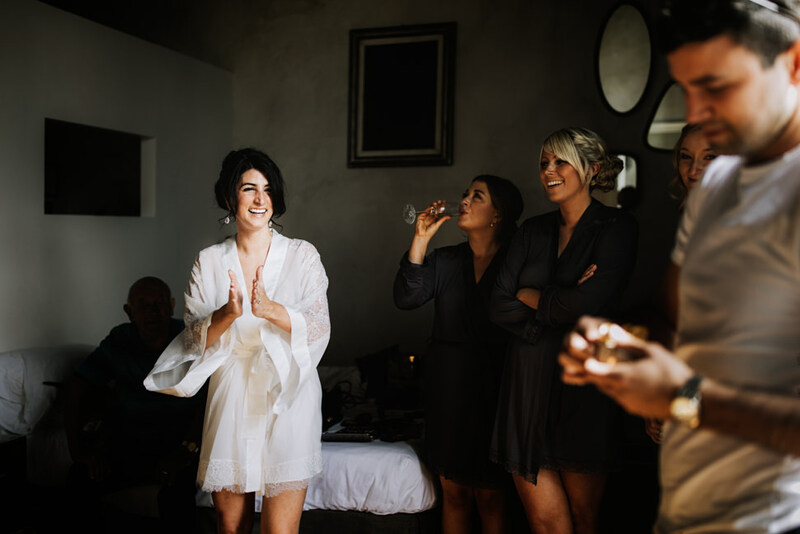 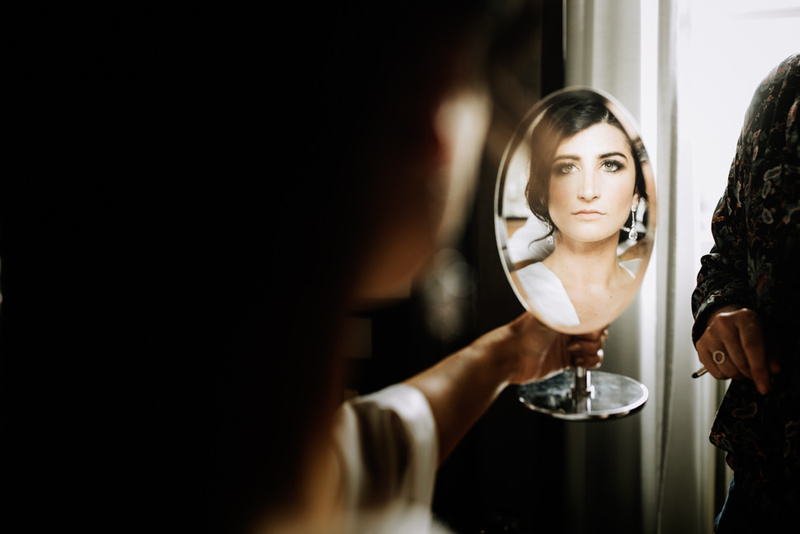 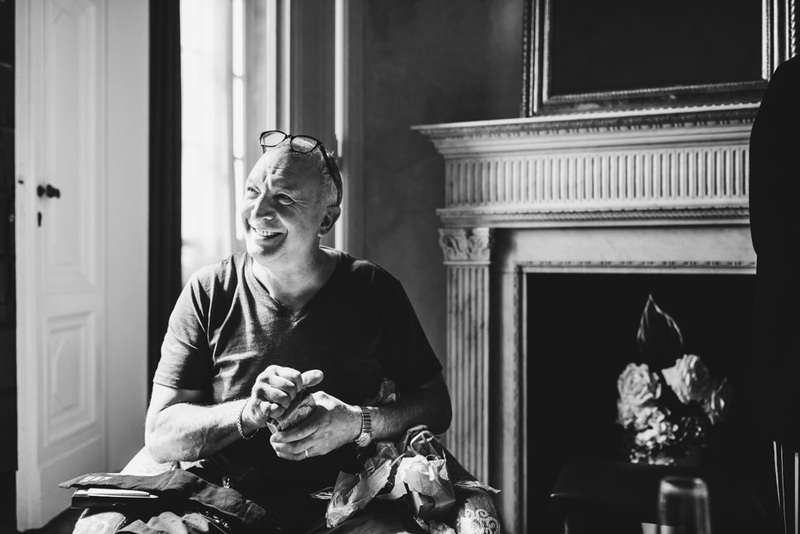 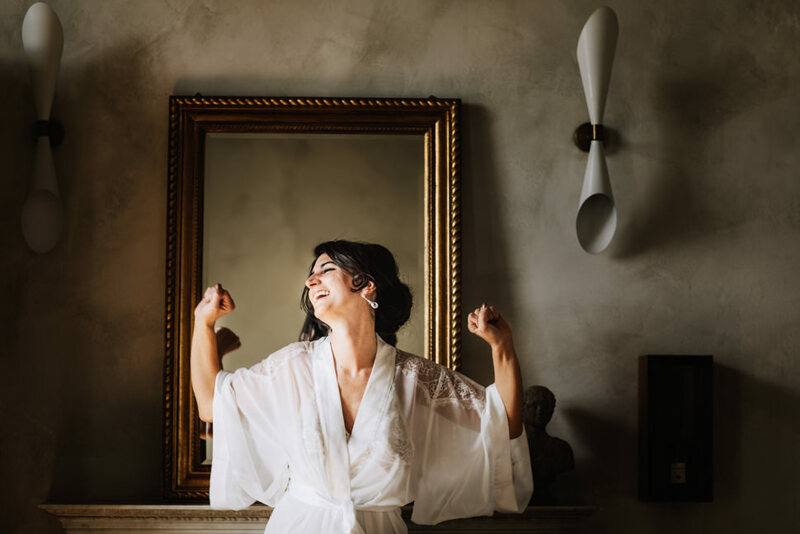 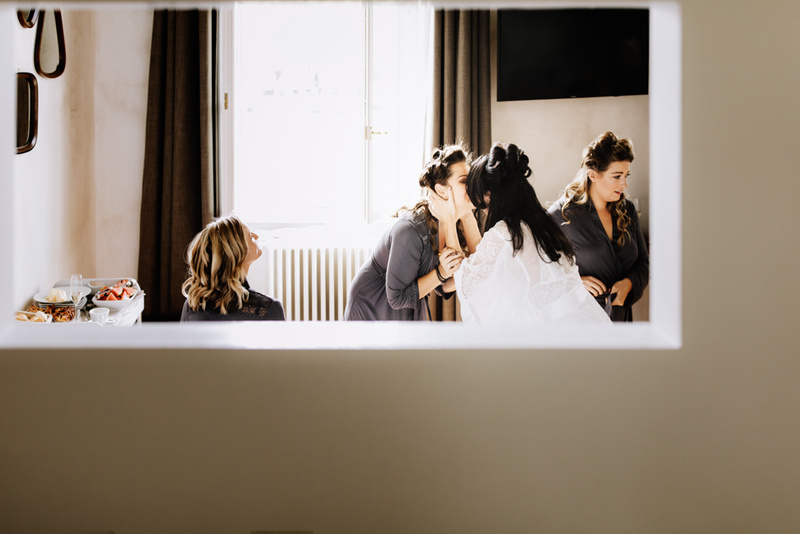 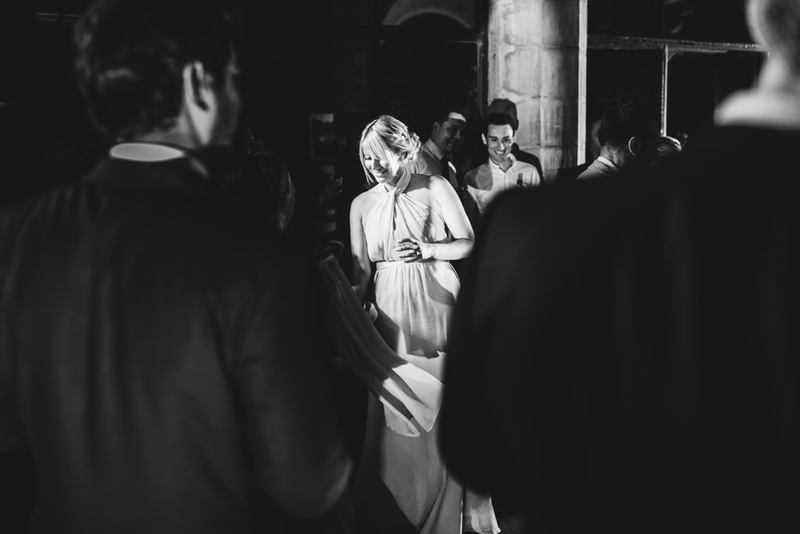 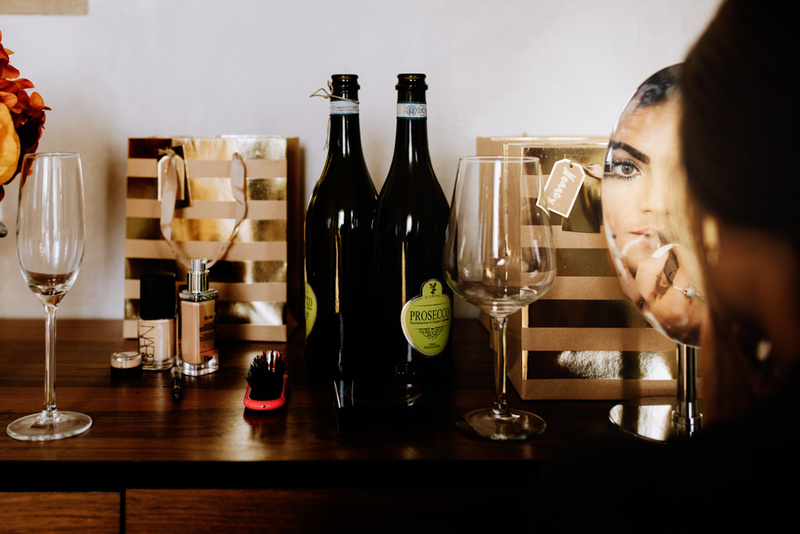 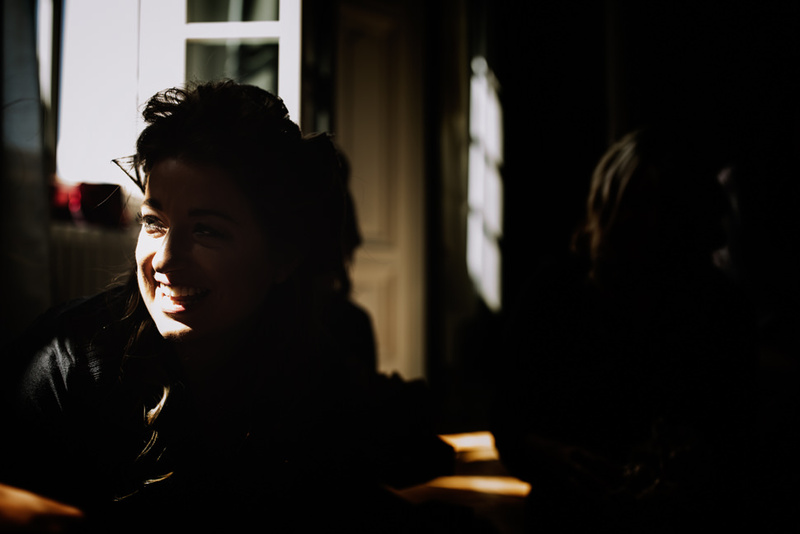 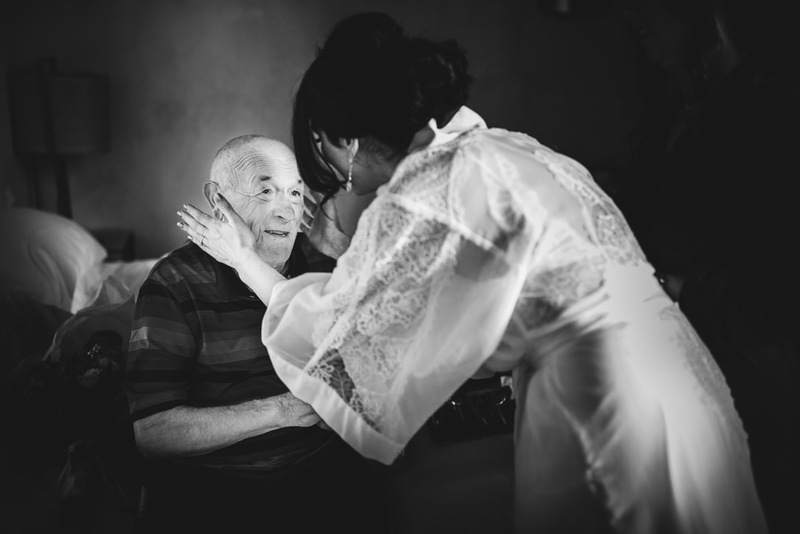 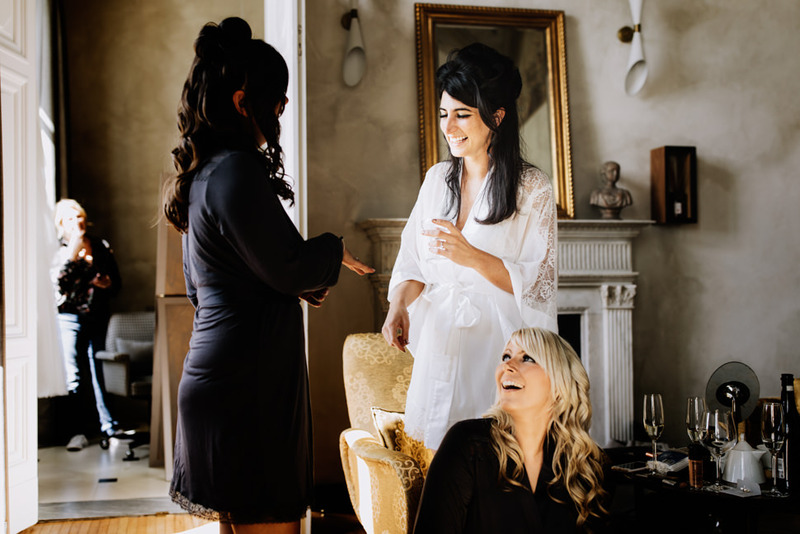 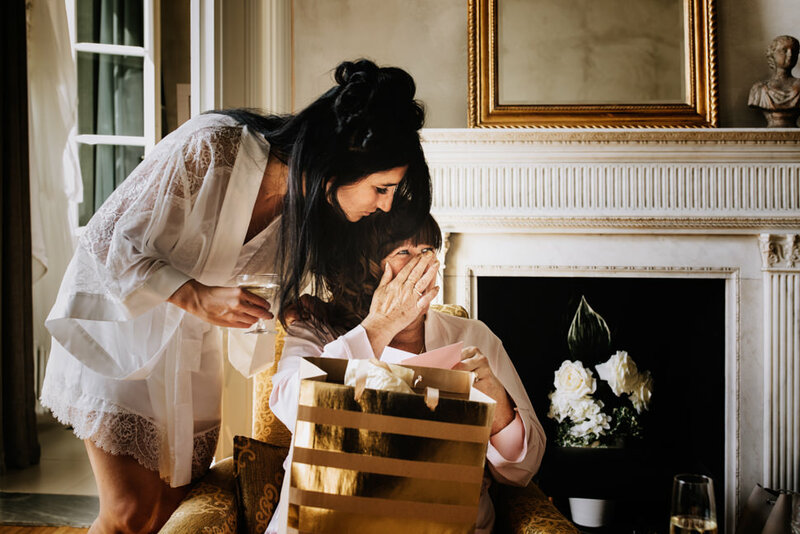 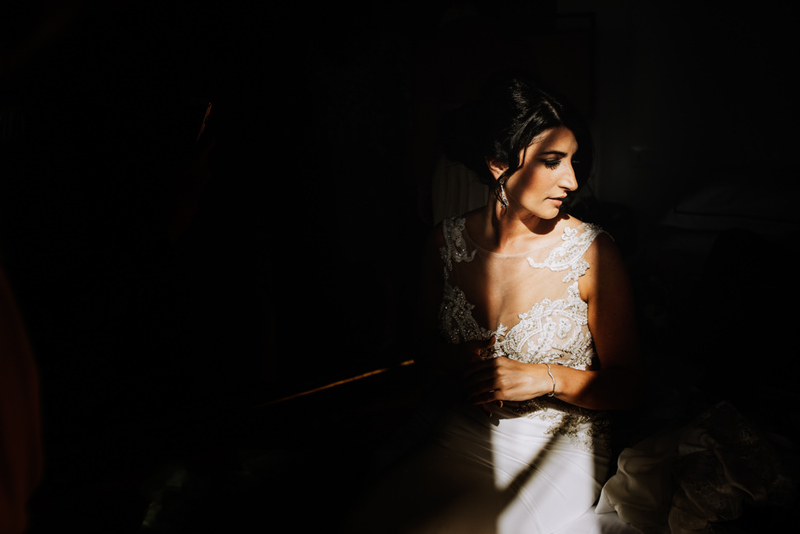 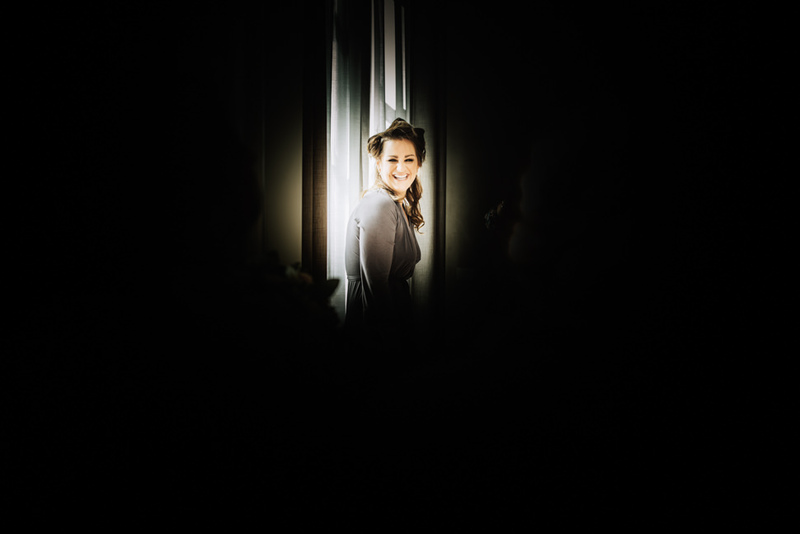 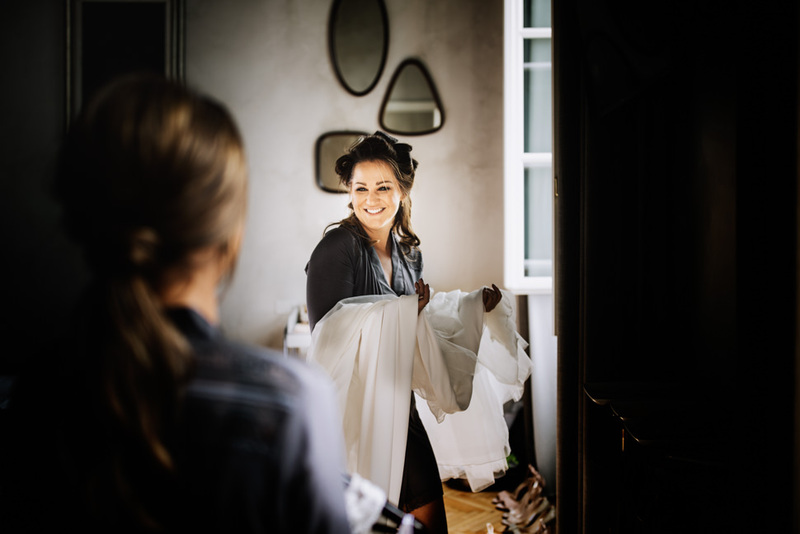 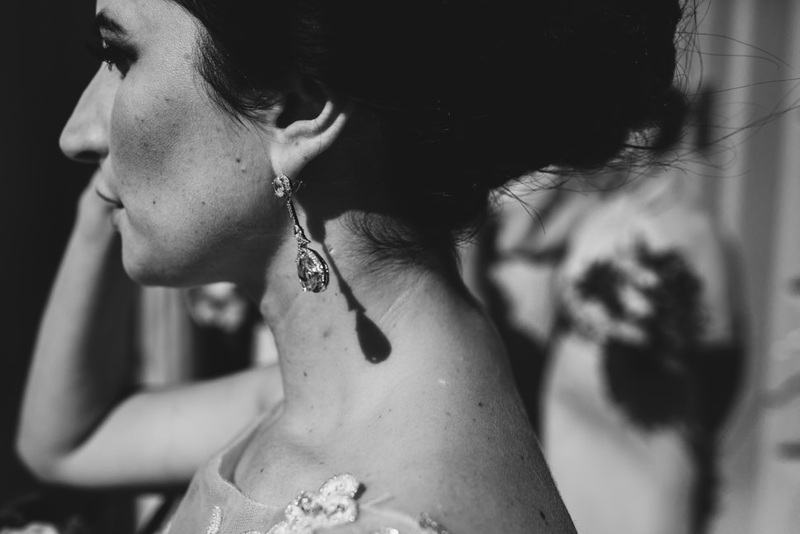 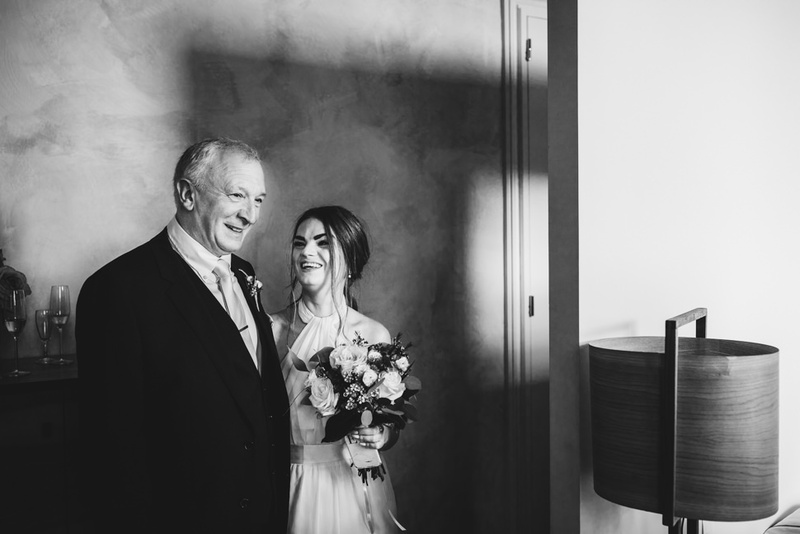 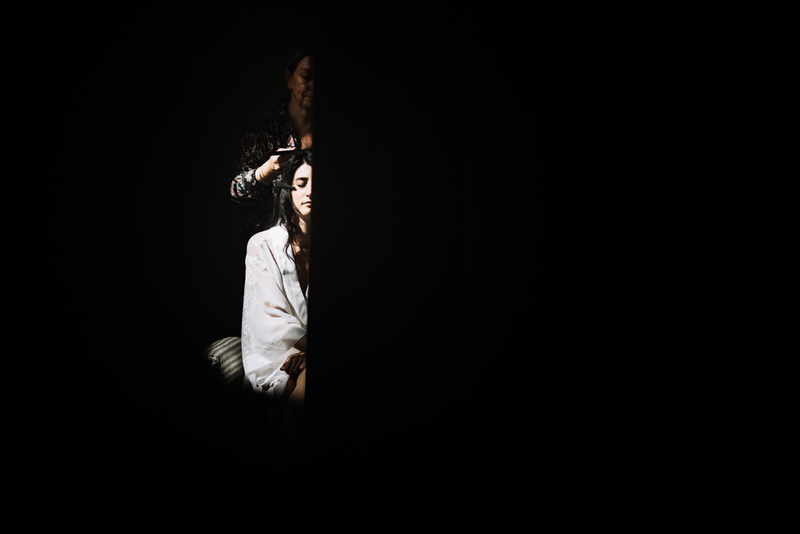 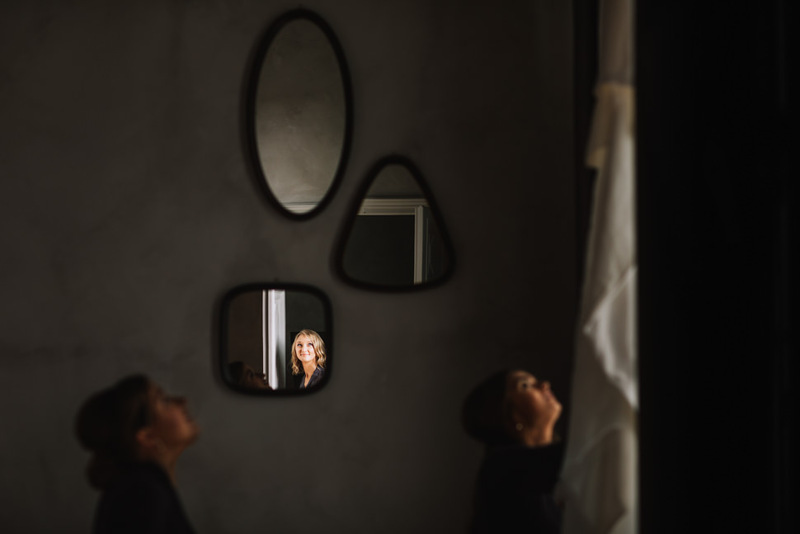 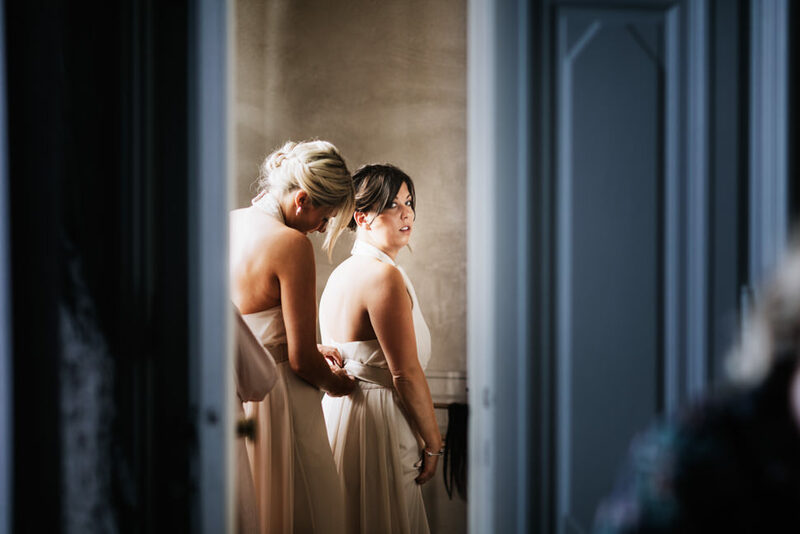 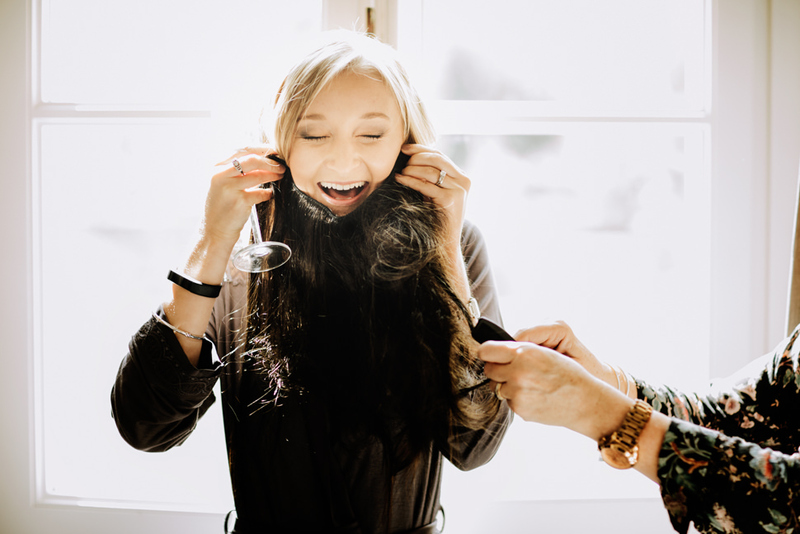 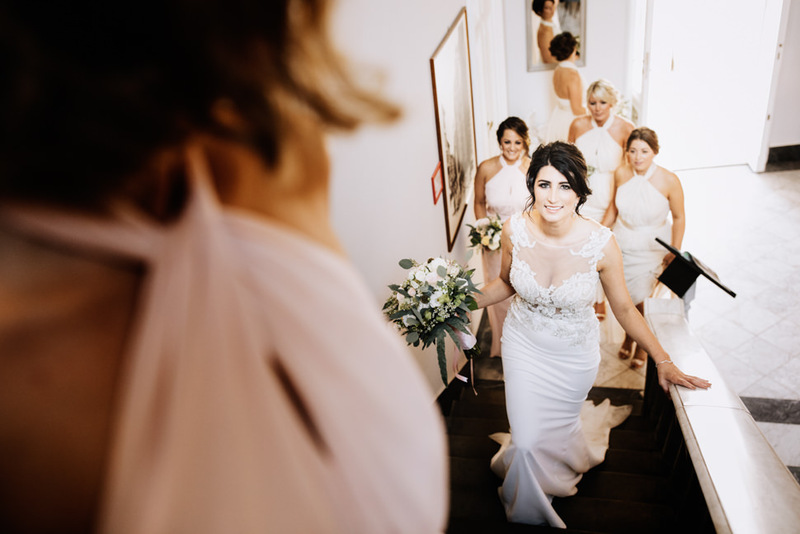 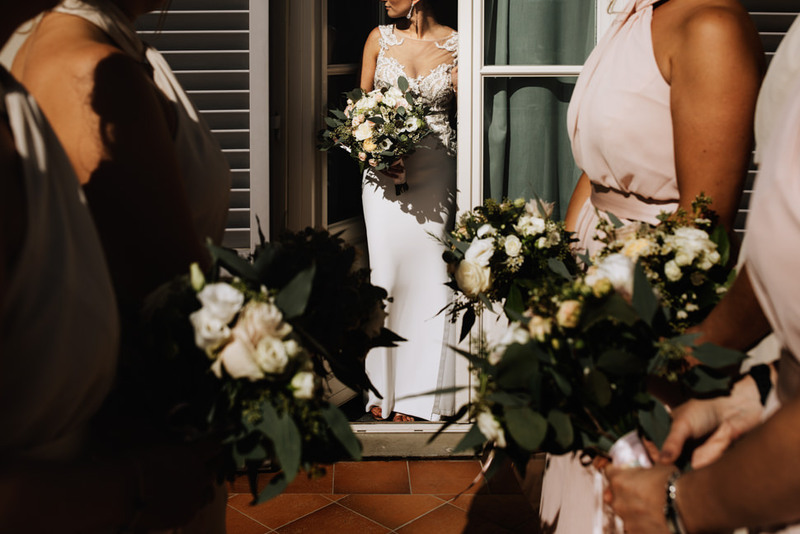 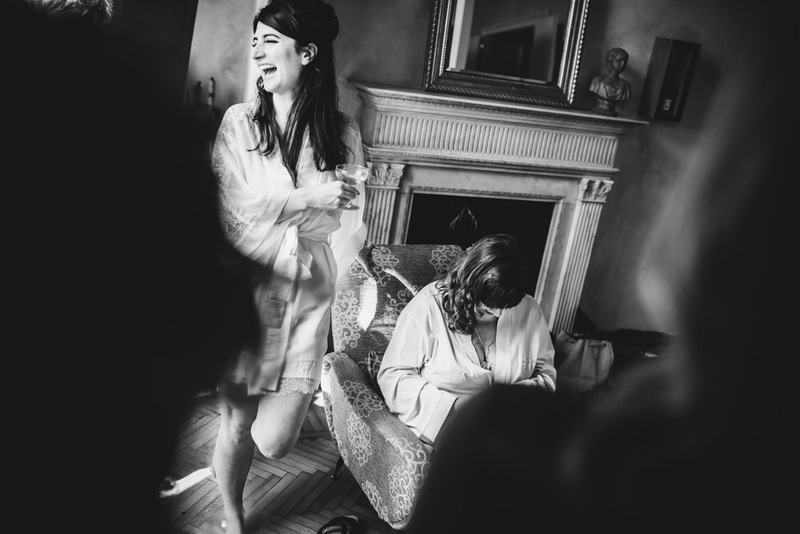 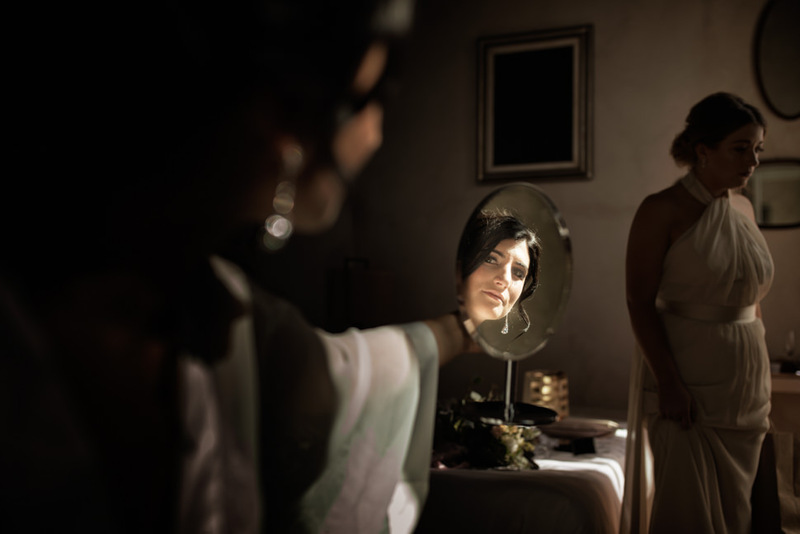 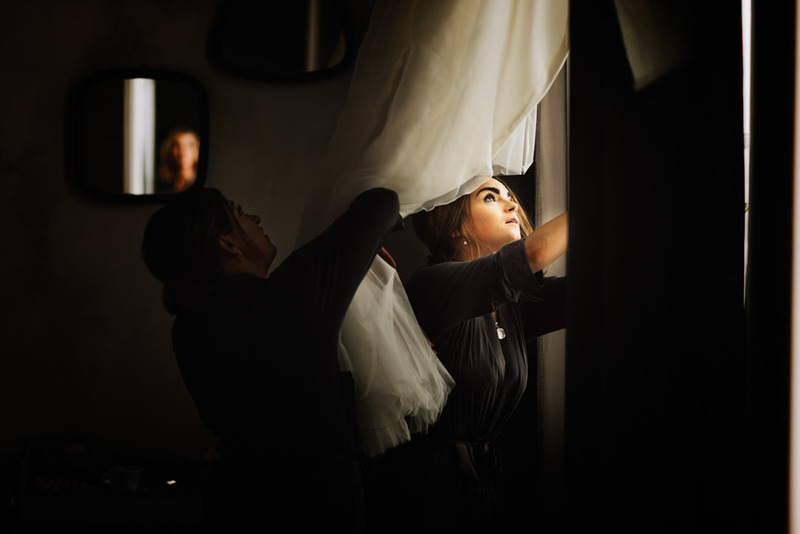 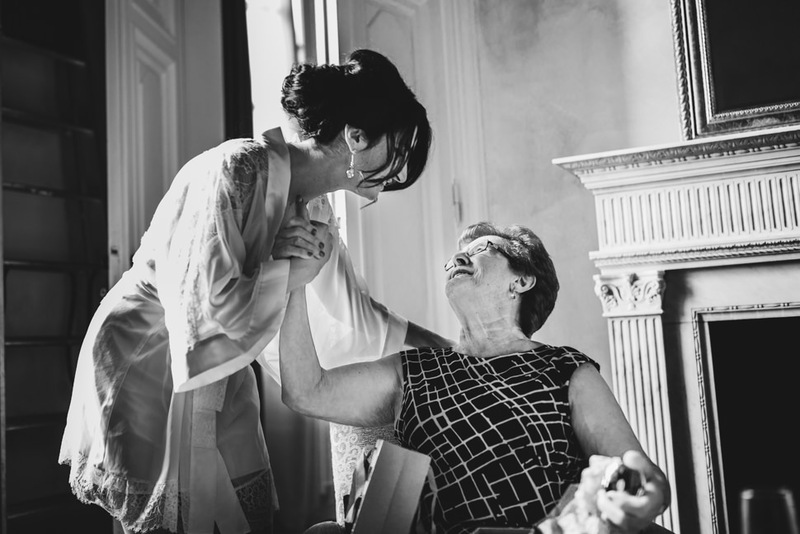 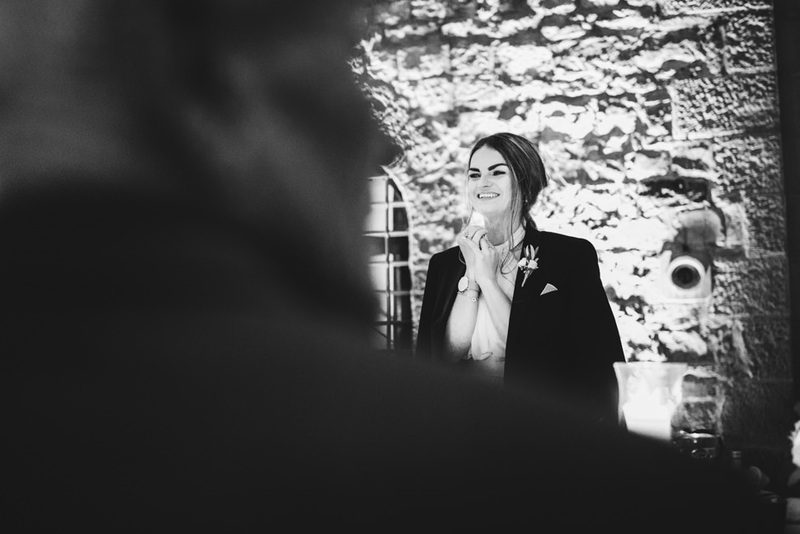 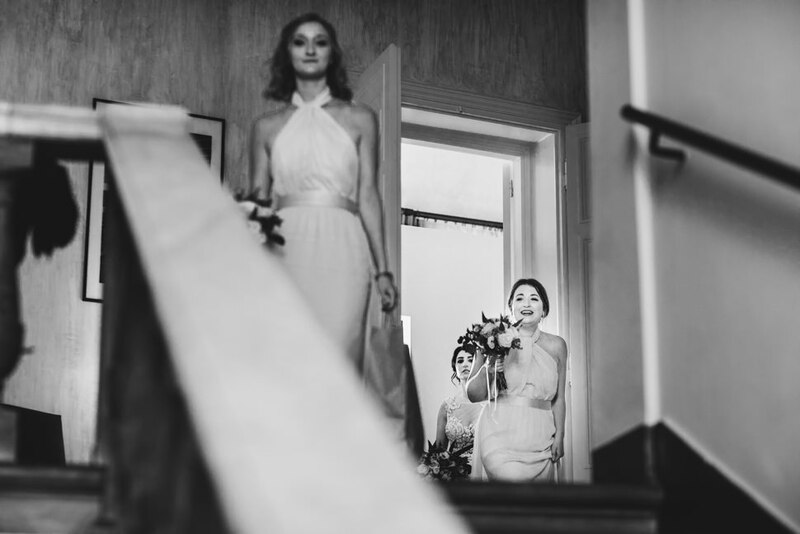 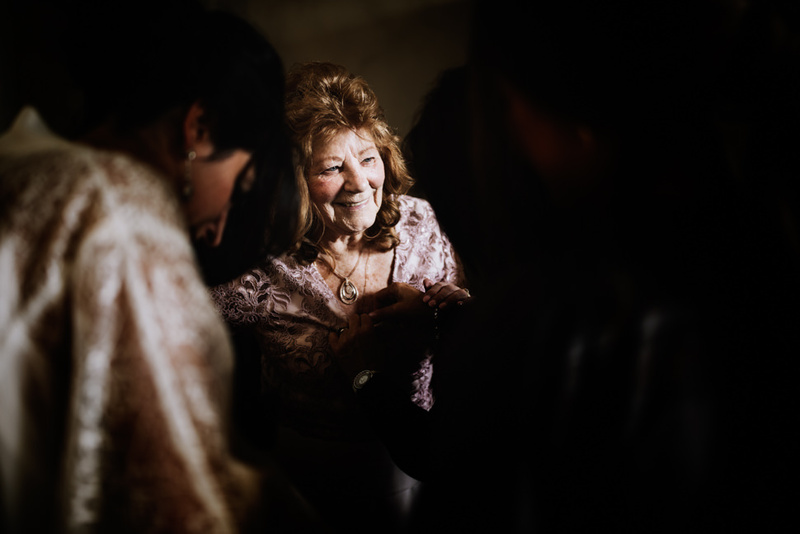 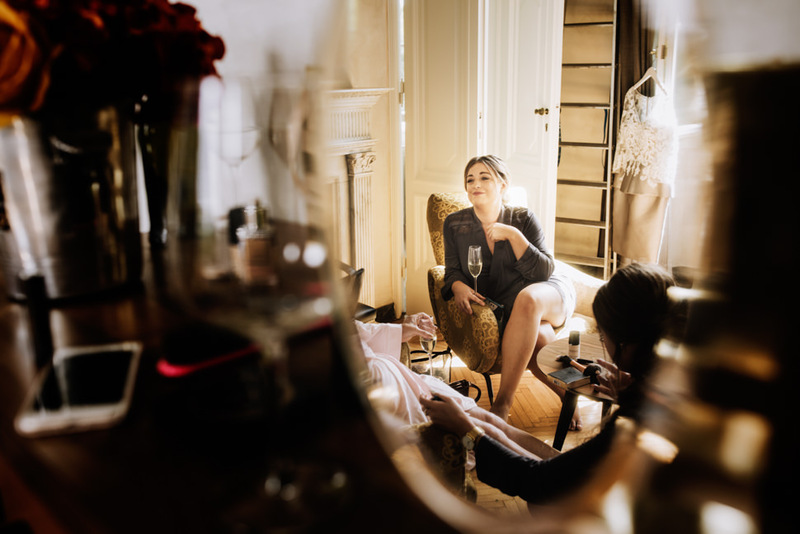 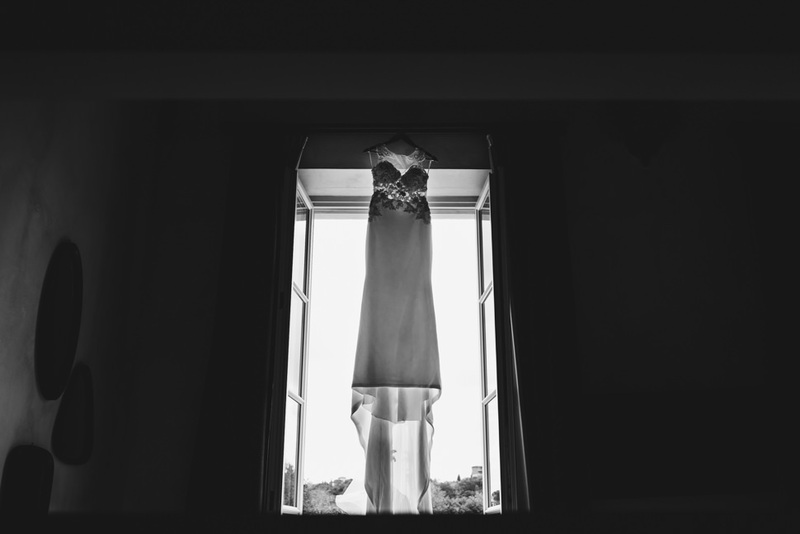 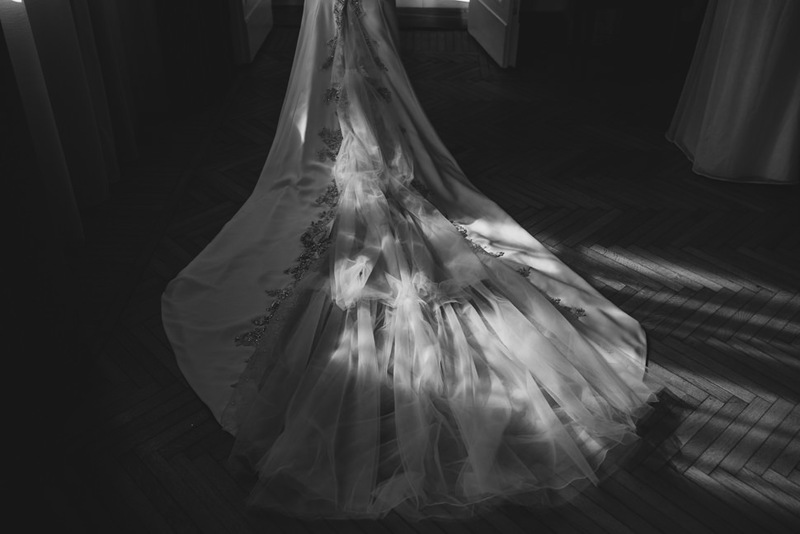 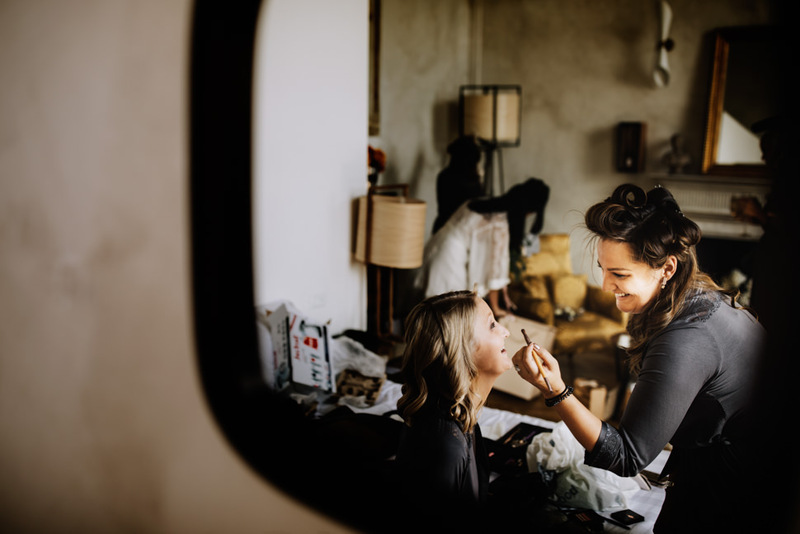 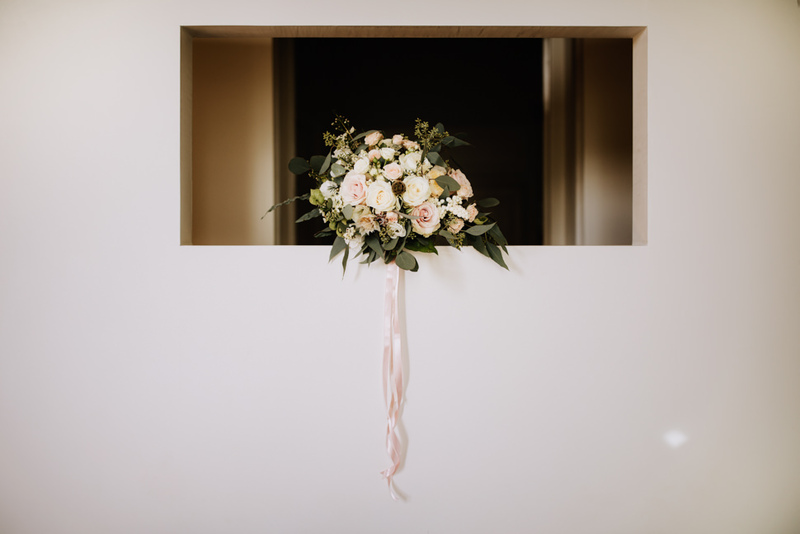 Before the ceremony, Lucy got ready at the Hotel Lungarno Vespucci 50, in Florence. 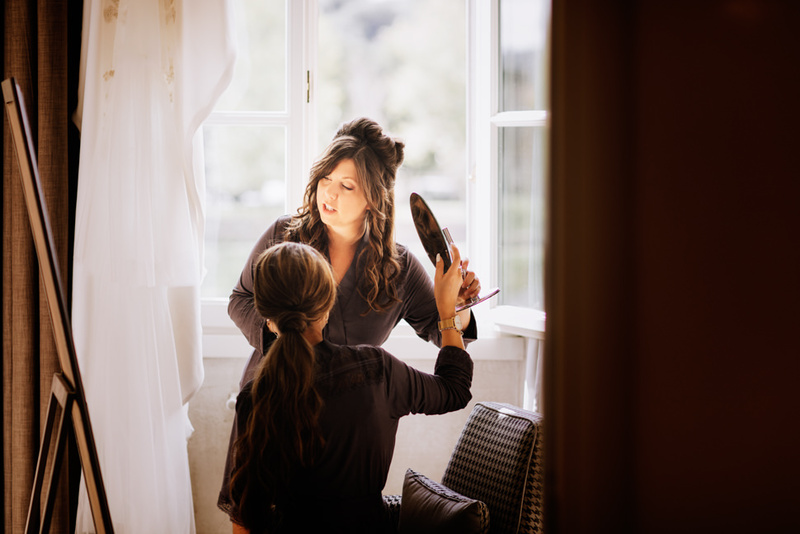 Her hair stylist and make-up artist was Kaz Fernando, a multi award winner professional specialized in weddings. 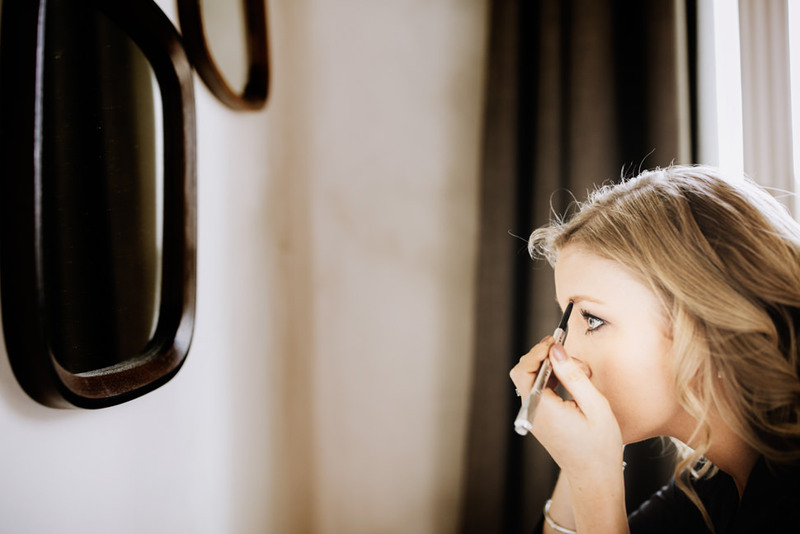 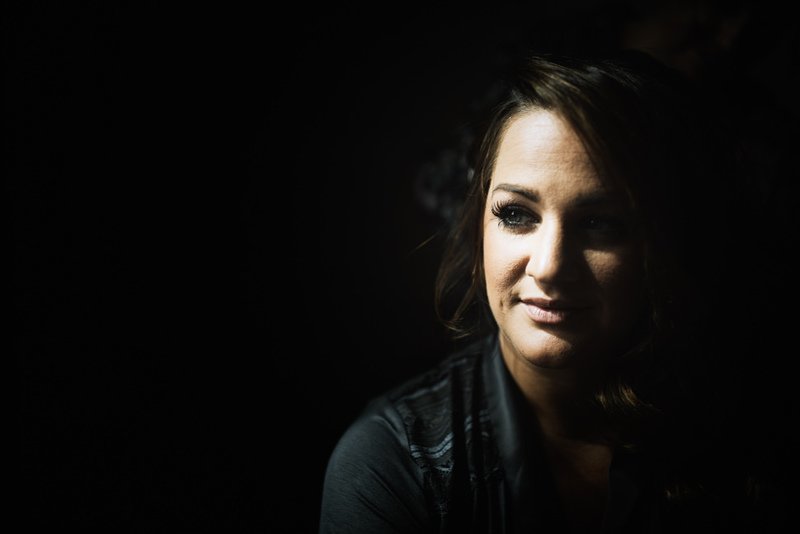 She had to face an unexpected event: the airline lost her make up suitcase. 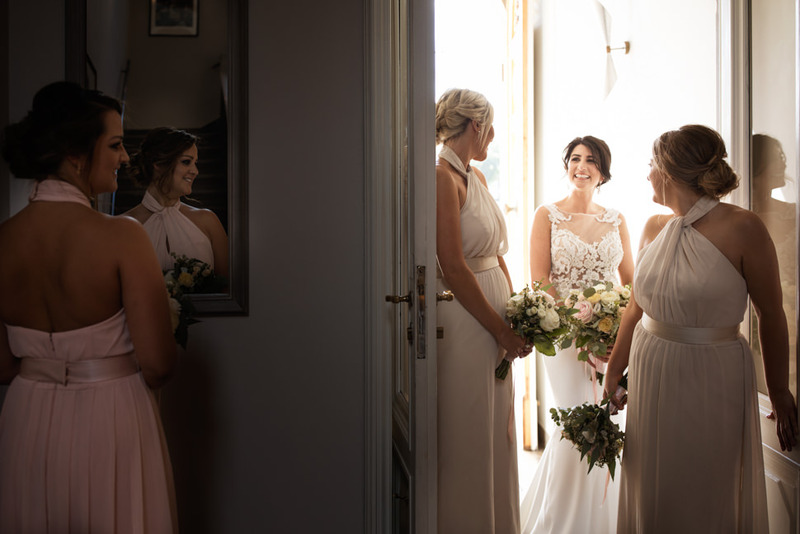 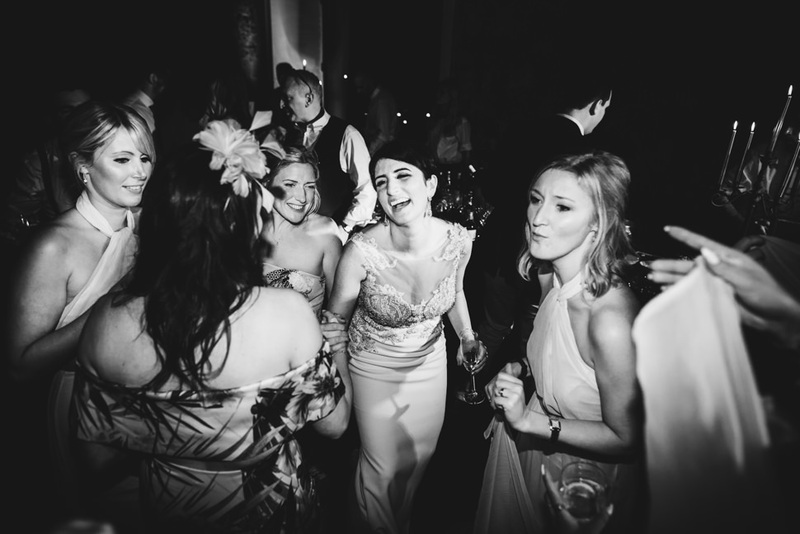 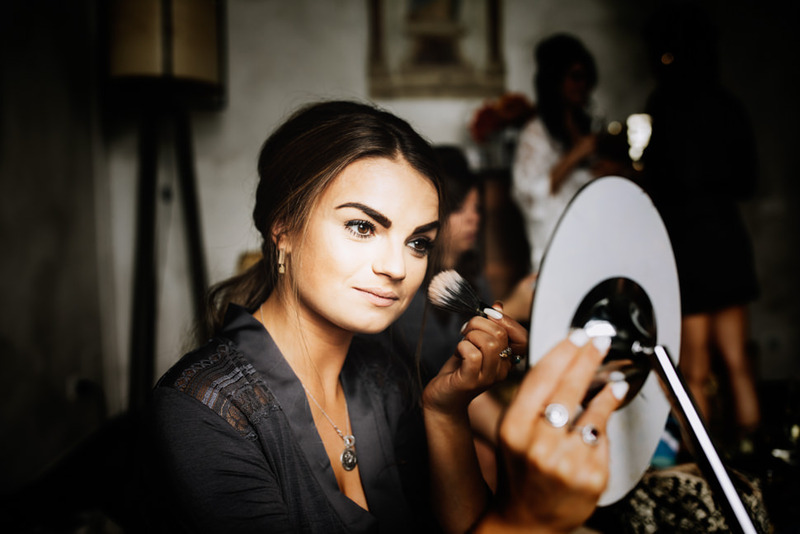 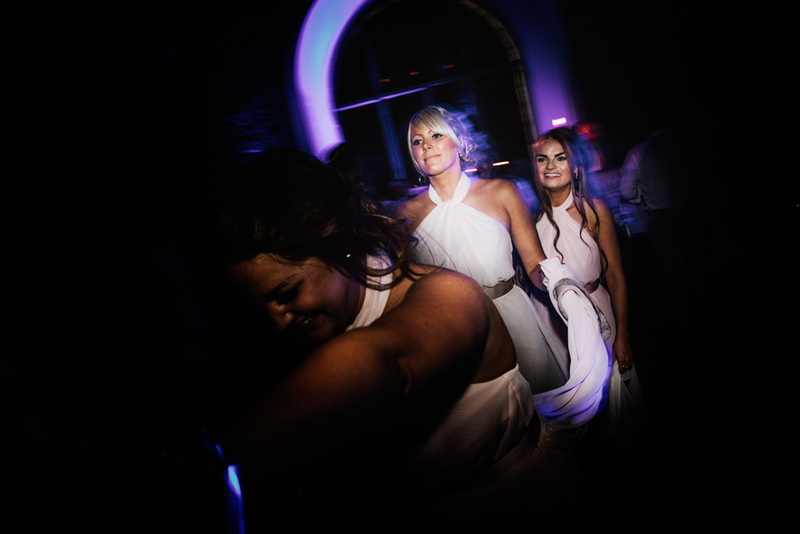 Kaz didn’t lose her spirit but brilliantly solved the problem by collecting all the available make up from the bridesmaids and creating the perfect look for Lucy. 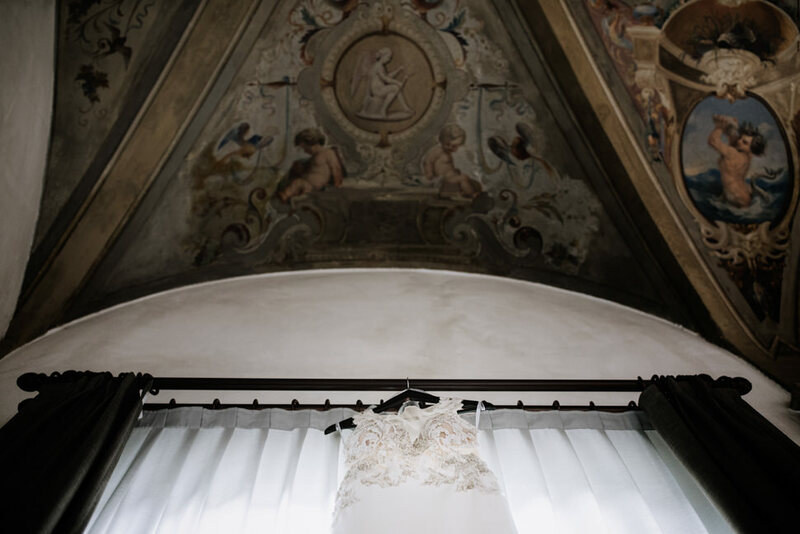 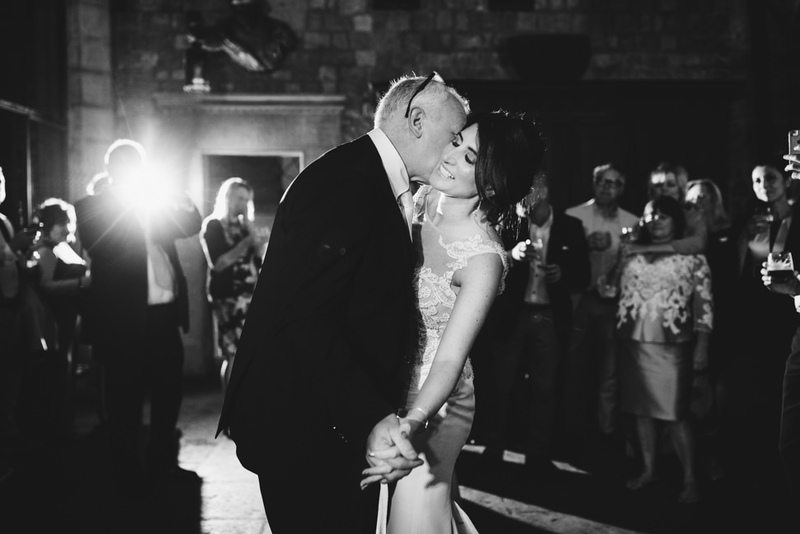 The bride was sensual and elegant at the same time in her dress by Badgley Mischka excellently combined with the shoes by Gianvito Rossi. 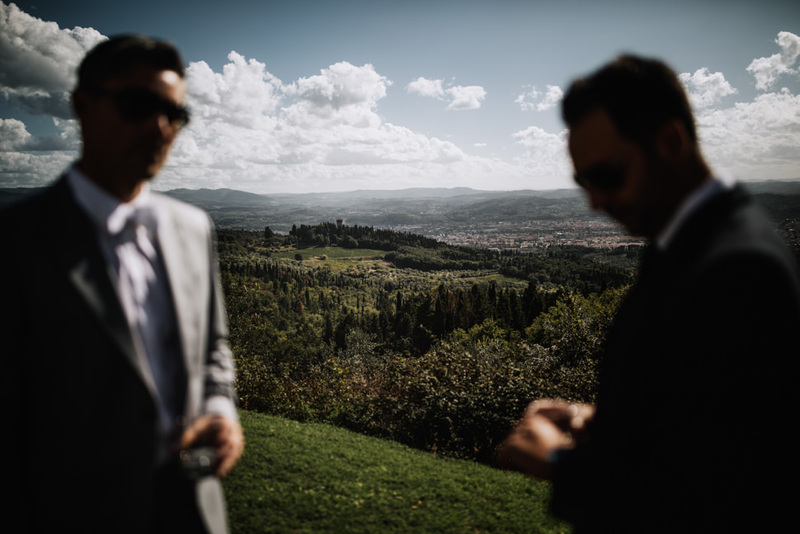 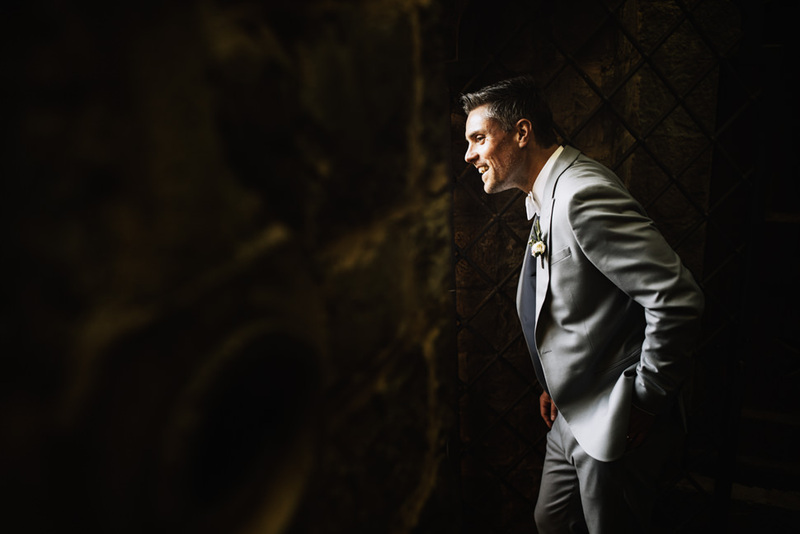 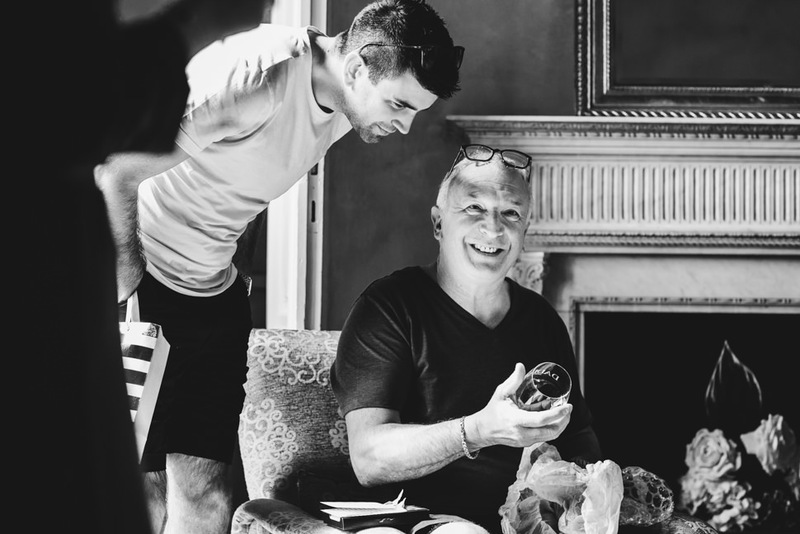 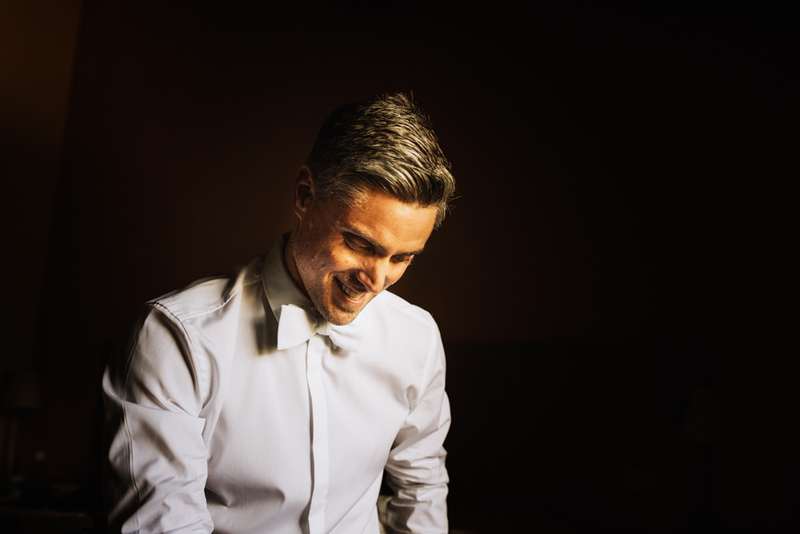 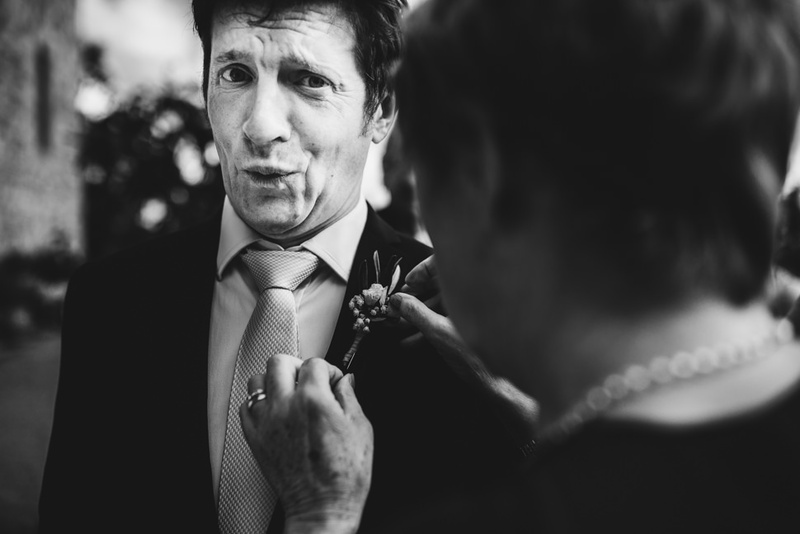 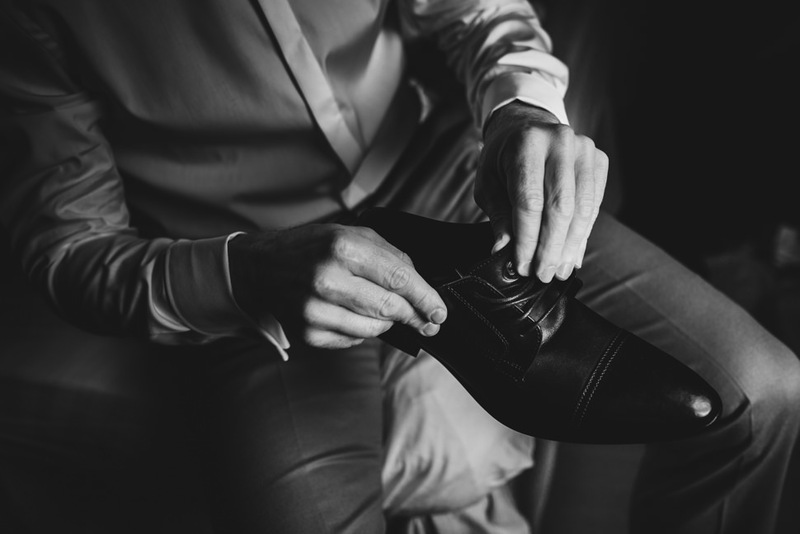 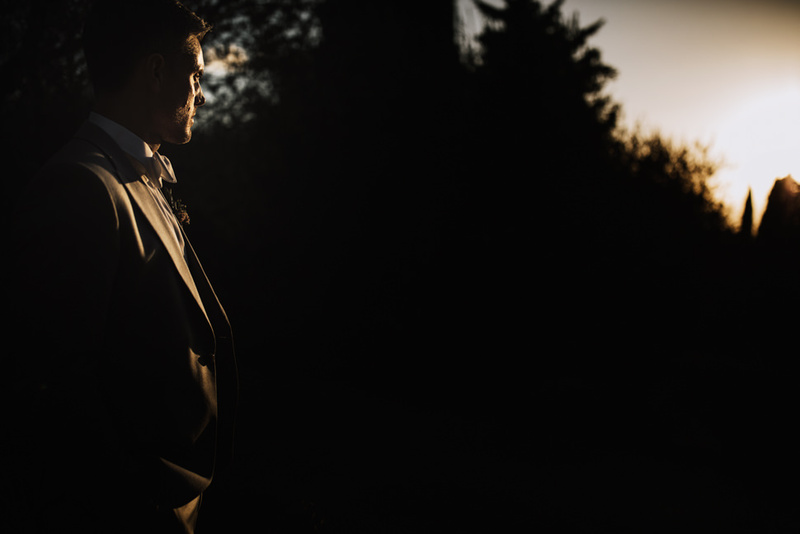 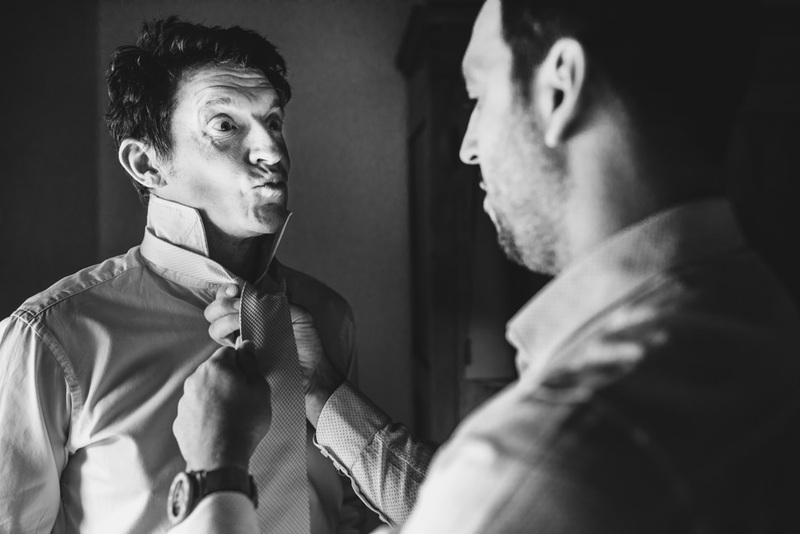 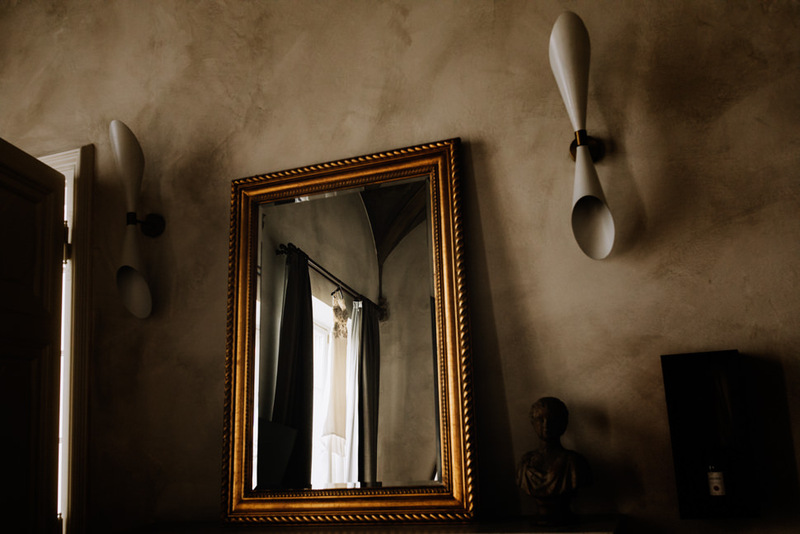 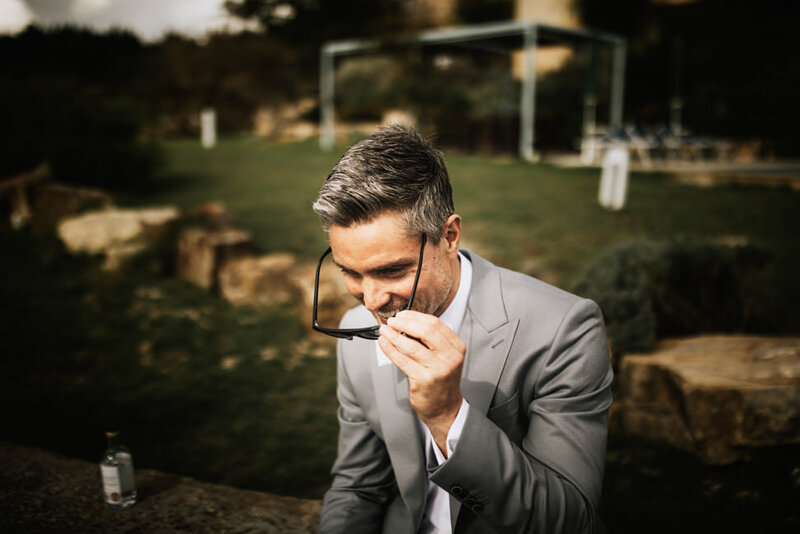 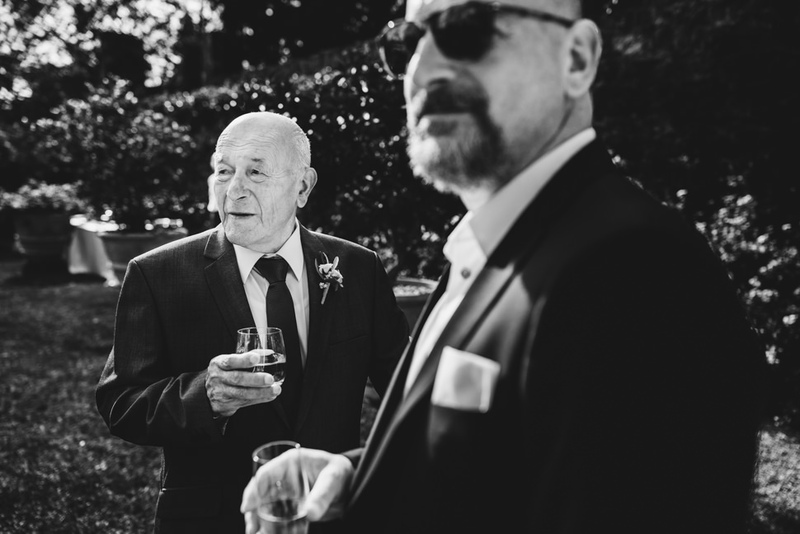 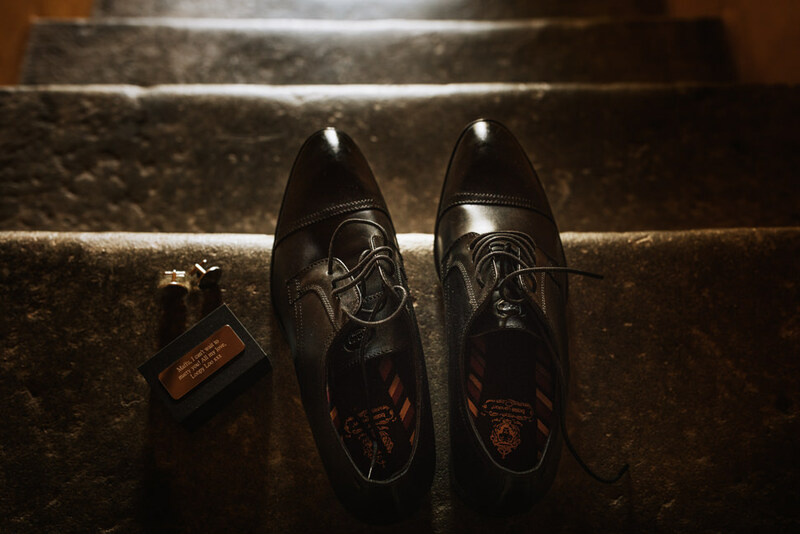 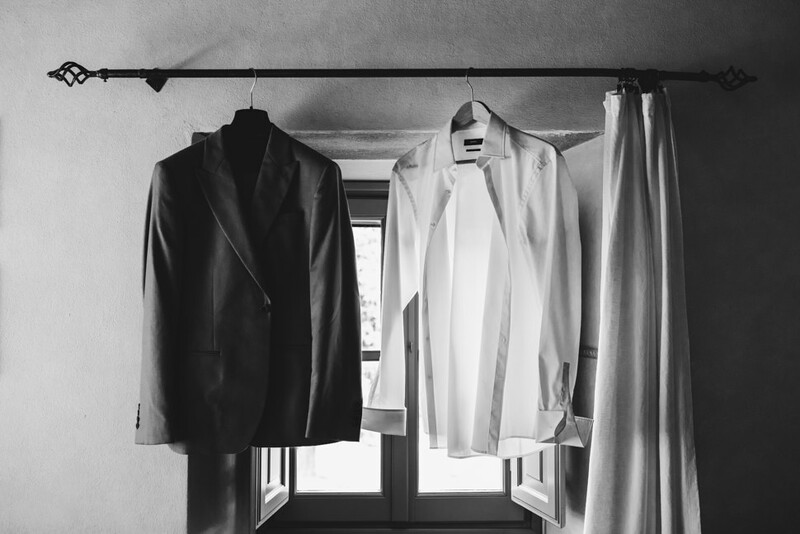 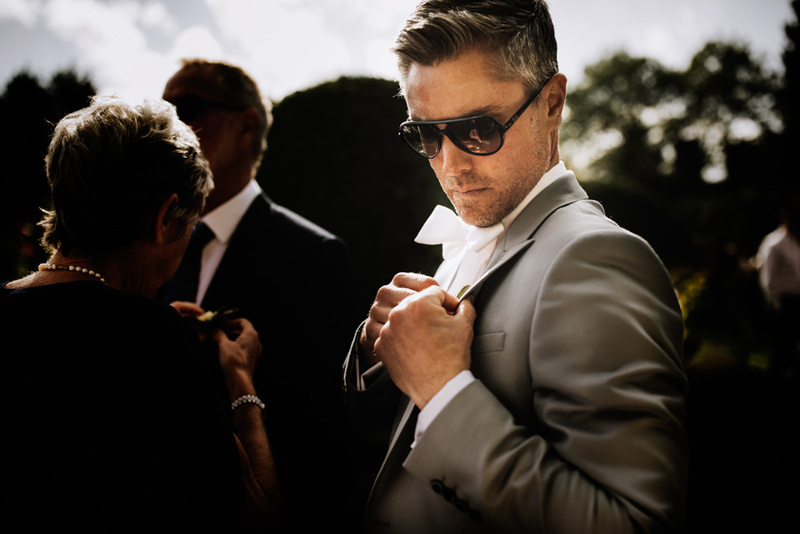 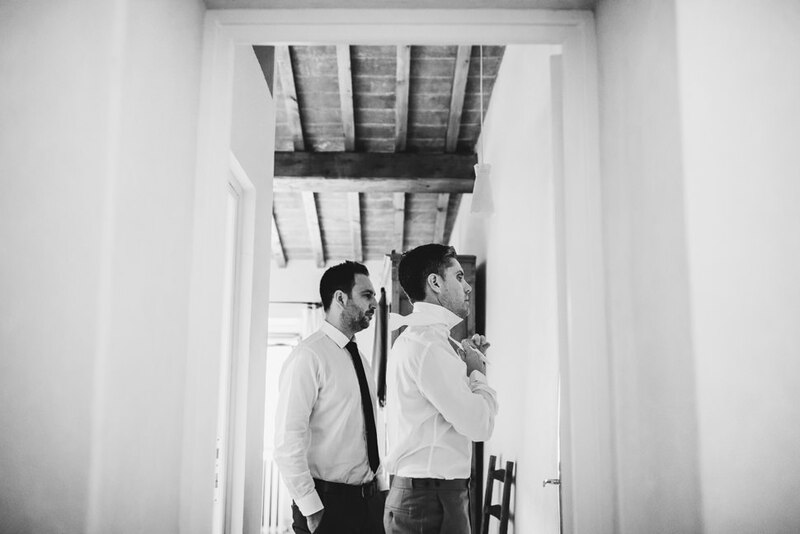 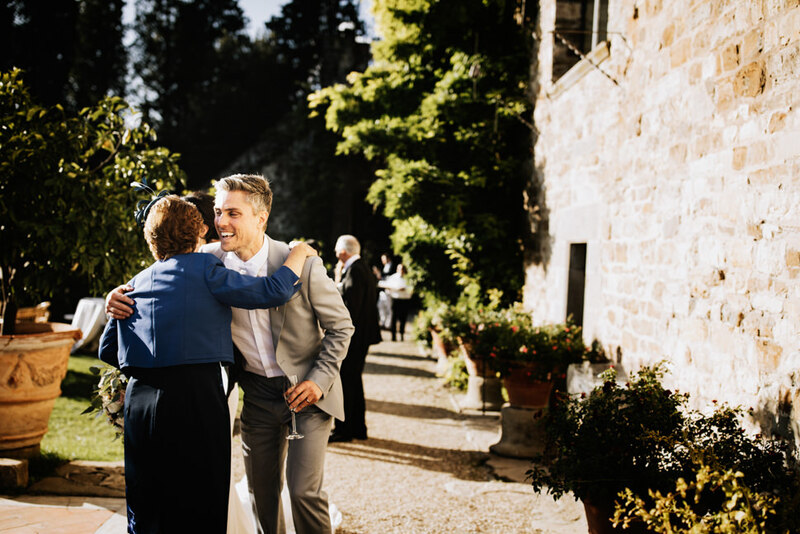 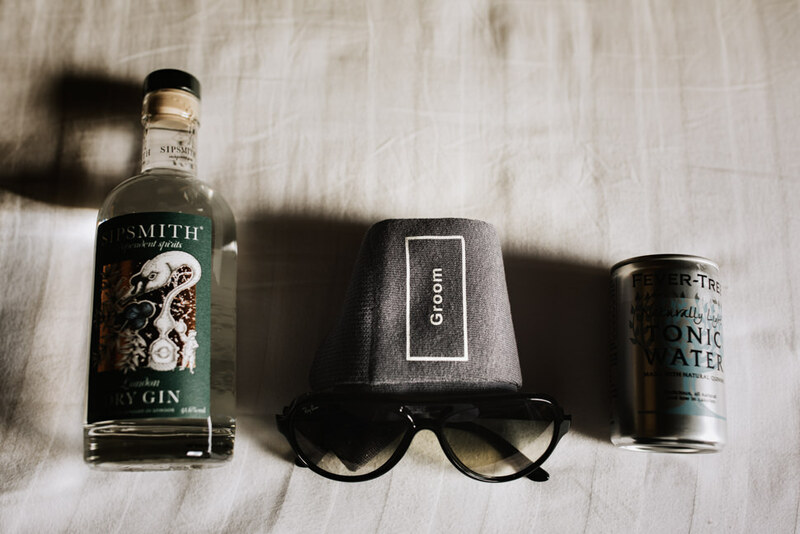 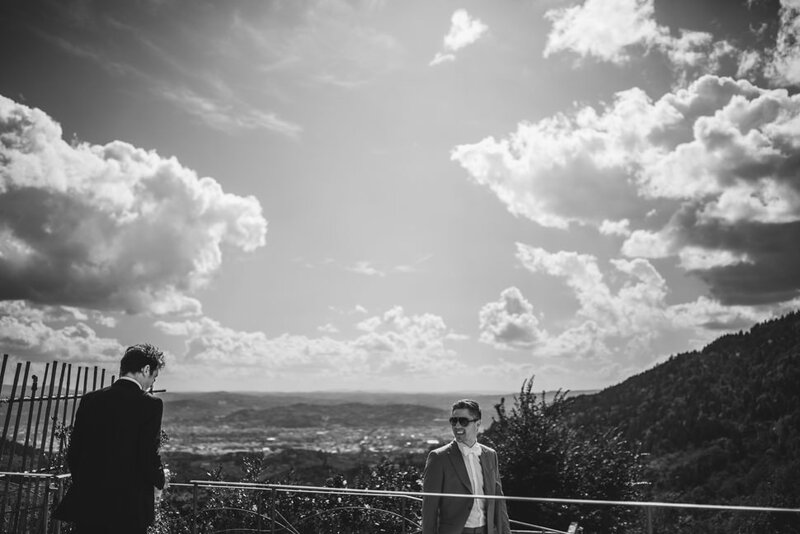 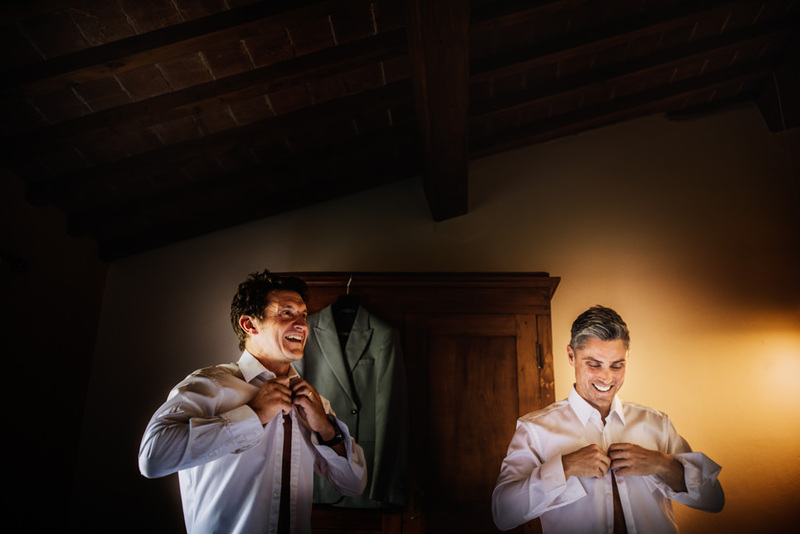 Matt got ready at the Casale Giuncarelli Country House, in Fiesole. 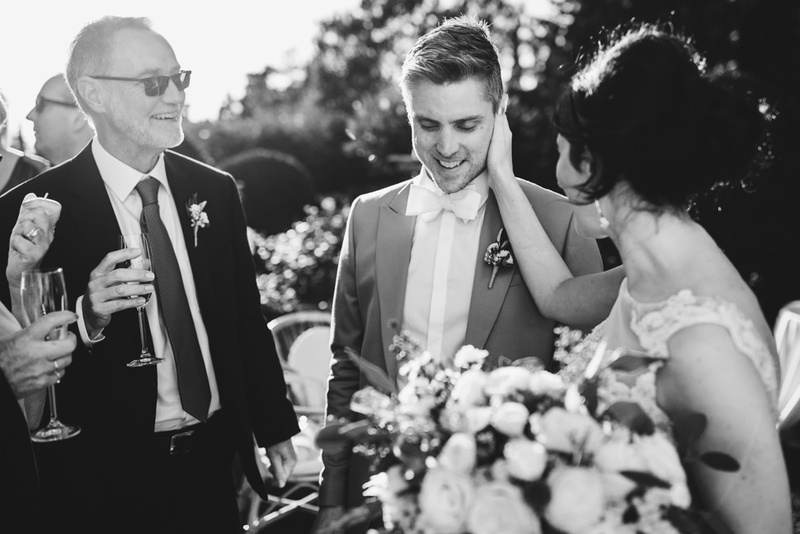 He looked very handsome in his grey suit with an impeccable white bow tie. 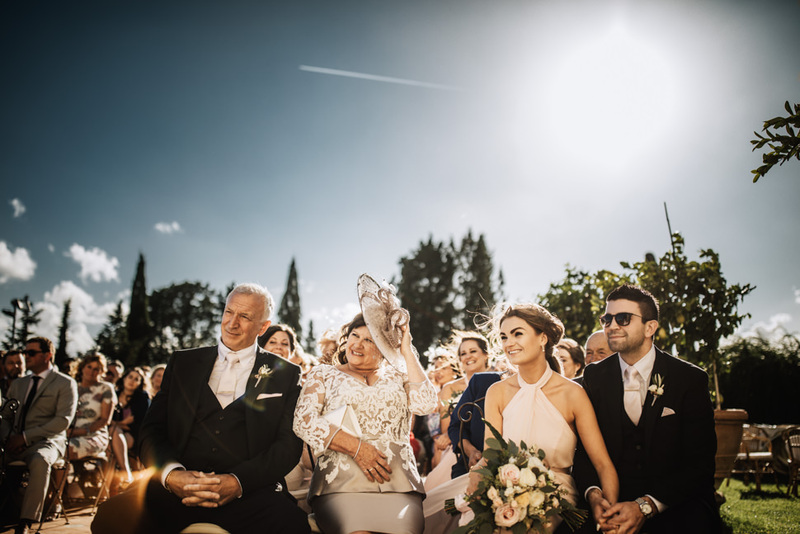 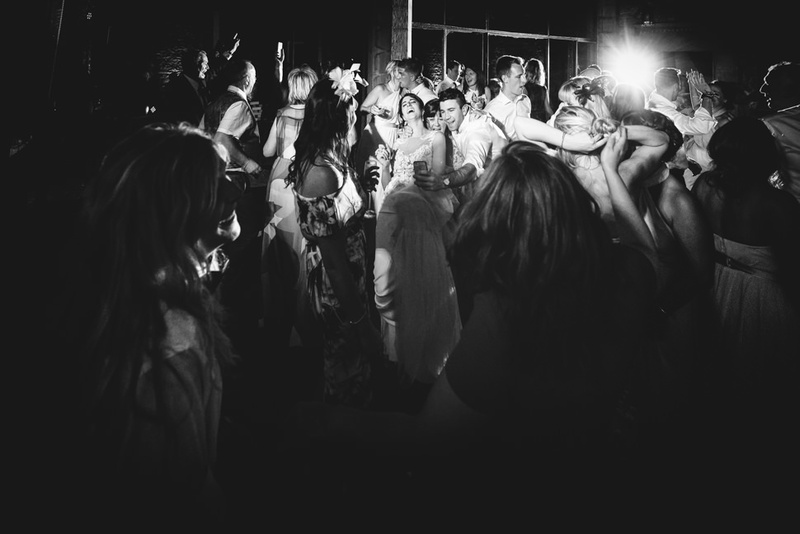 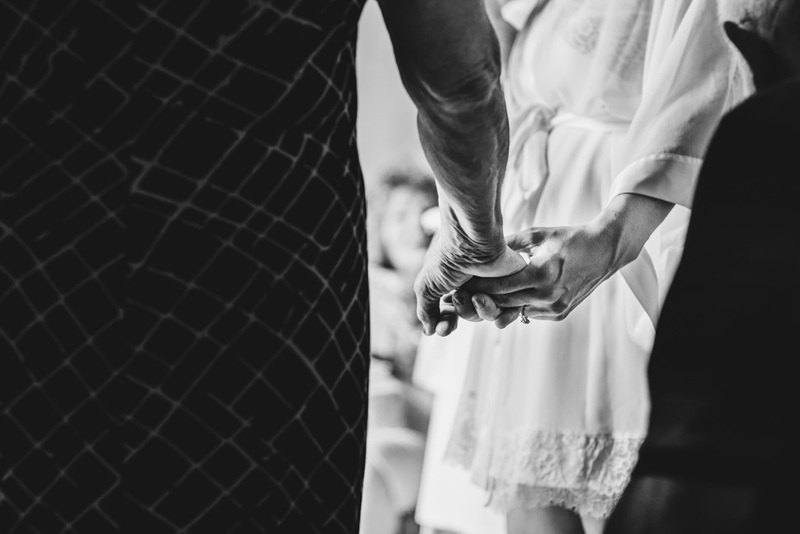 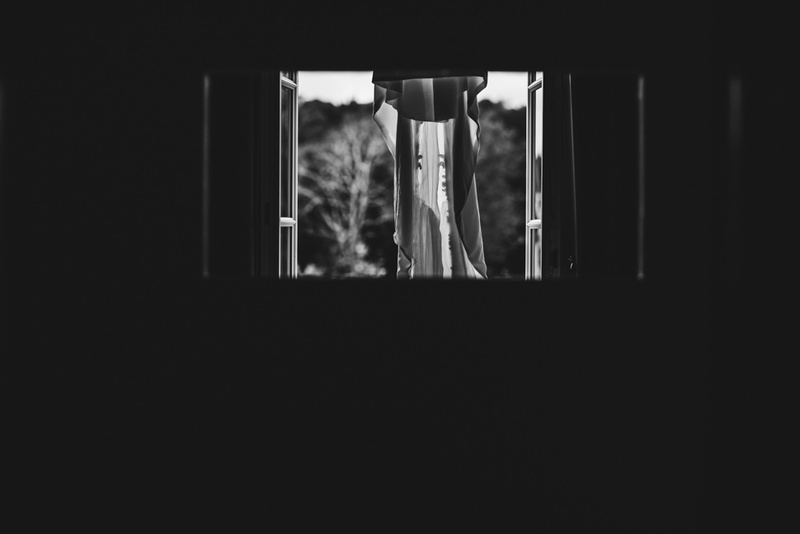 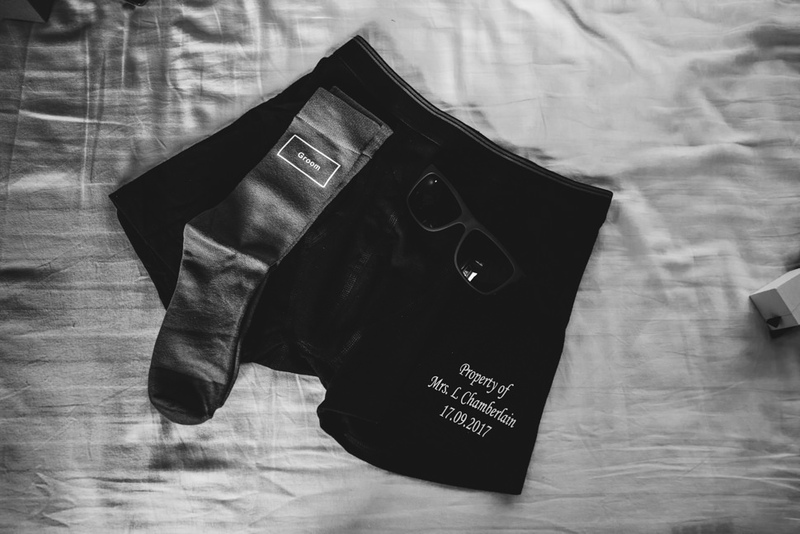 It was a sunny day outside and inside the couple and their guests. 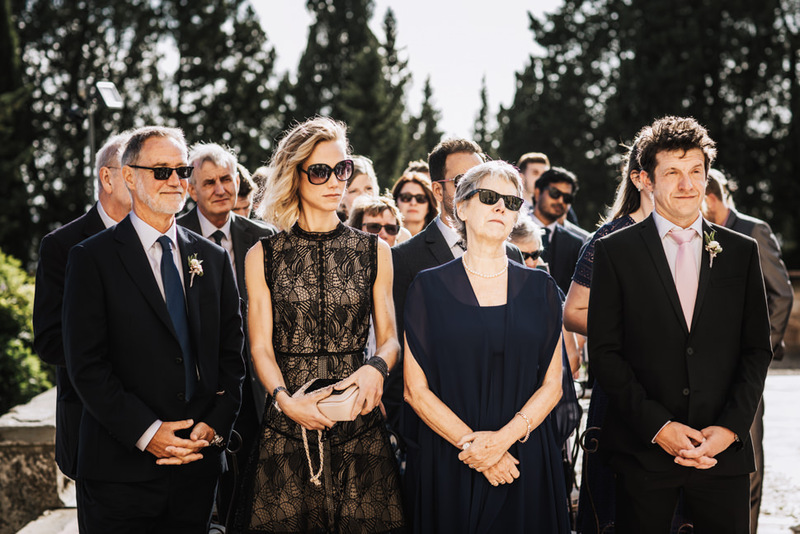 The two families so well connected to each other and the guests participated in the civil ceremony in a very sensitive way. 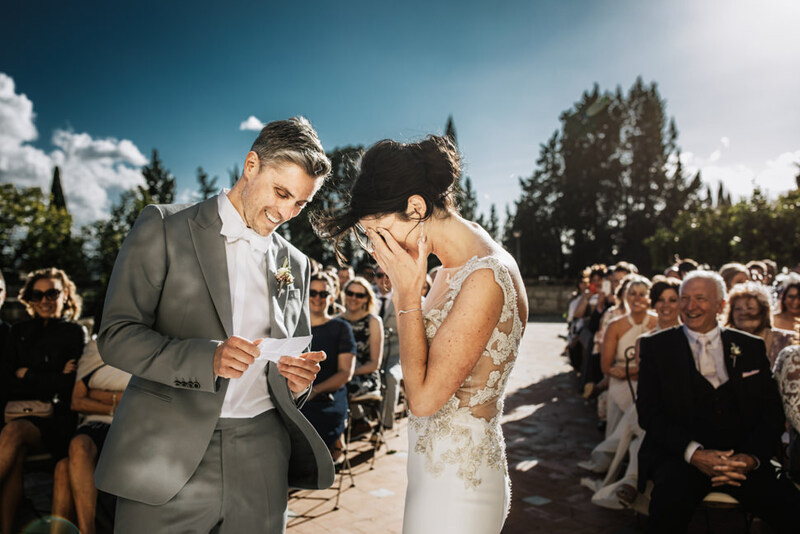 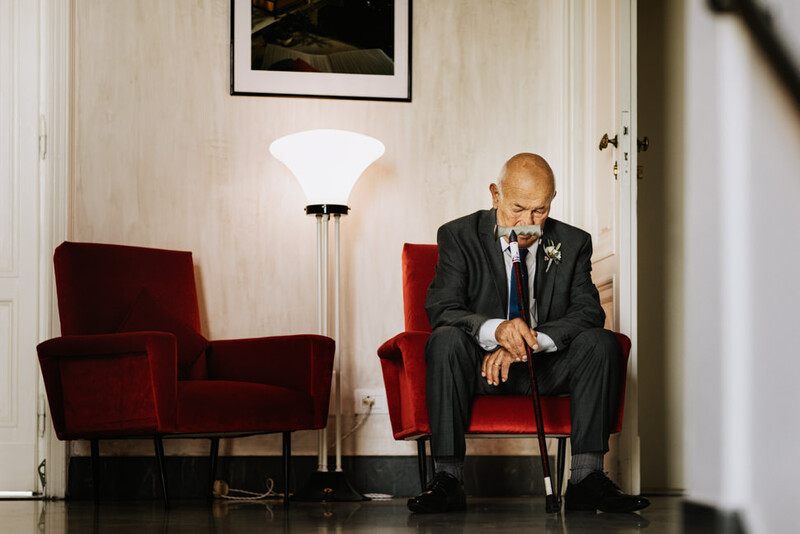 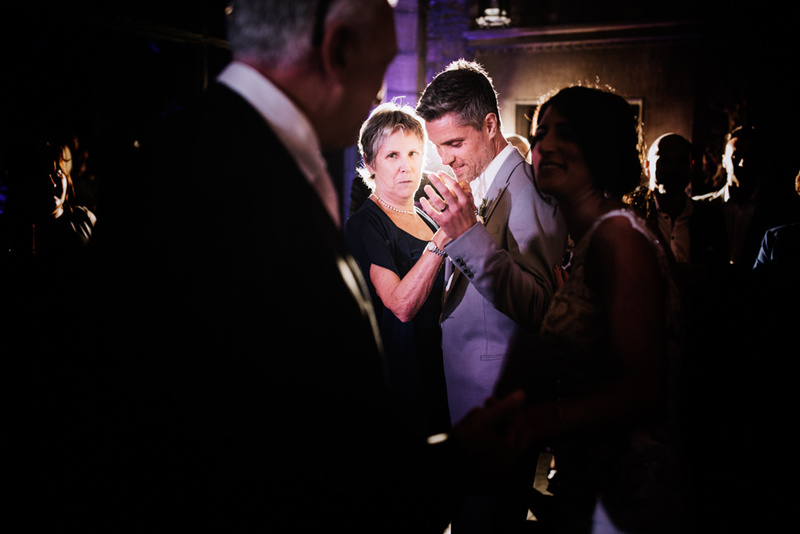 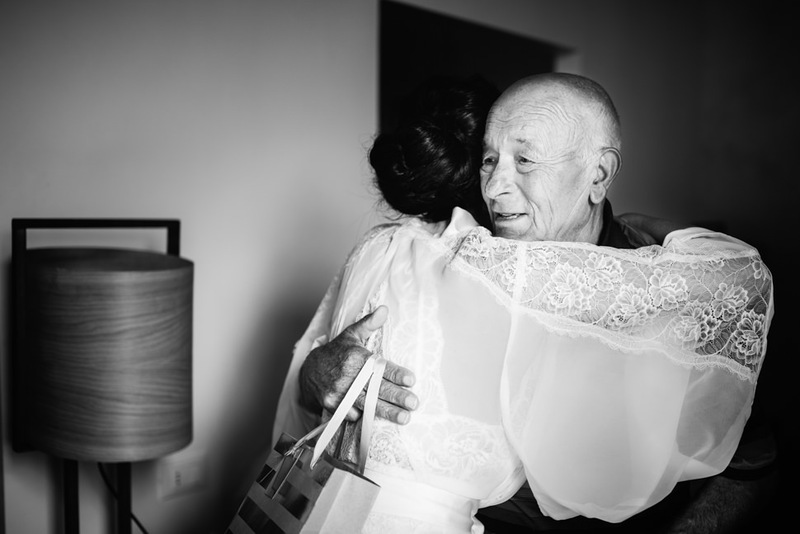 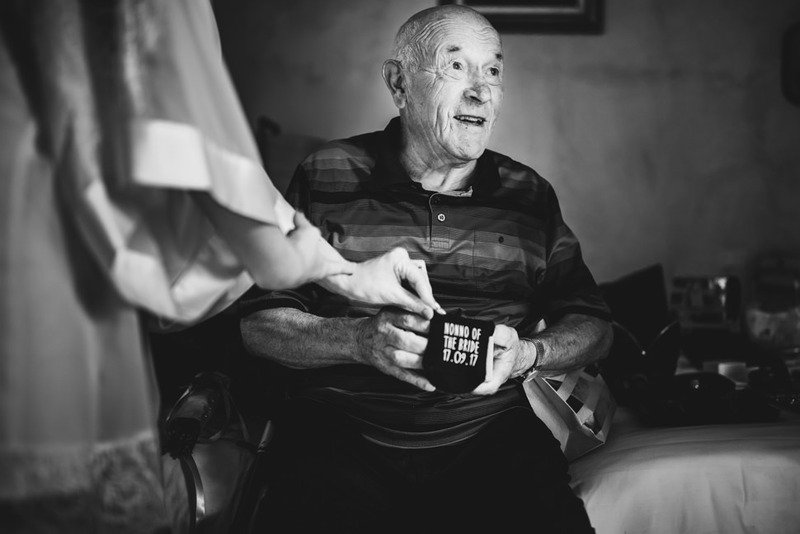 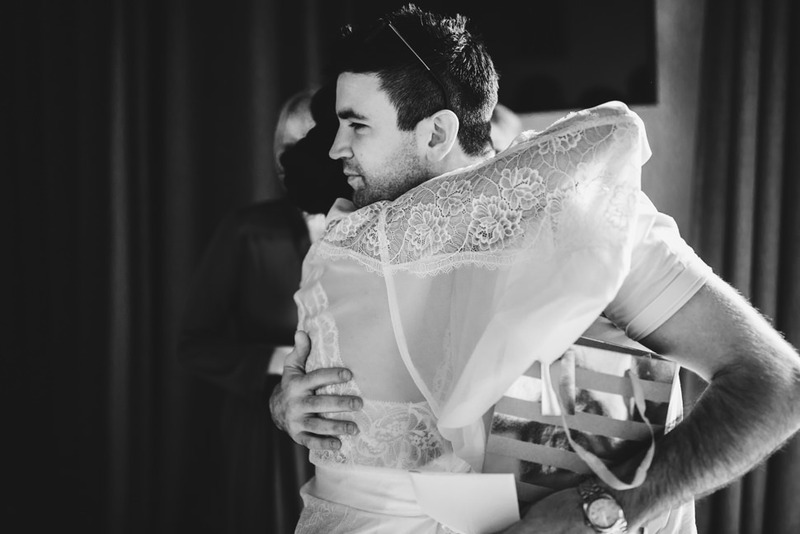 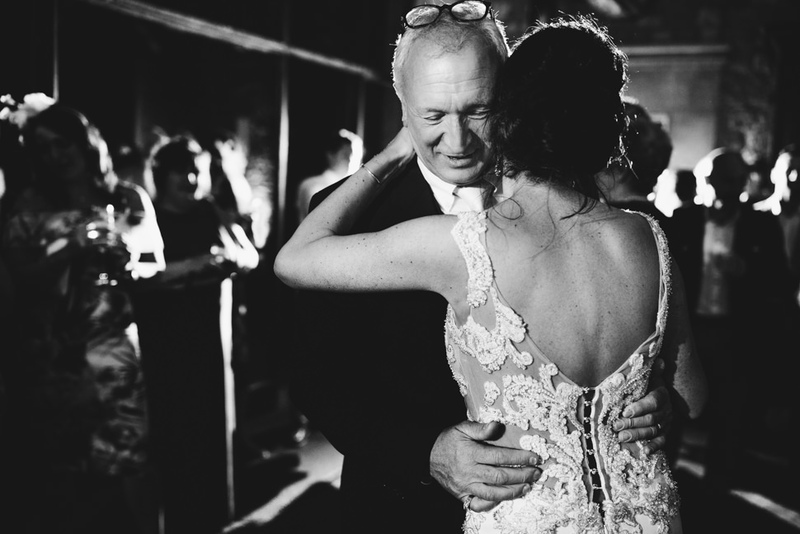 There were lots of hugs and deep looks, Lucy’s grandfather’s wet eyes, Matt’s father’s words, the bride’s brother’s reading written by him. 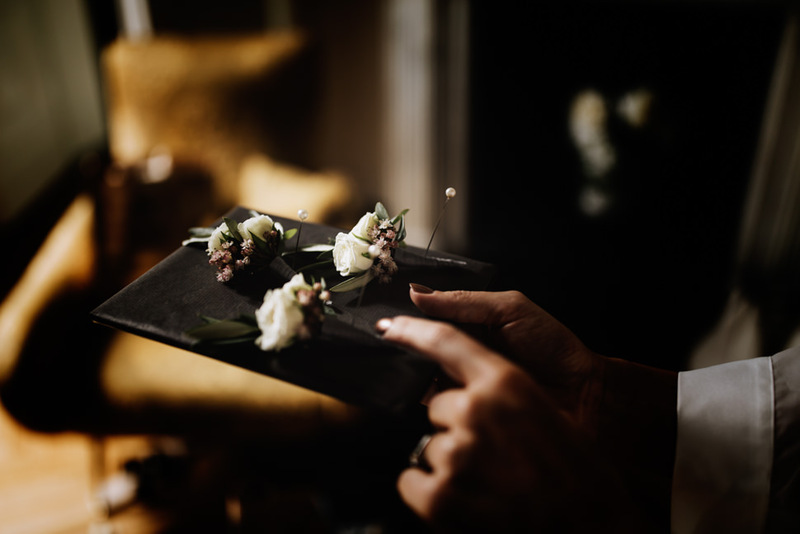 A delicious dinner followed the rite with a special menu thought by a lovely lady called Lucy and her Company “lucysaysido”. 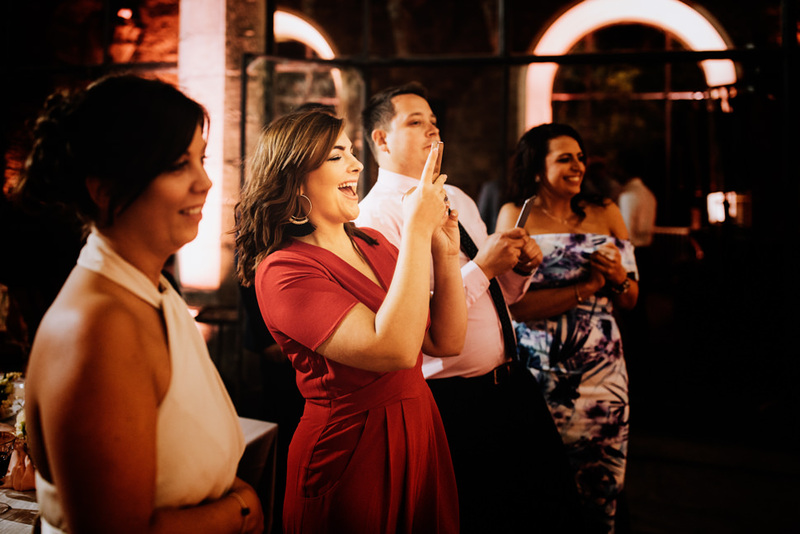 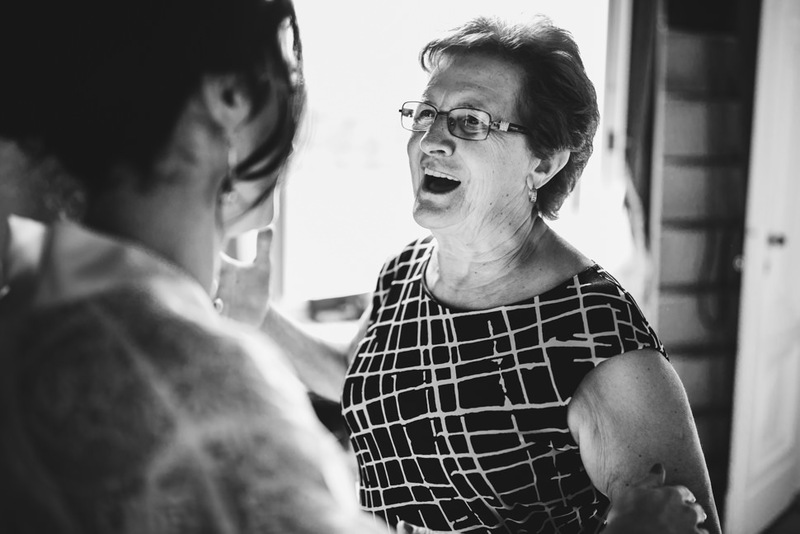 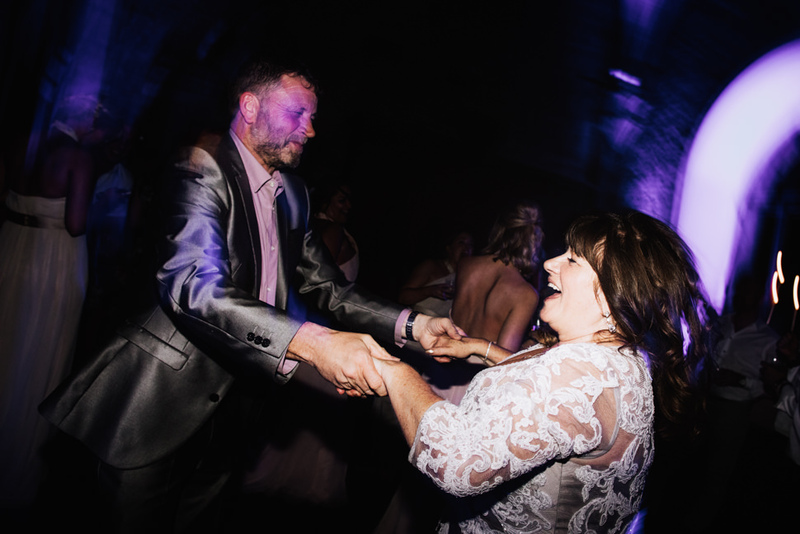 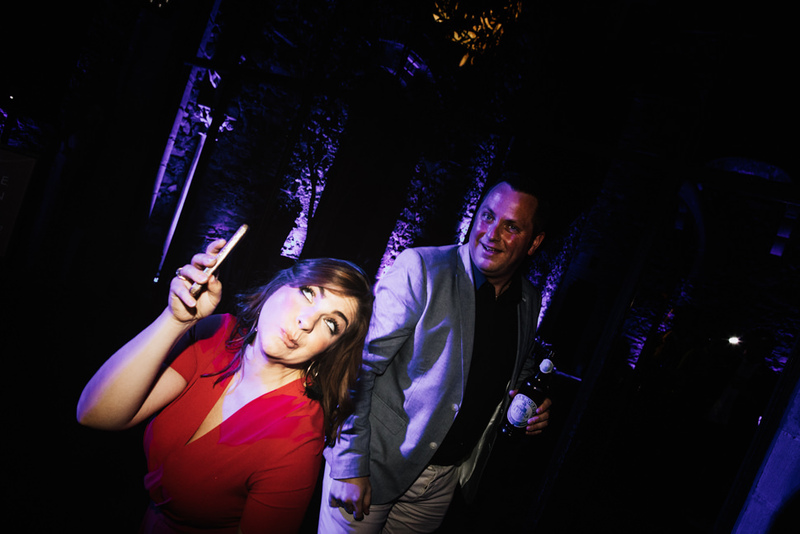 After the meal, a great and funny dancing party was offered to the guests who danced and laughed on the notes played by Almaproject 24/7 Entertainment. 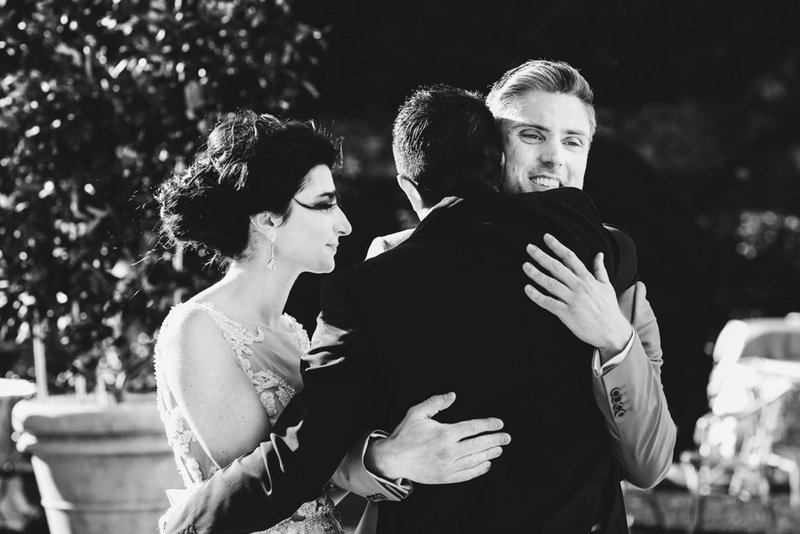 A special thank you goes to my friend and colleague Alessandro Ghedina for the help. 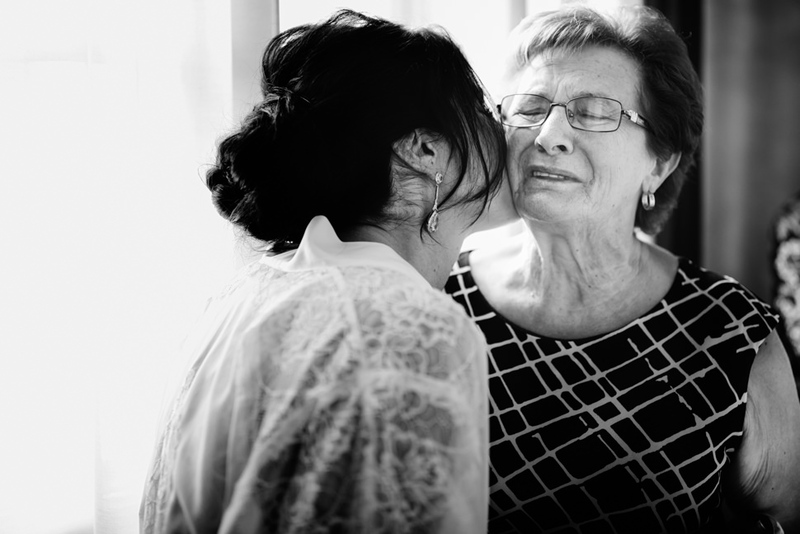 Sincere and strong emotions, what I love the most!